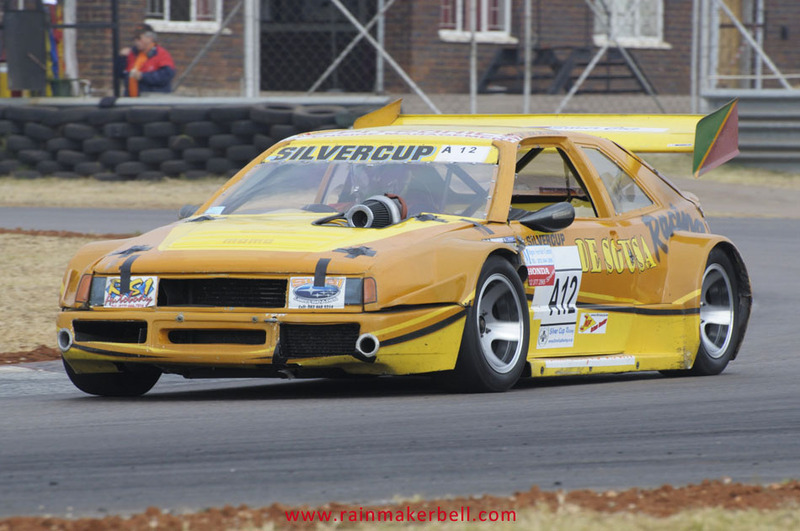 Michael Anthony (ex Van Halen bassist) once drove the crowd insane with his Ultra Bass solo session. 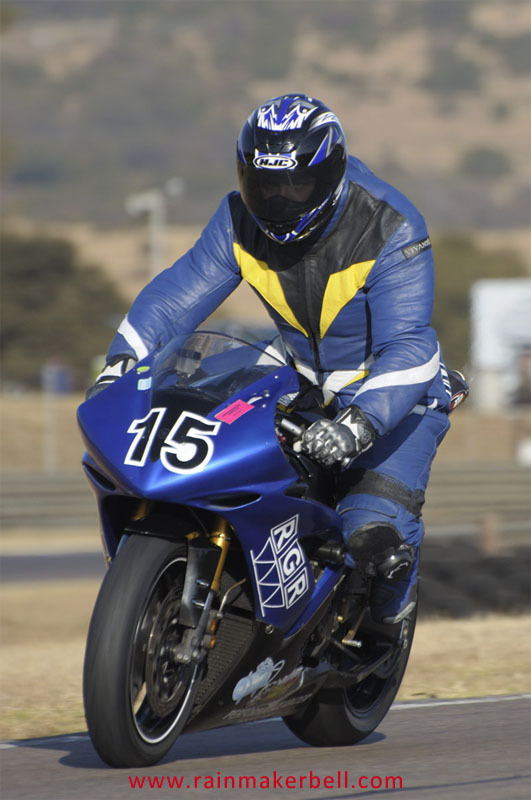 Friday and Saturday it felt as if I was attending that same Ultra Bass solo session, except this time the session continued for a lot longer than the original 5:15. 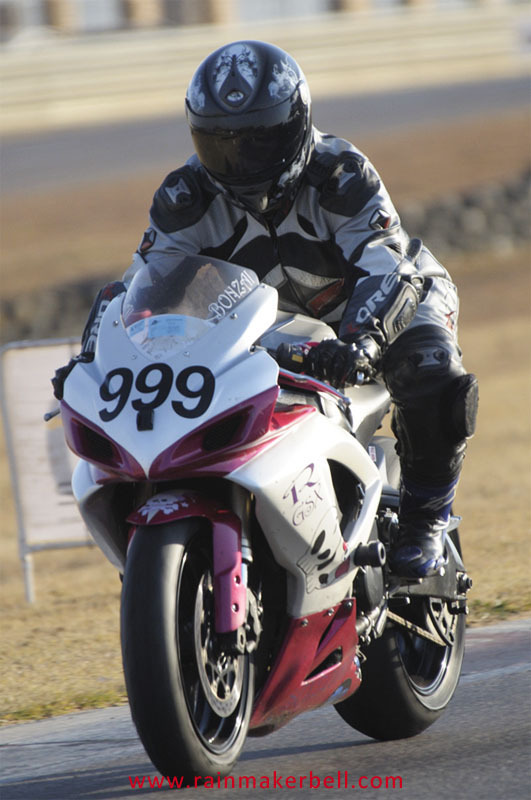 Let me explain myself. 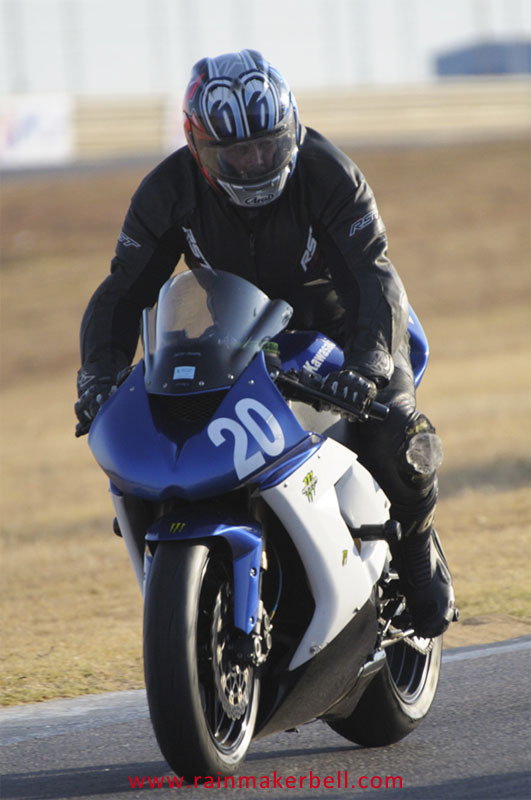 If you ignore the heavy traffic stream on the R55 running past Zwartkops Raceway, and remove the thunderous roar associated with the warm-ups, practice sessions, timed laps (for grid positions), the officials races and of course block out the chit-chat of every one else, all that is left is—Ultra Bass—race bikes (solo performers) falling down. 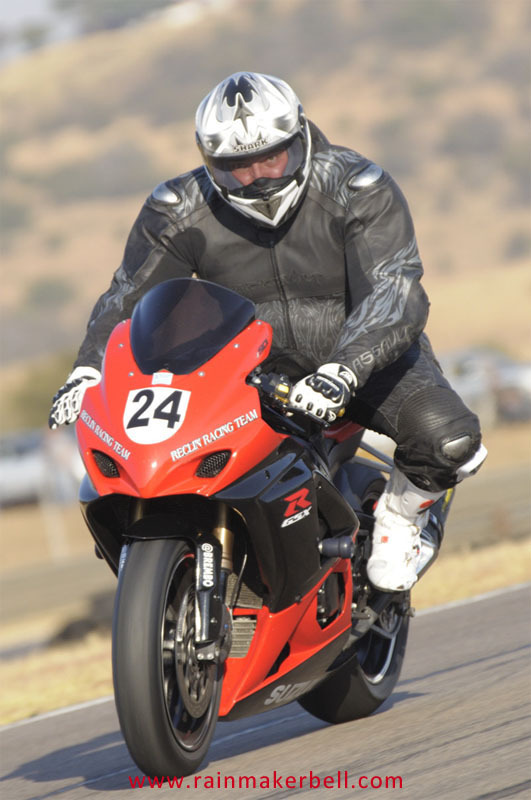 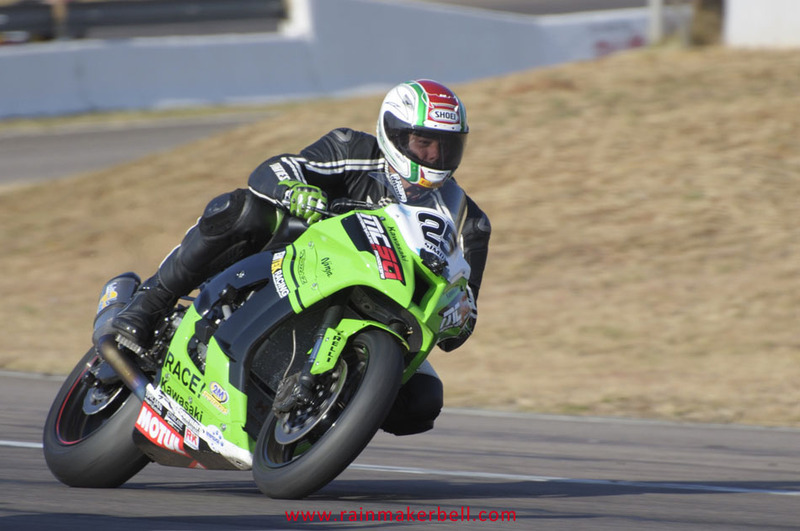 Friday morning started off with Bertus Meyburgh on his Kawasaki ZX10R meeting the tarmac as if he had a scheduled appointment. 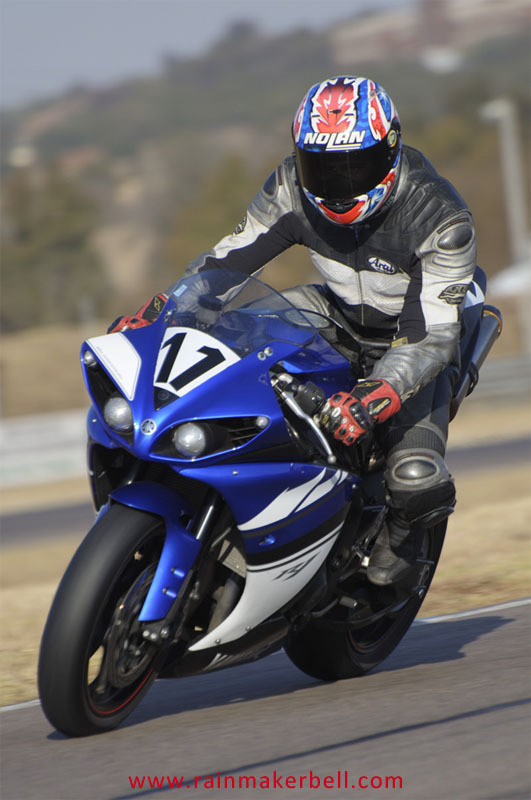 That time of morning with the temperature not yet touching double digits, track and ambient temperatures do not proclaim AUDIBLE warnings. 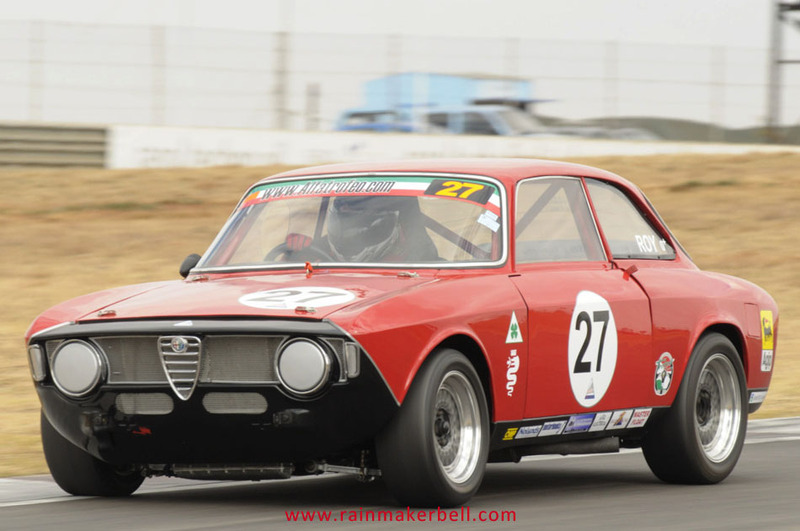 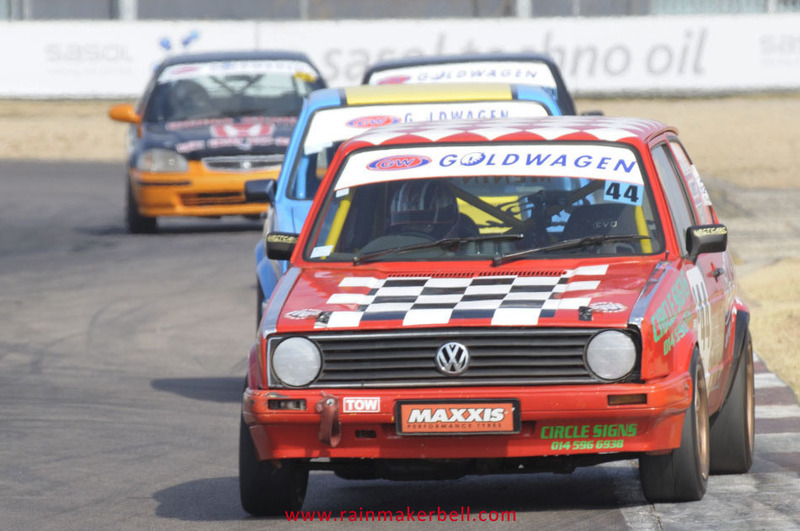 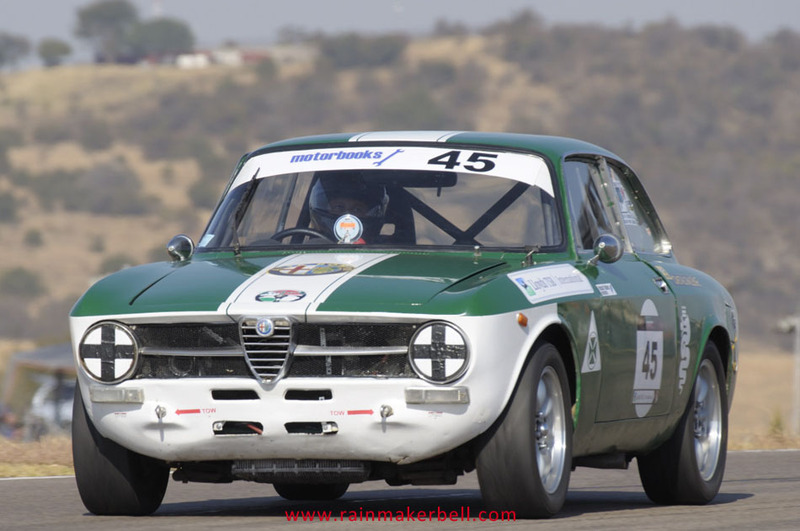 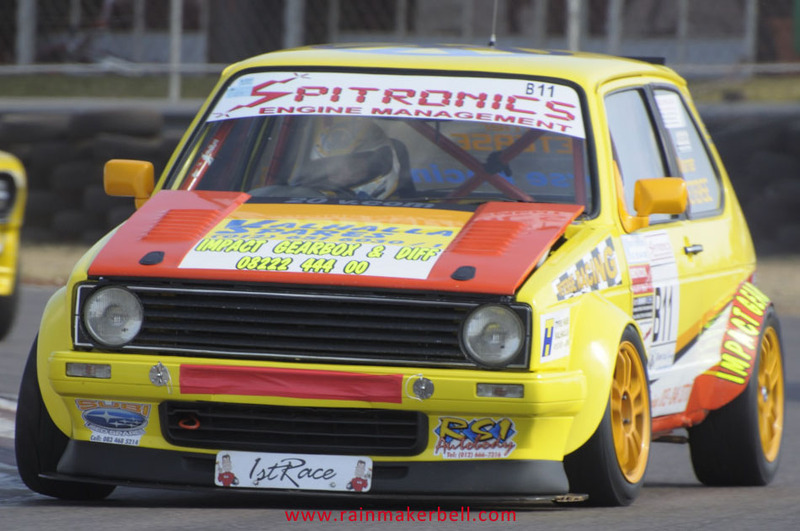 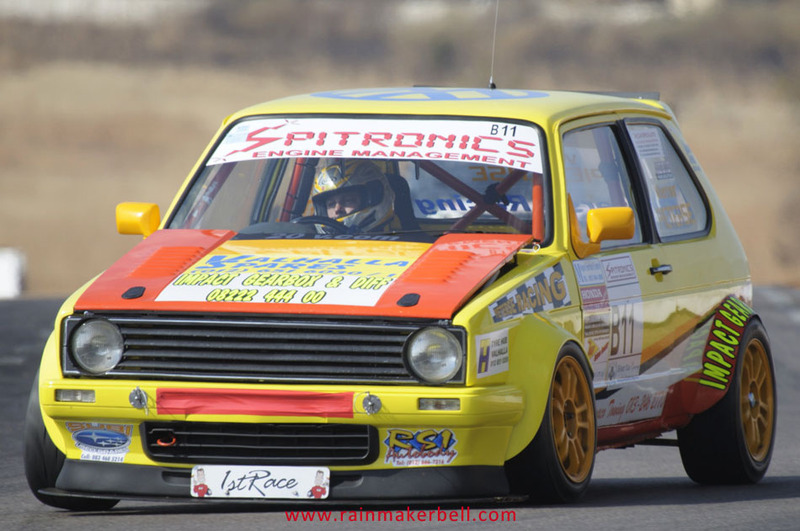 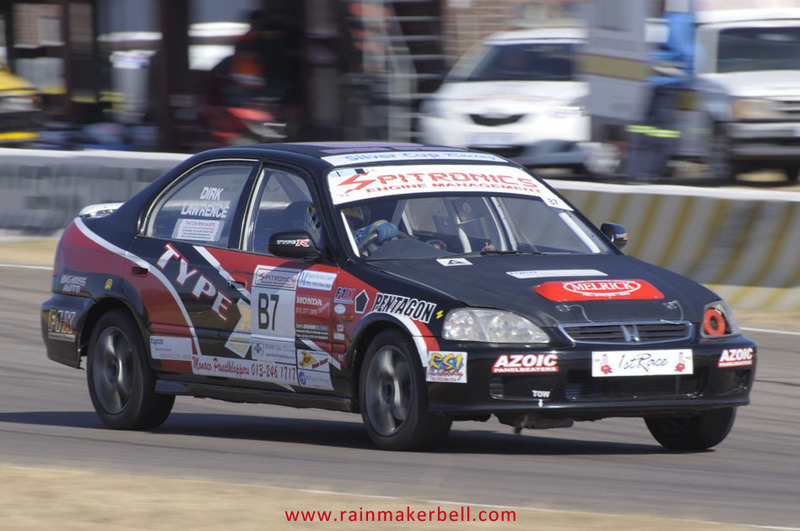 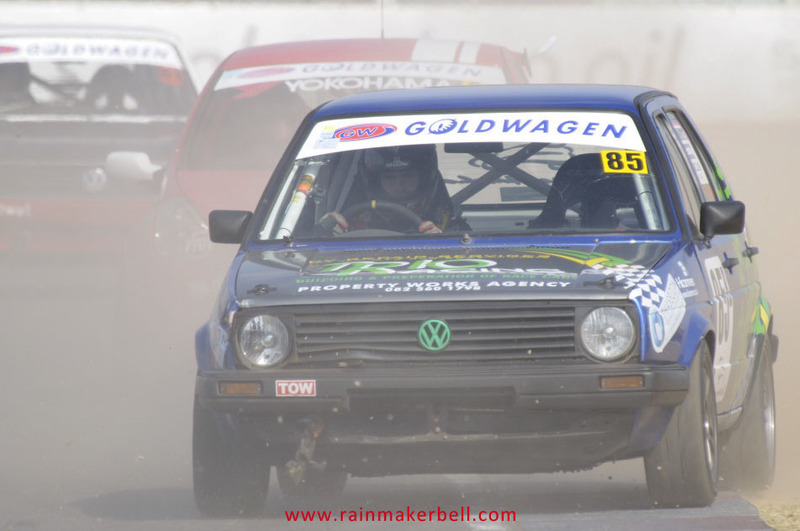 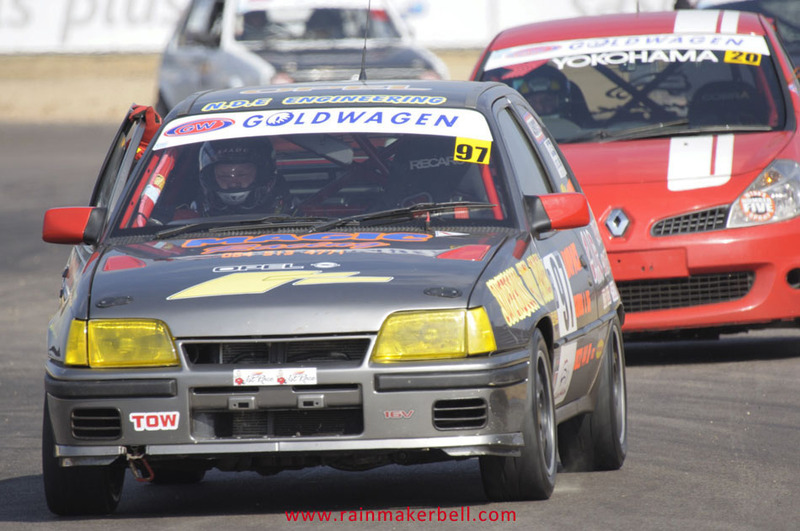 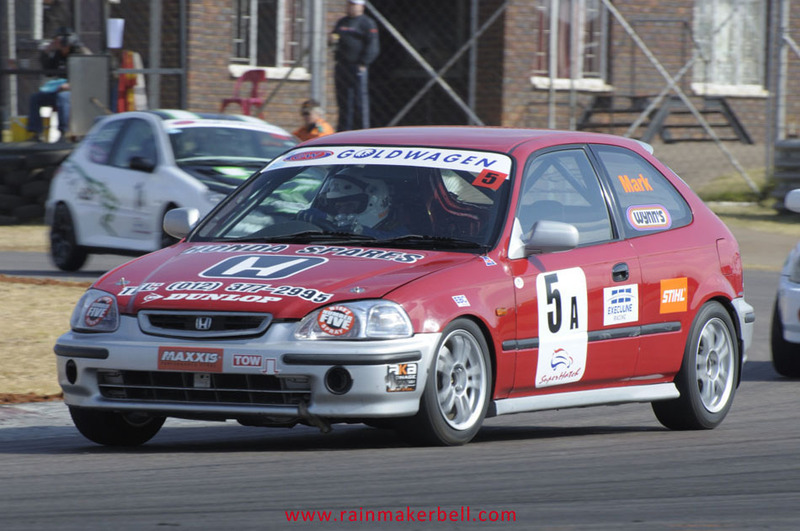 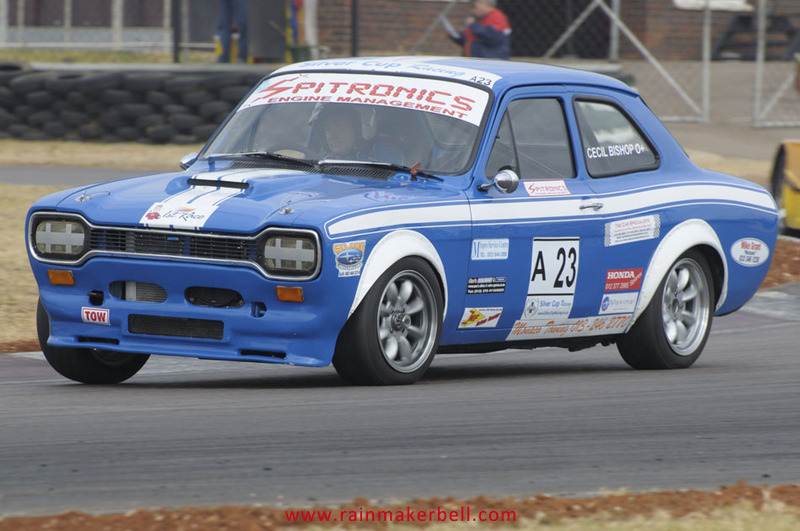 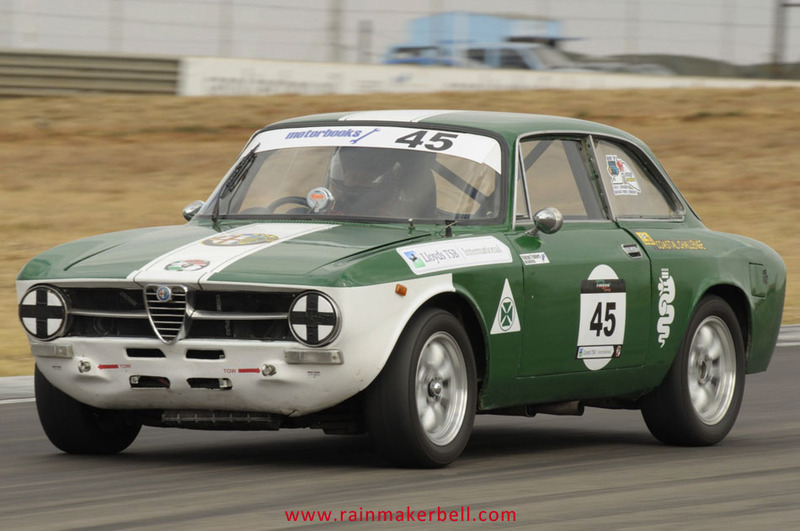 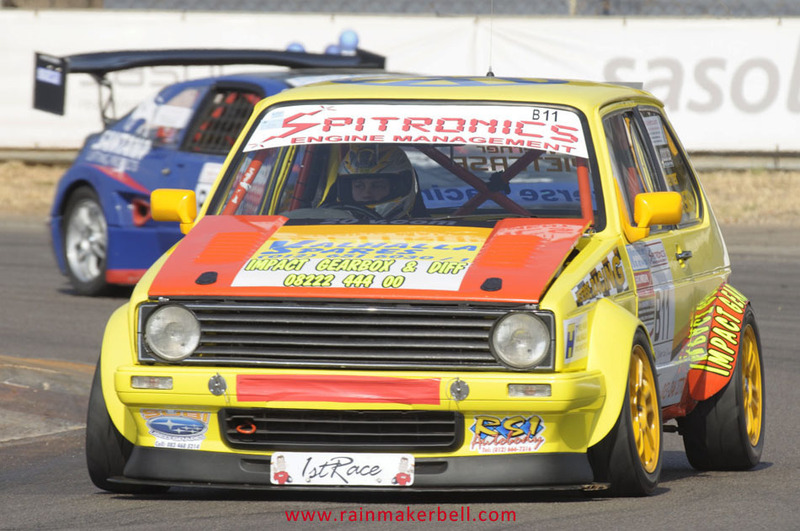 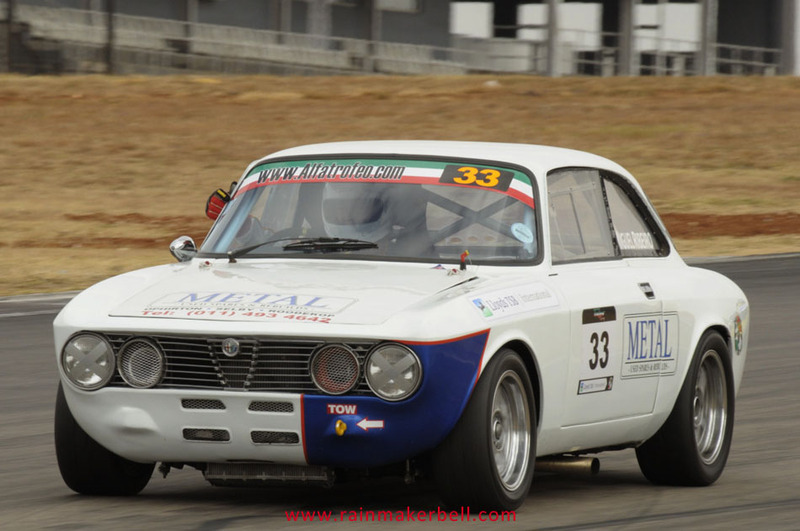 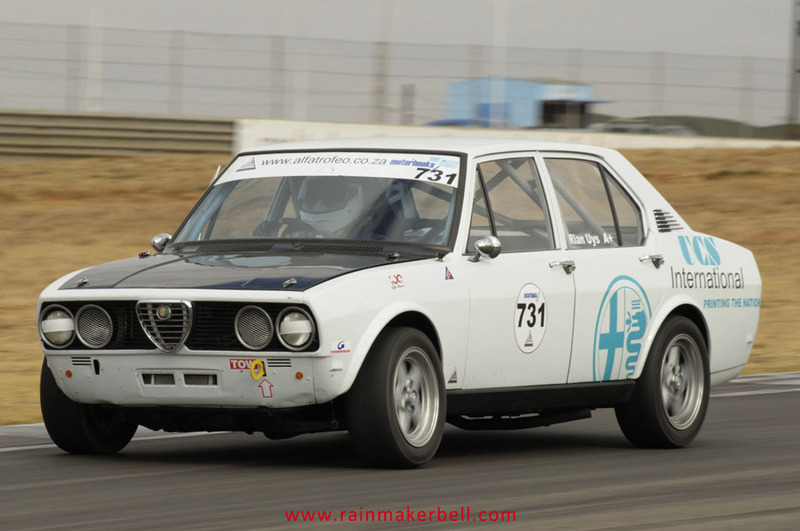 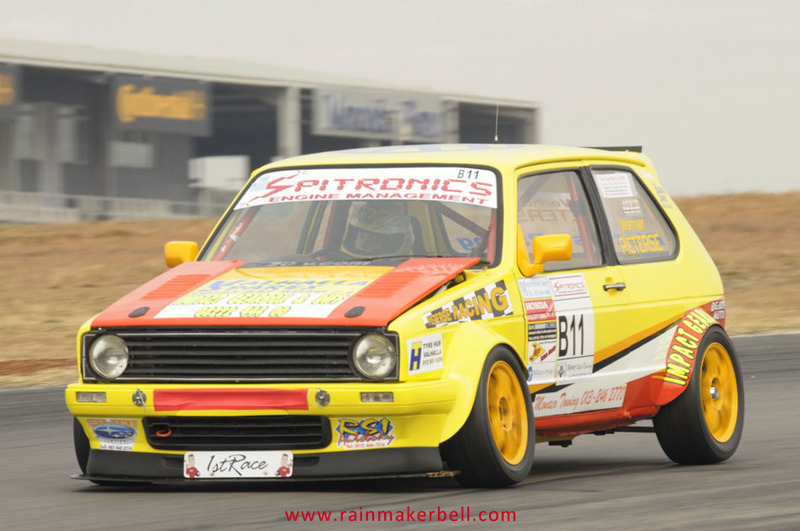 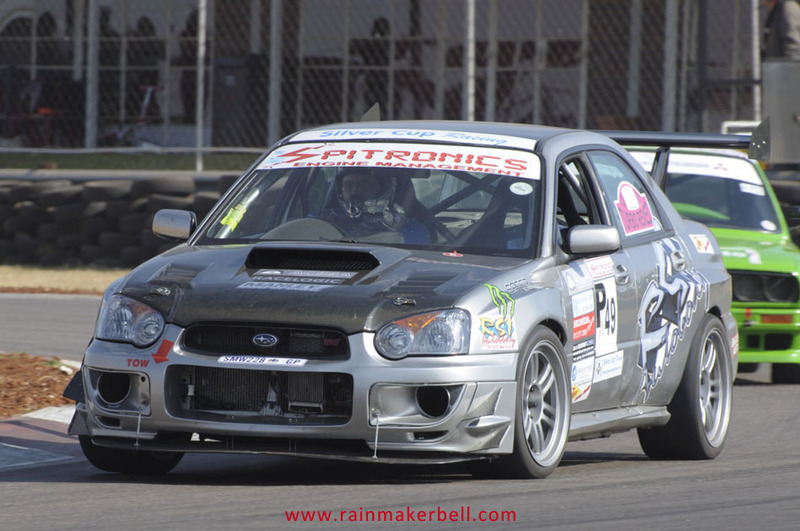 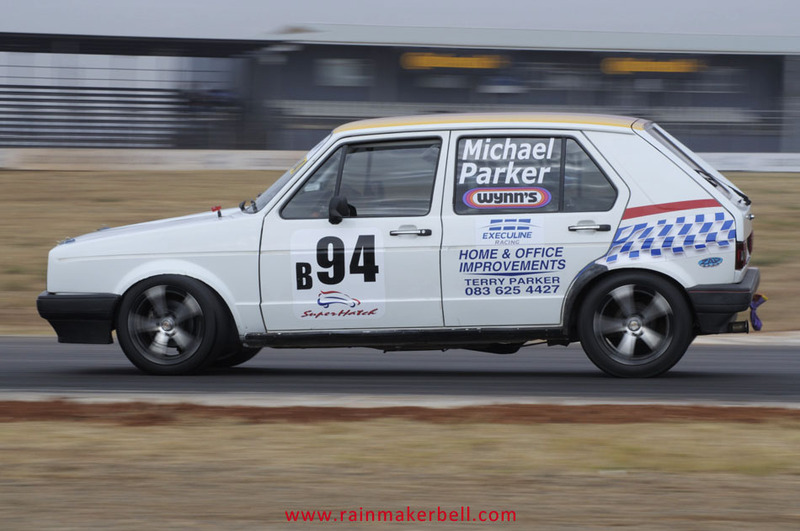 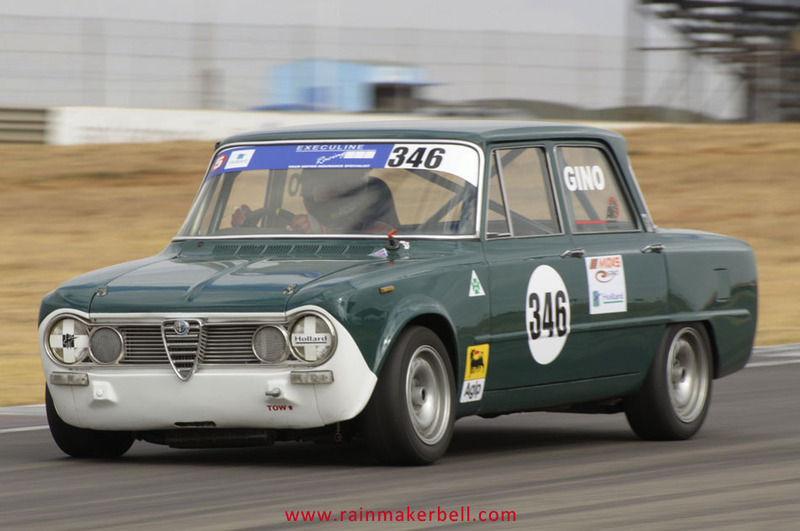 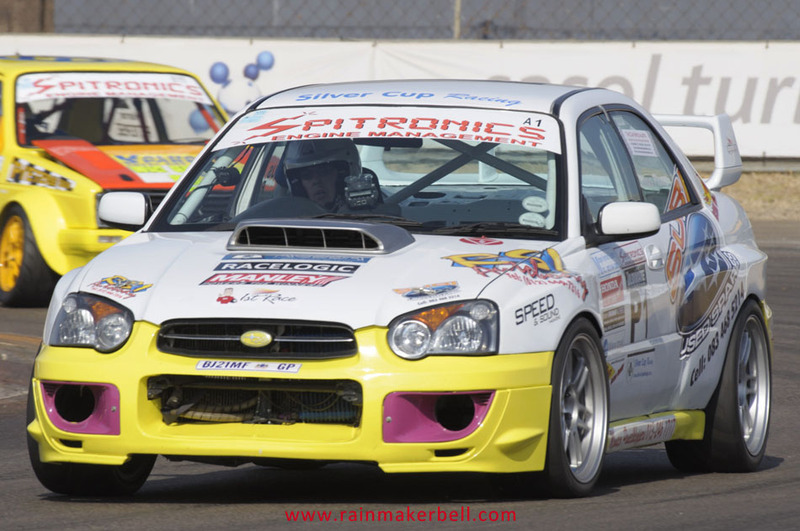 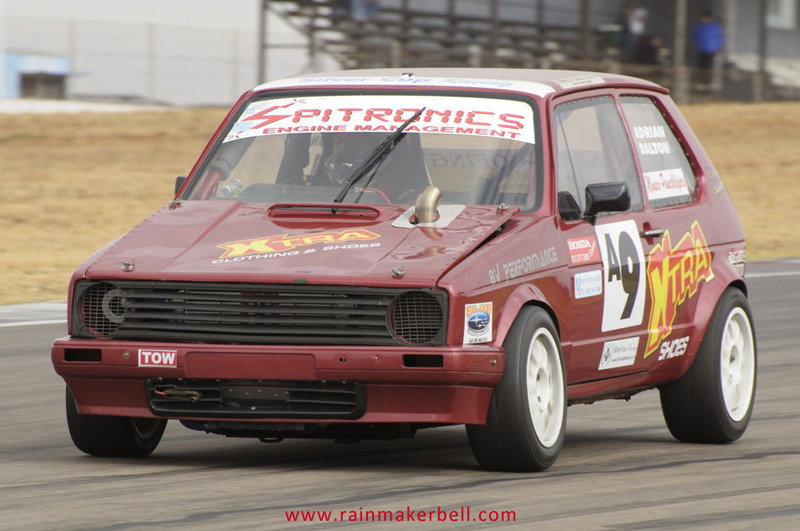 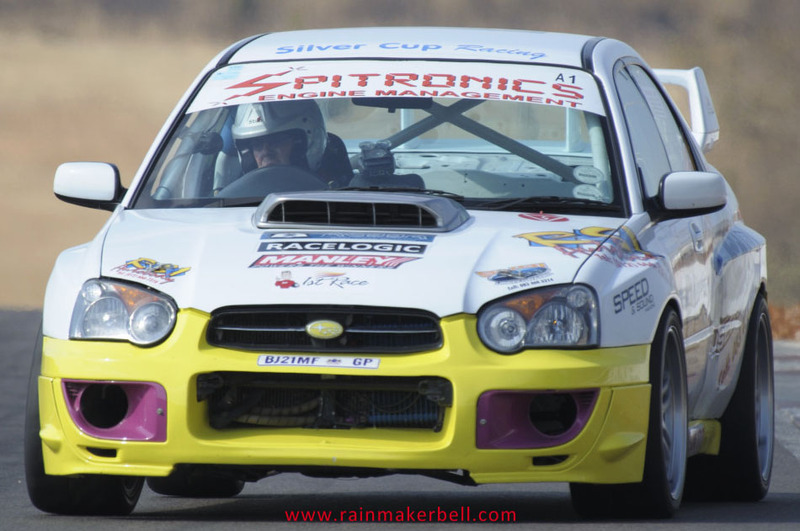 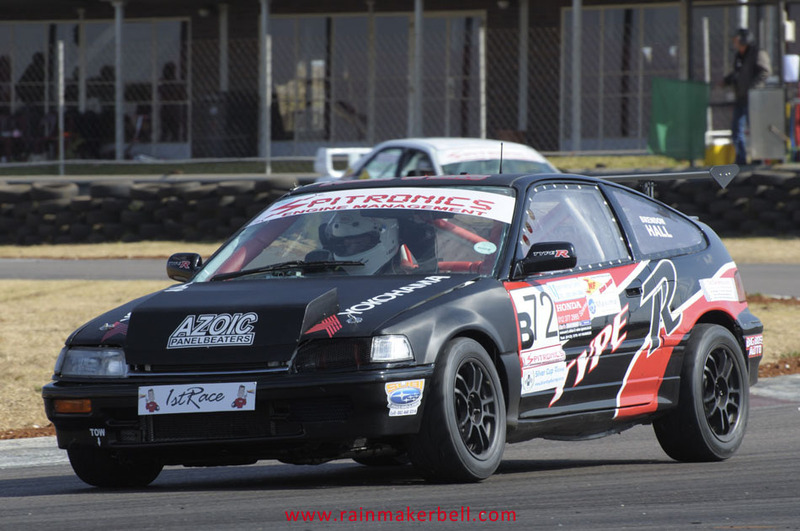 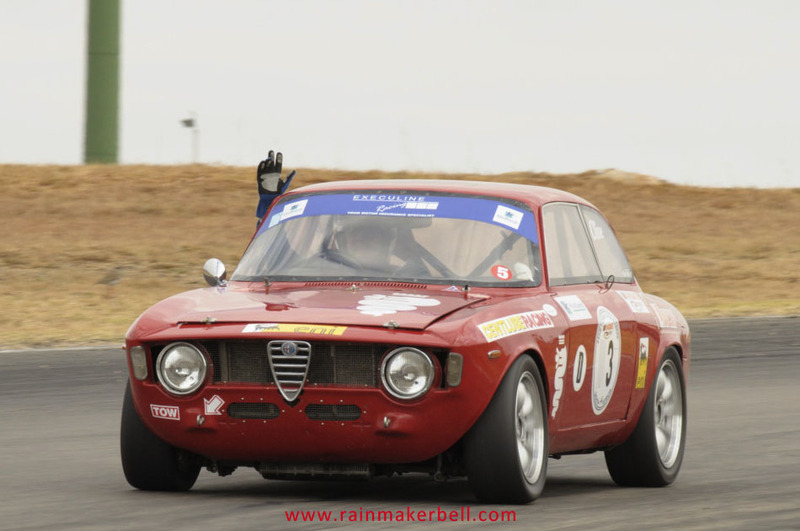 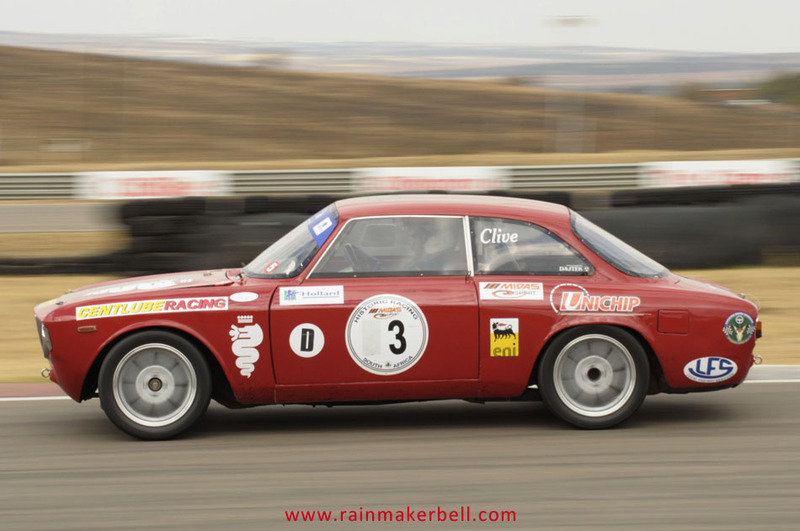 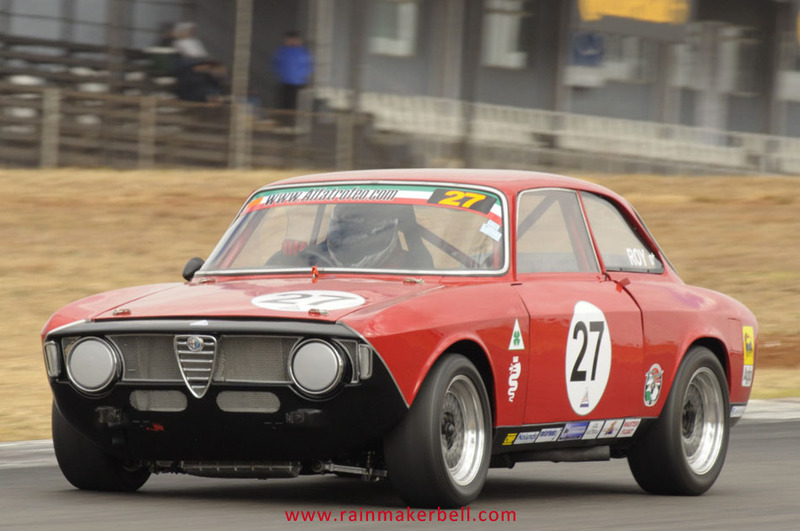 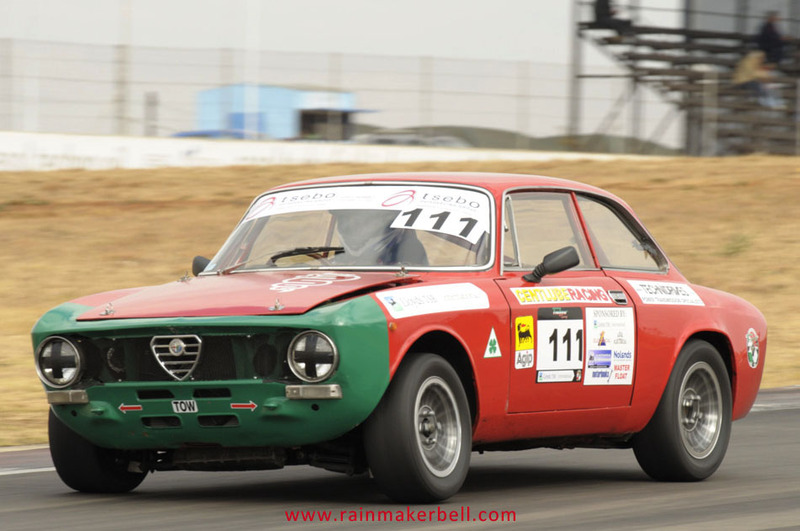 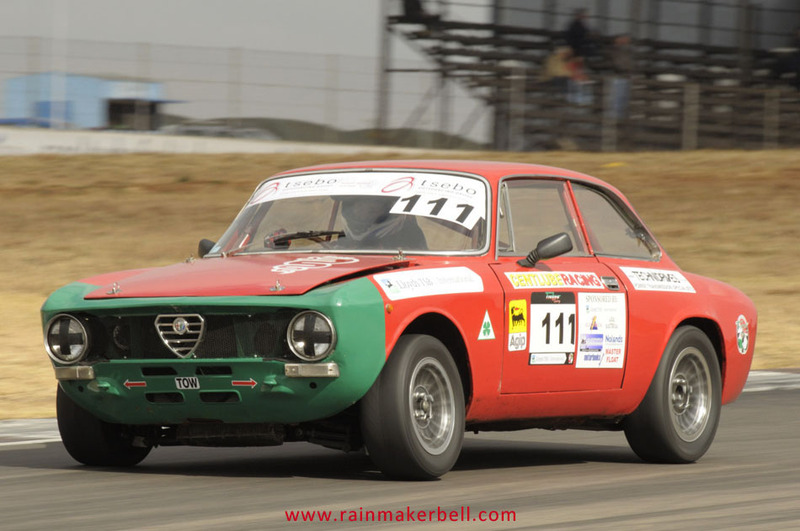 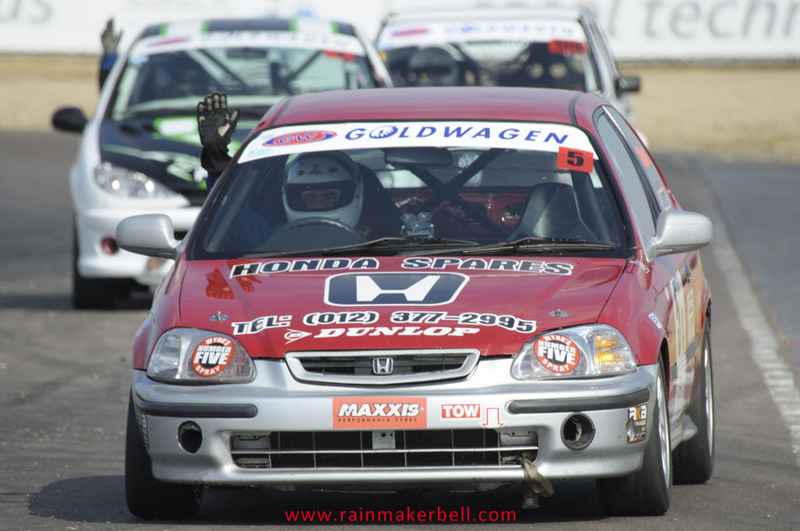 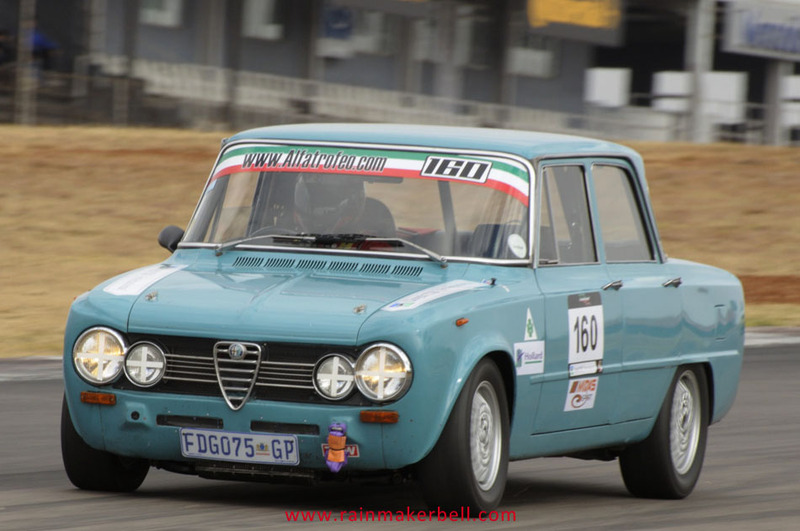 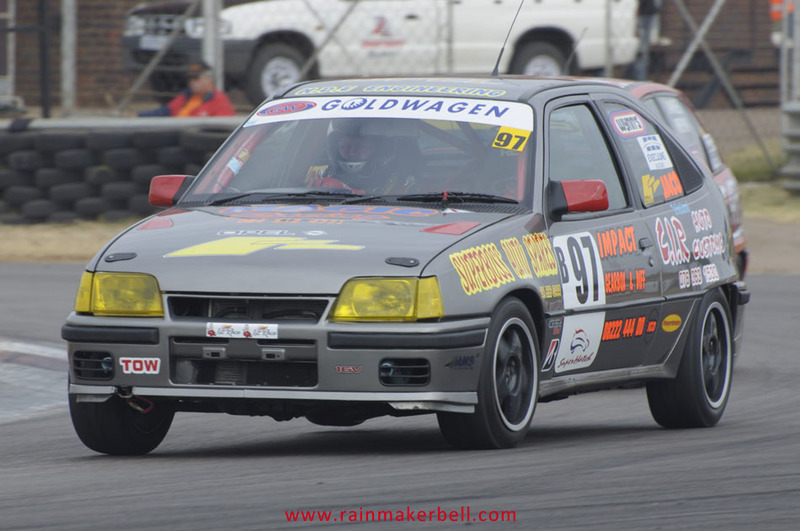 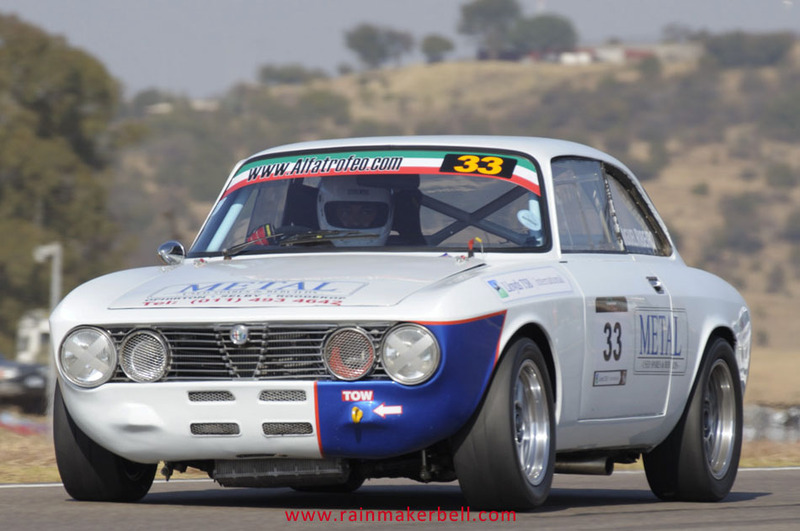 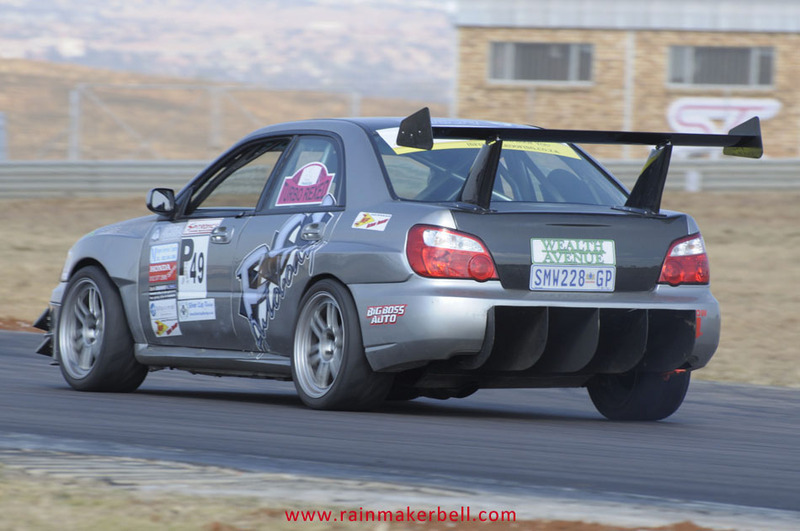 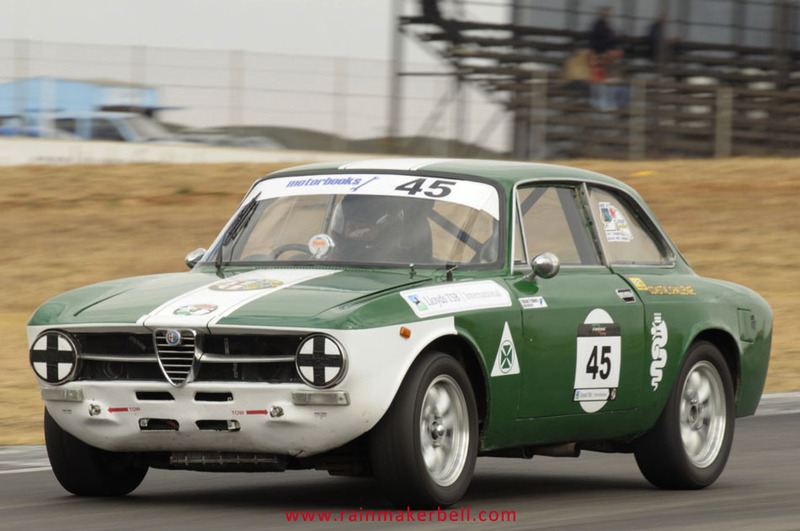 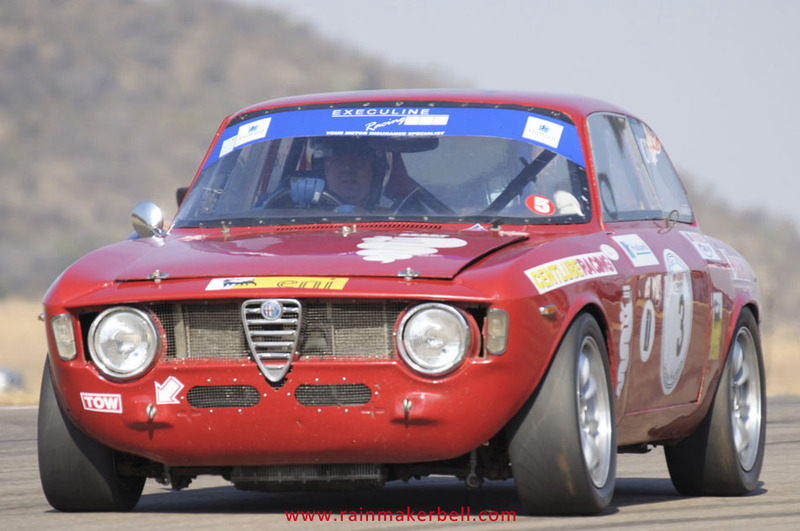 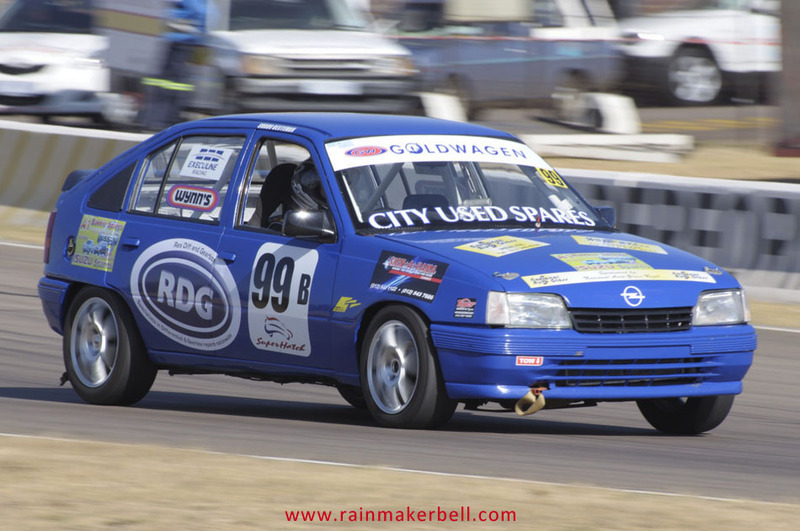 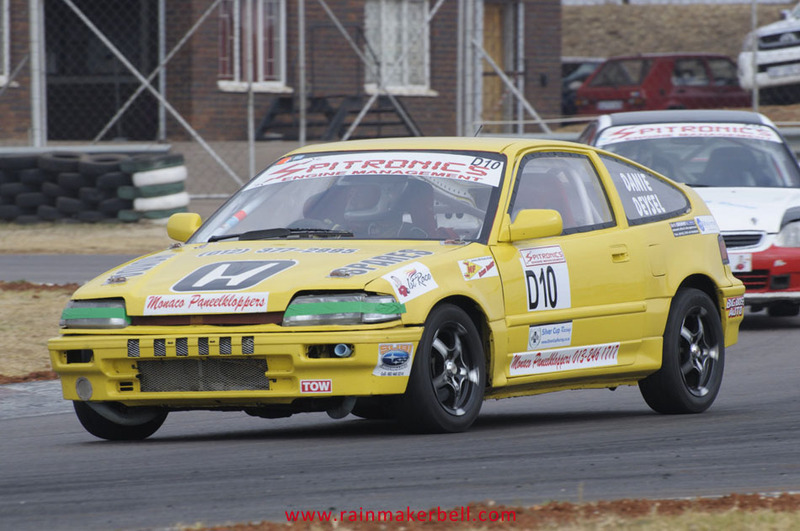 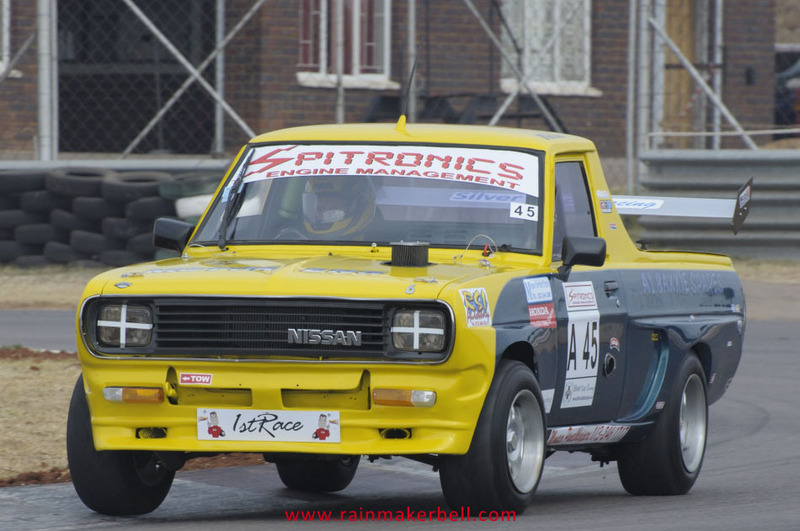 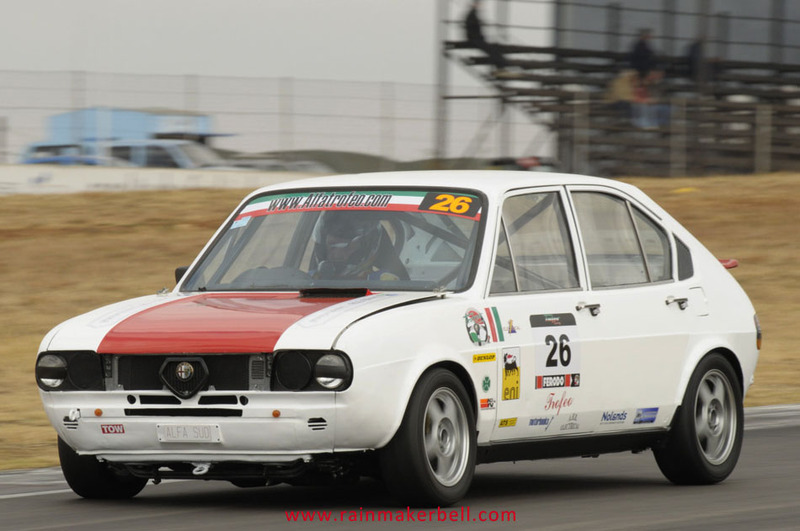 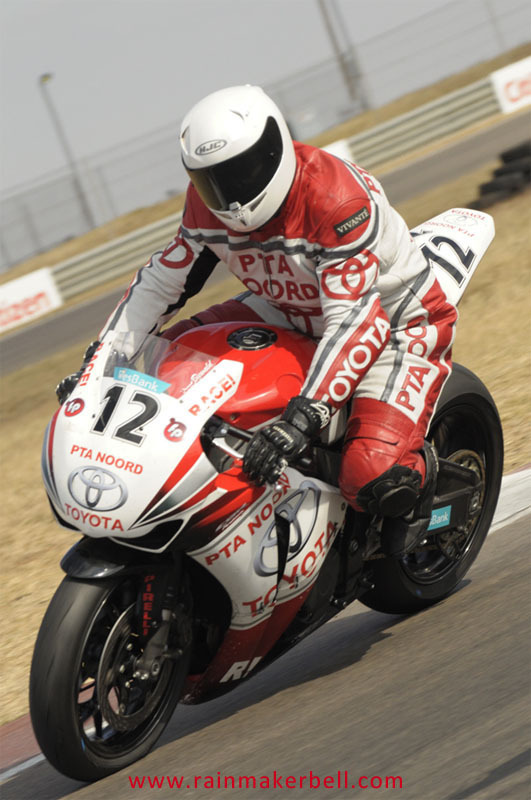 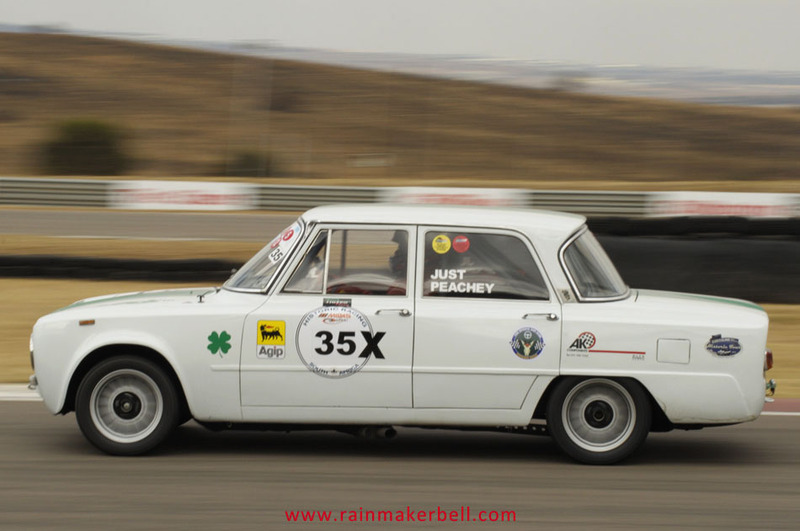 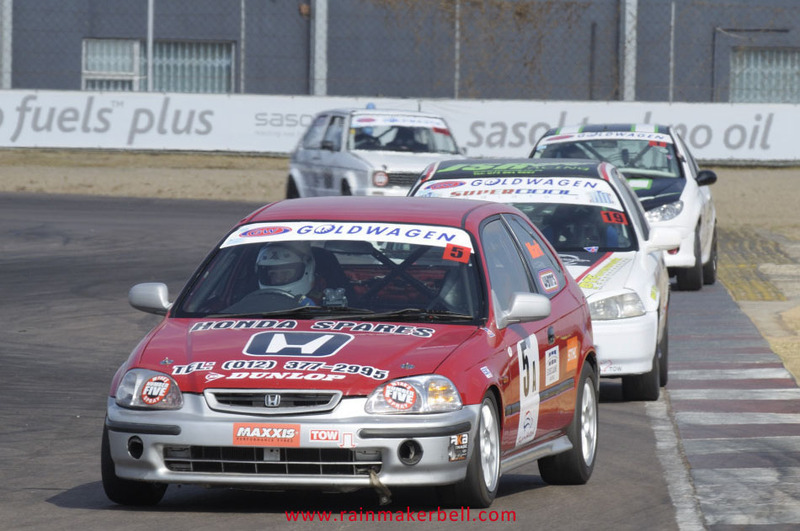 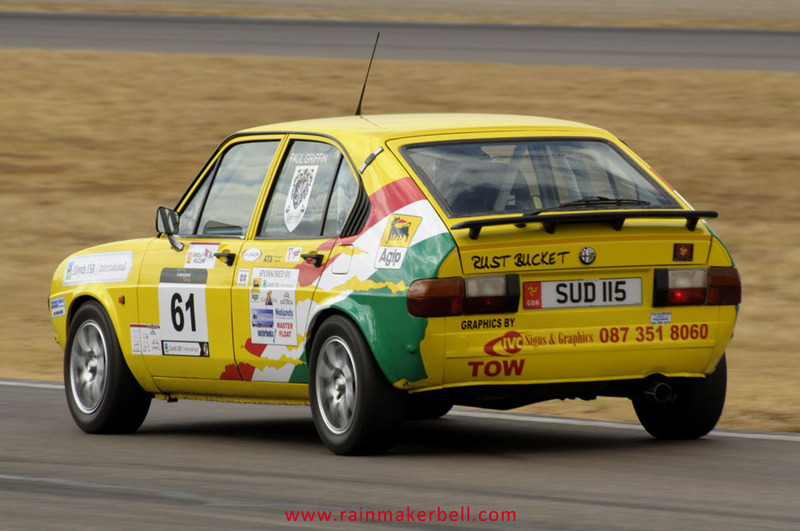 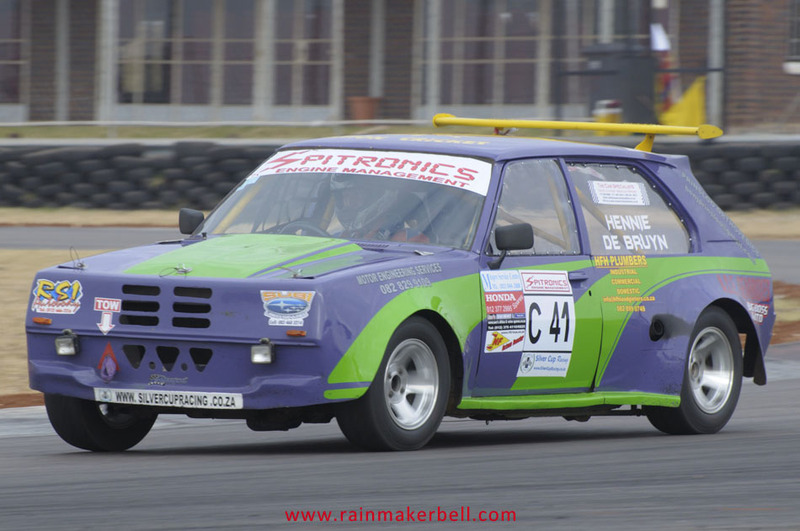 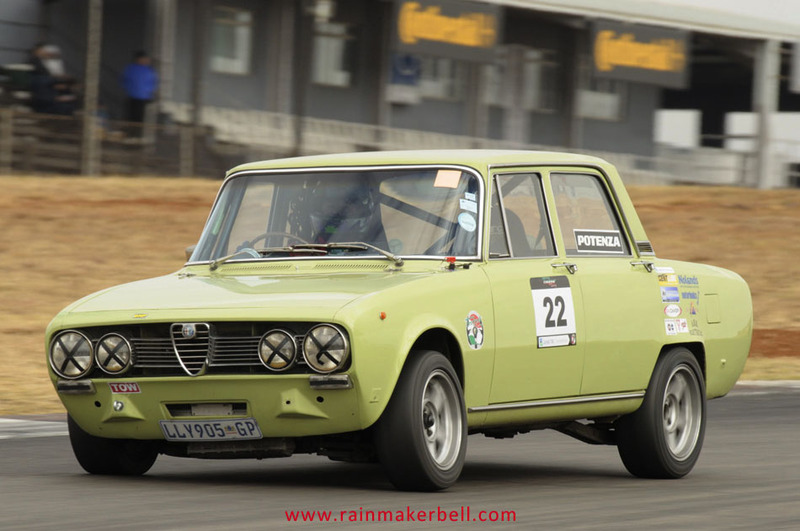 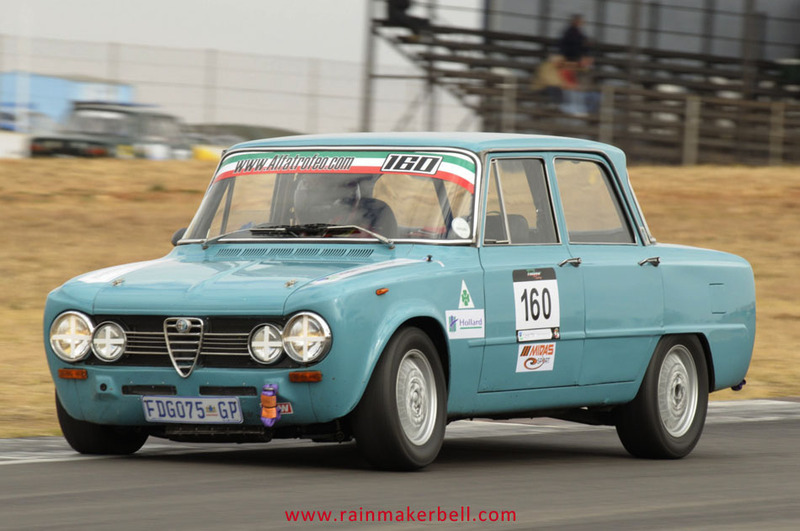 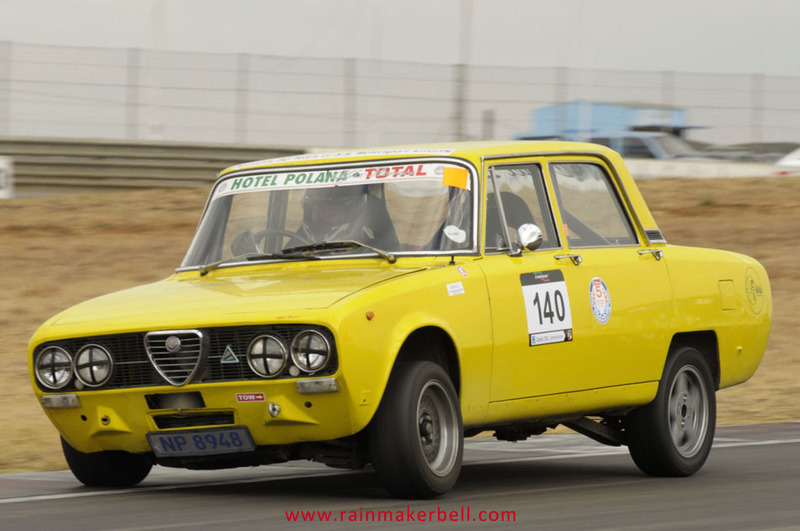 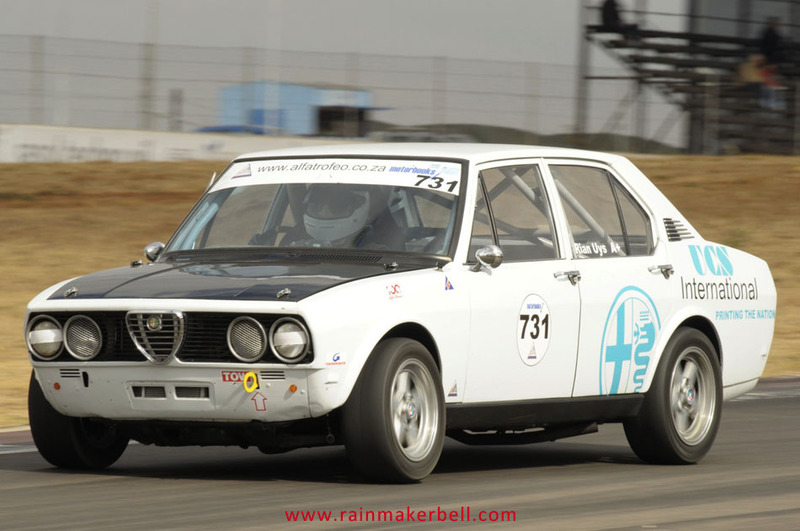 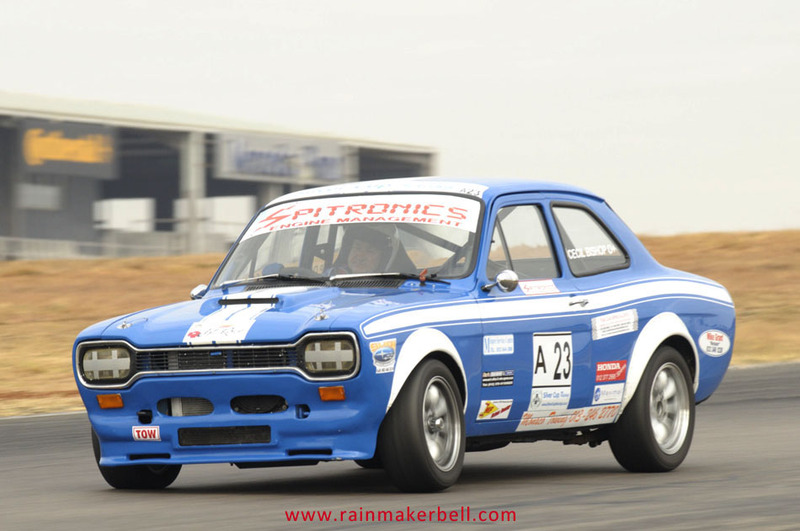 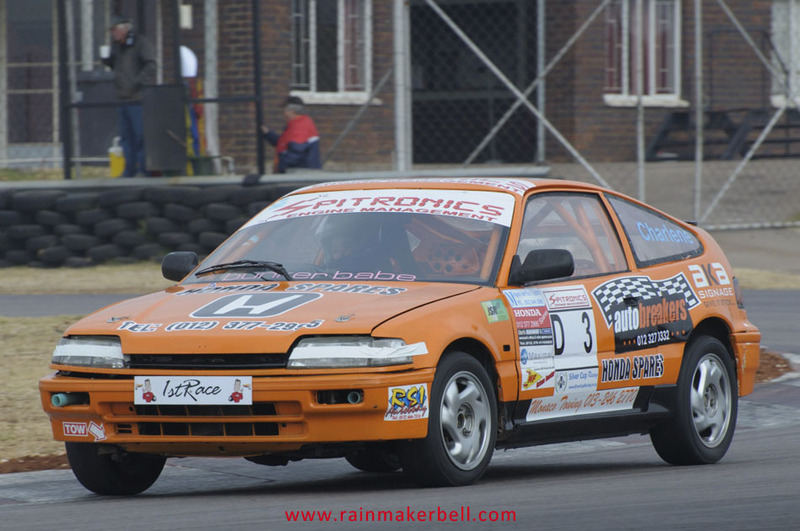 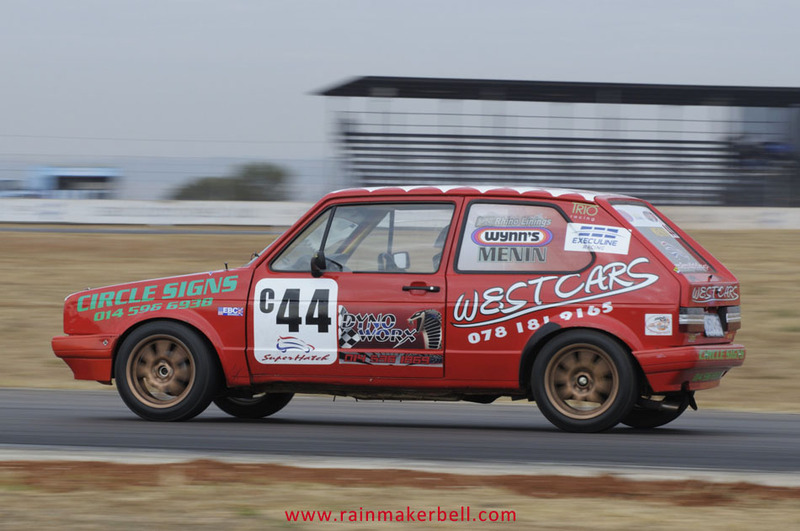 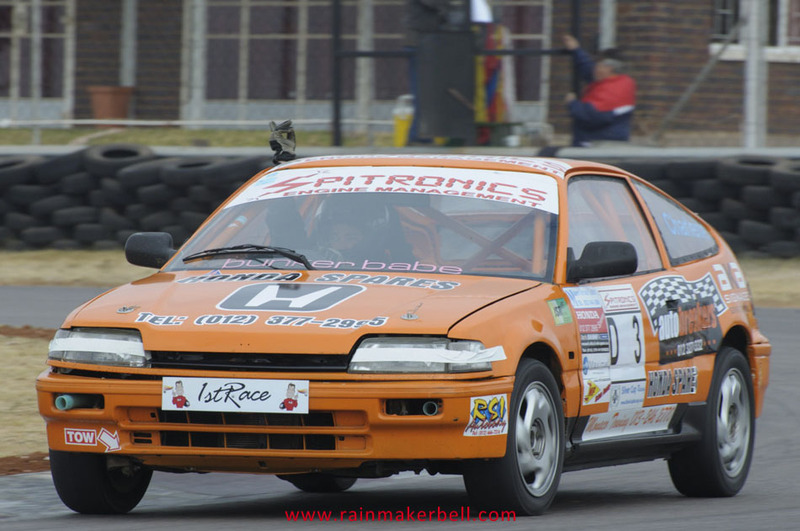 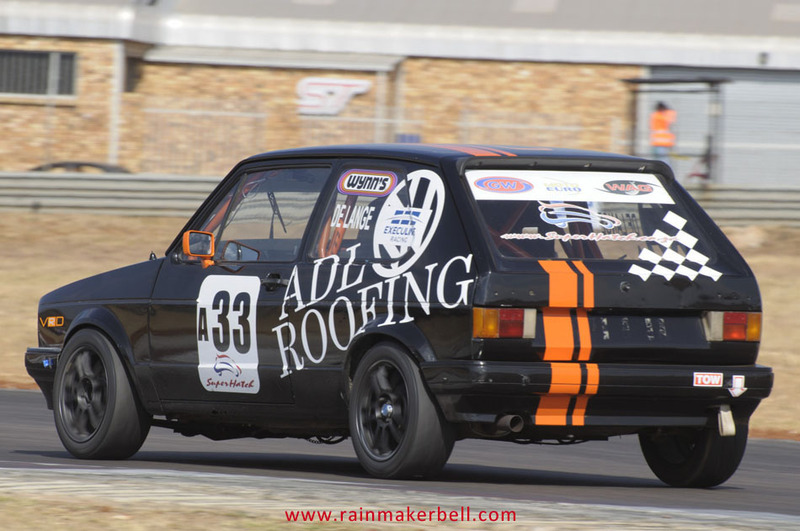 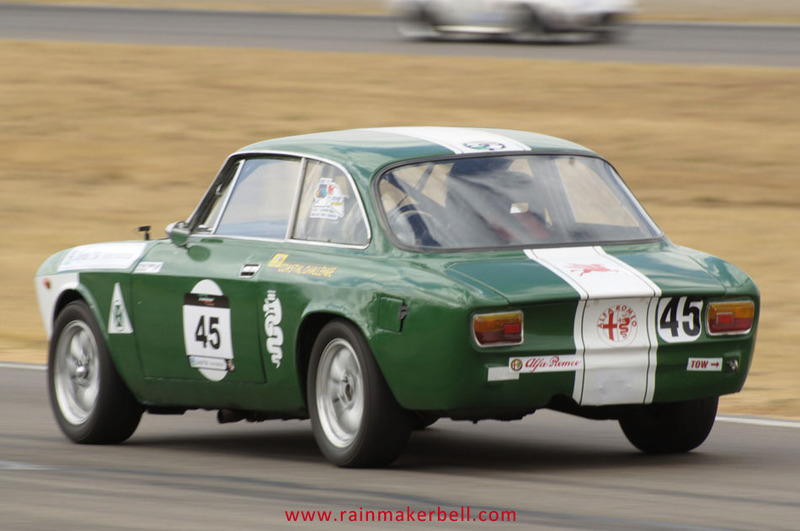 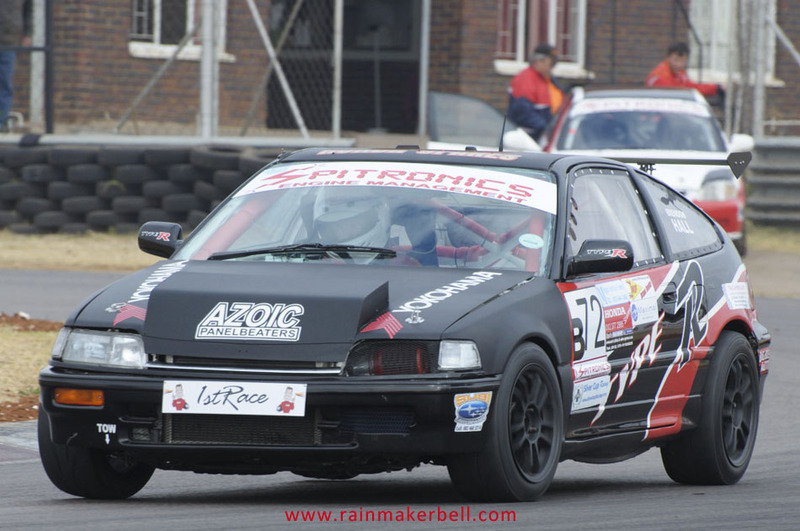 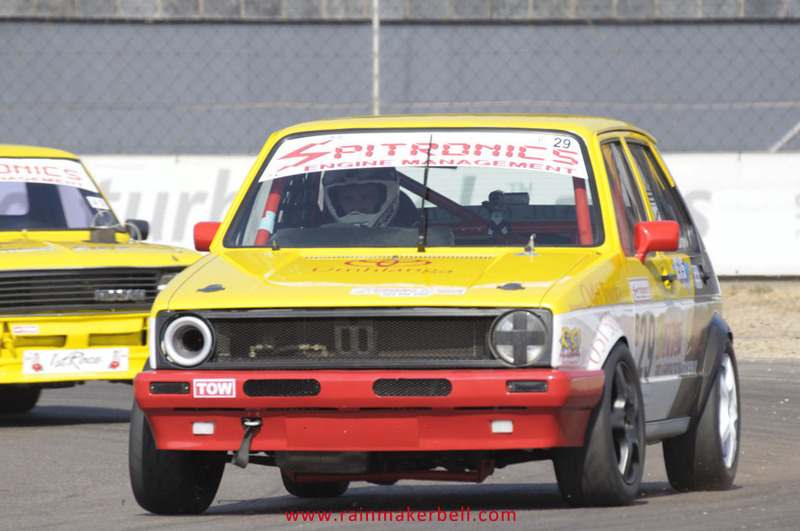 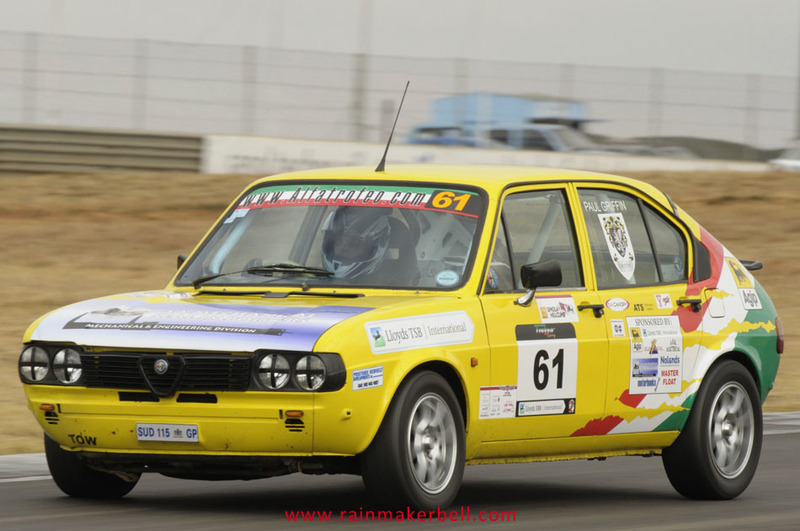 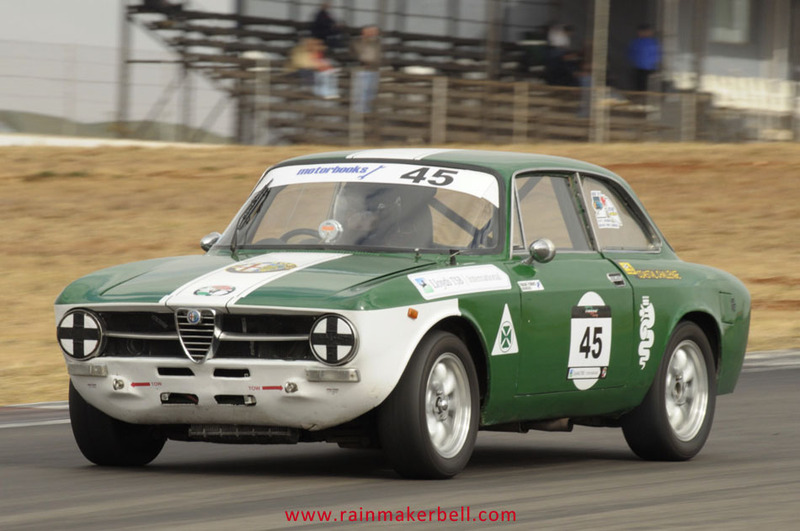 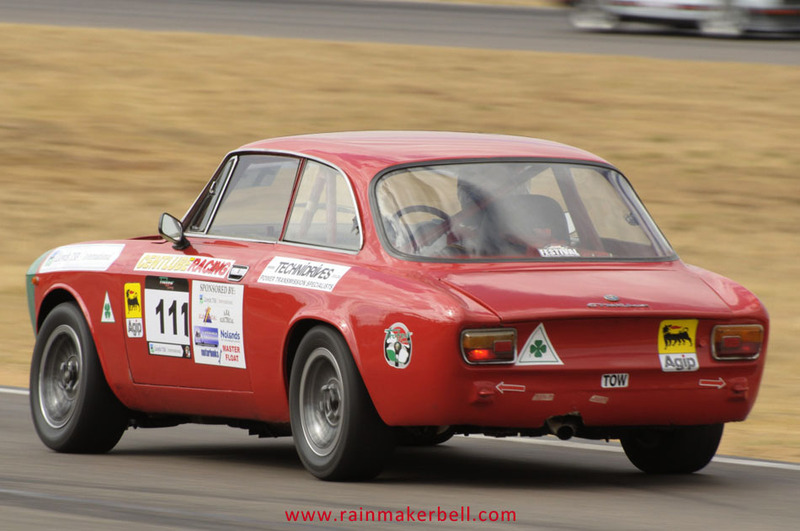 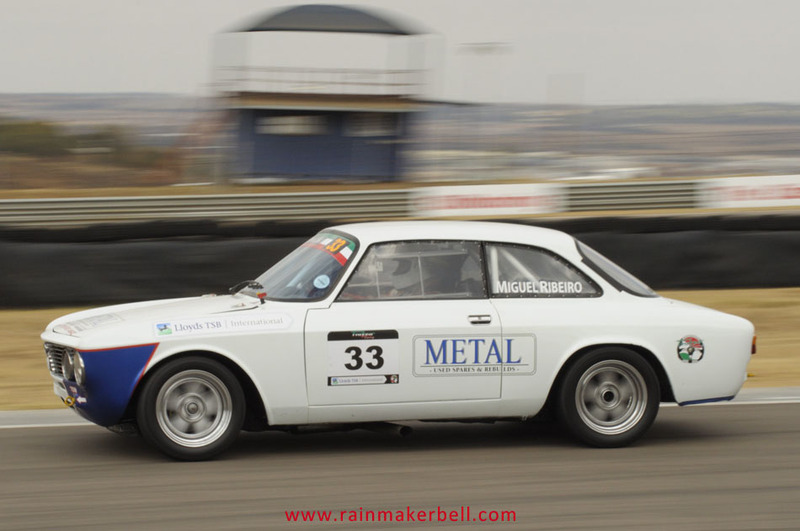 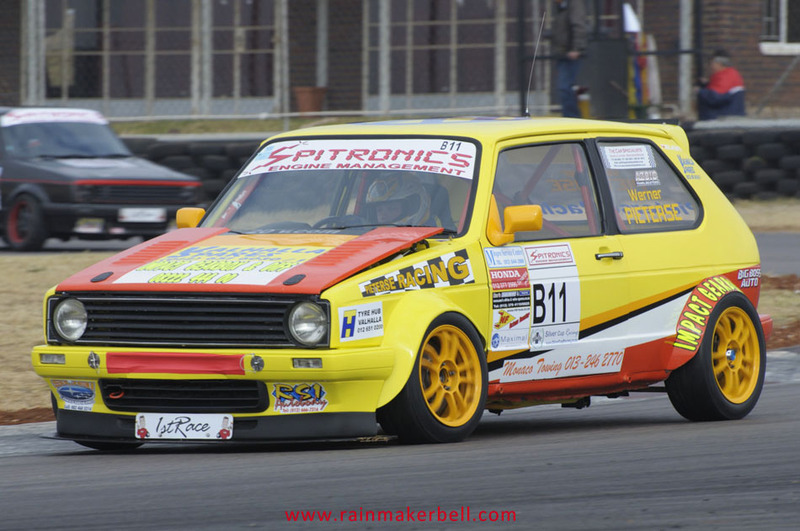 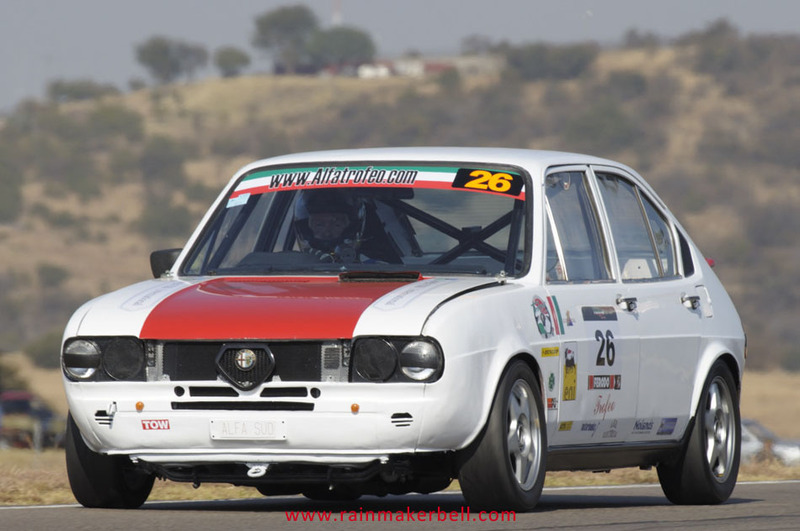 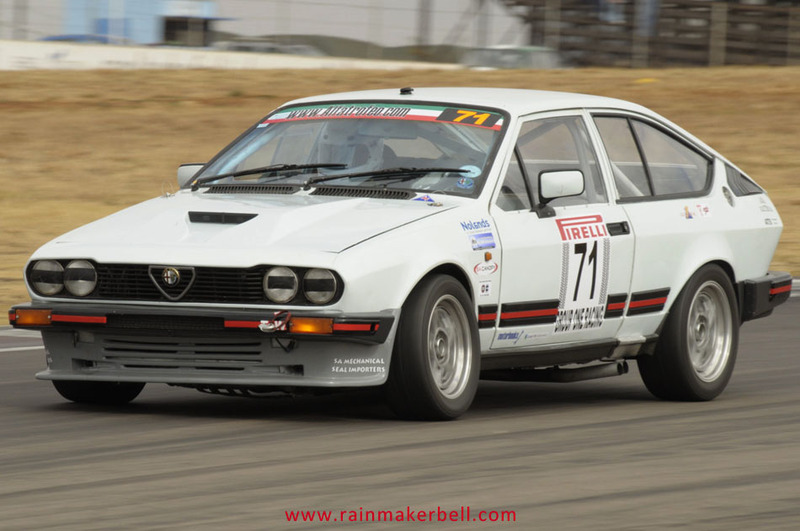 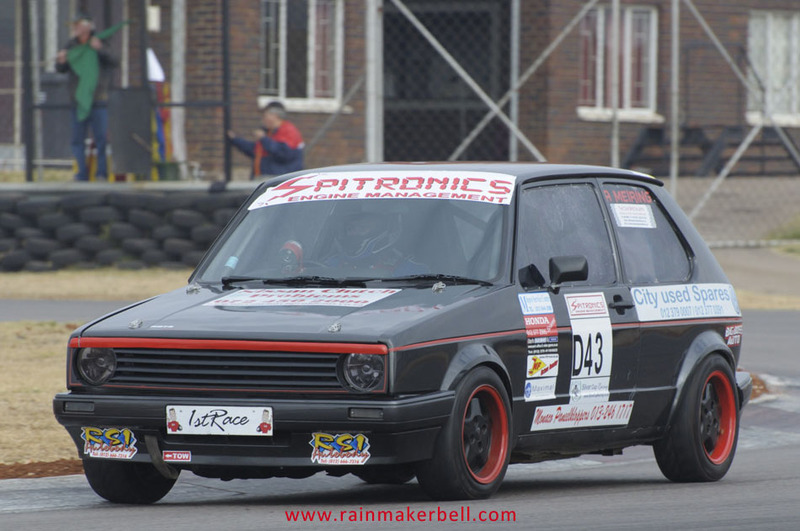 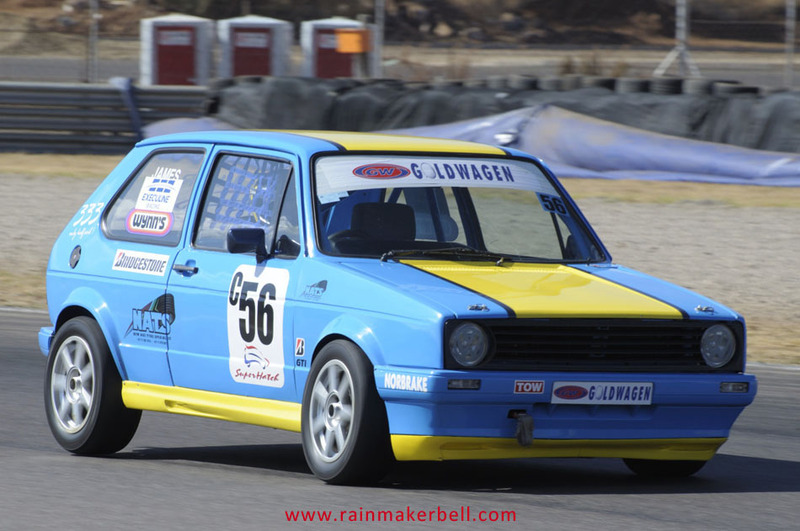 Most of the Zwartkops racetrack yields right turns—causing the right side of the Bridgestone tyres to get all the heat it needs—until turn seven presents its cruel left side, knocking down scoot jockeys, indiscriminately. 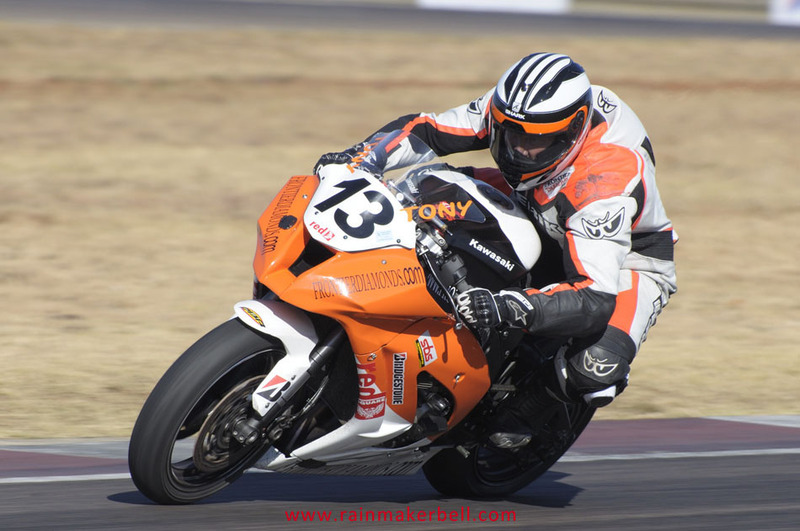 Ricky Weare fell victim to the same fate just a few weeks earlier. 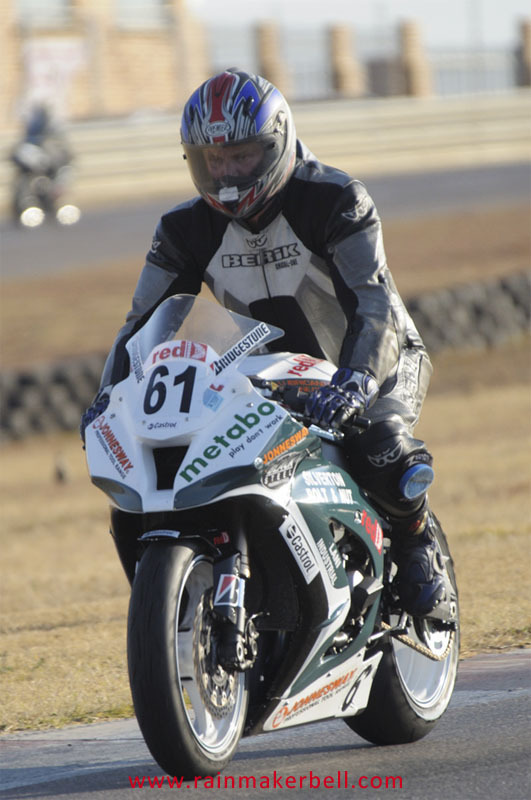 However, for Bertus Meyburgh #50, the downside to this unfortunate incident was that he was unable to compete in the Saturday's official Thunderbikes race event. 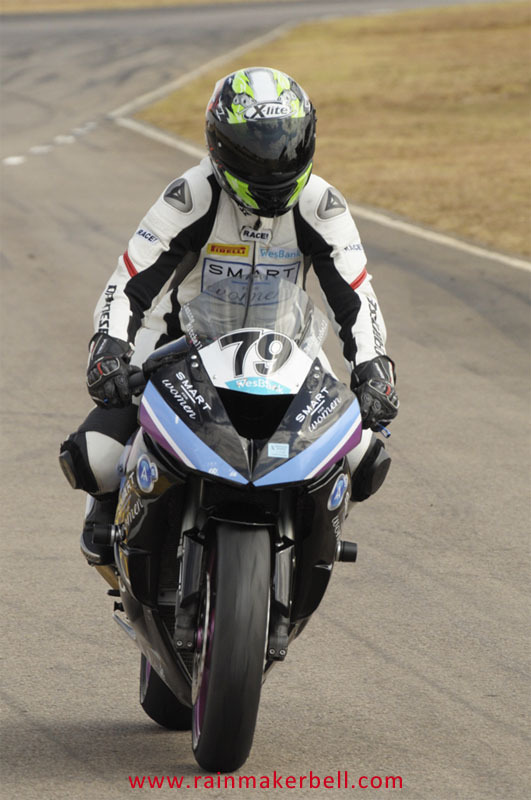 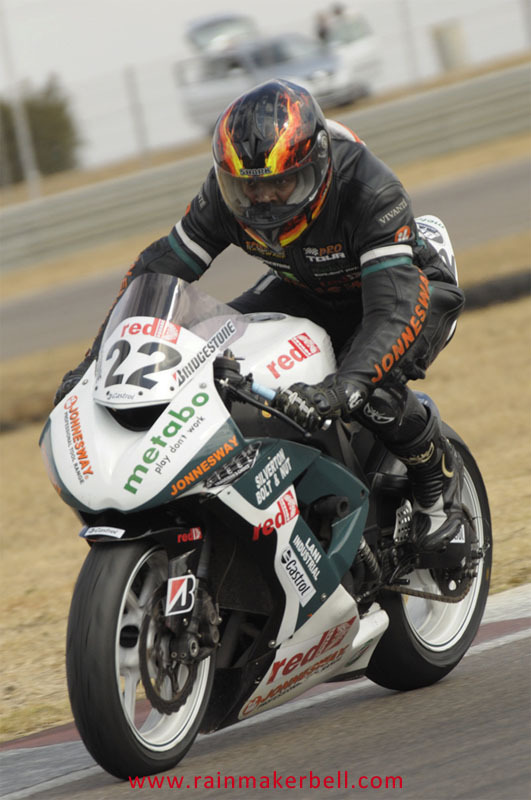 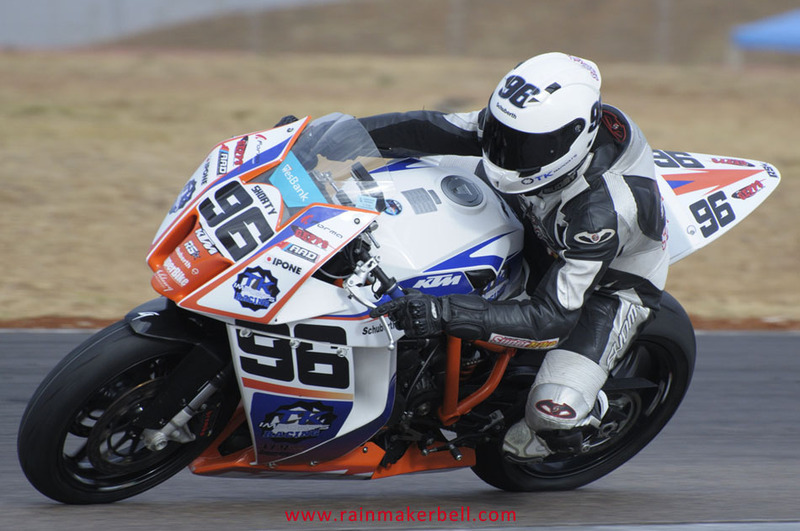 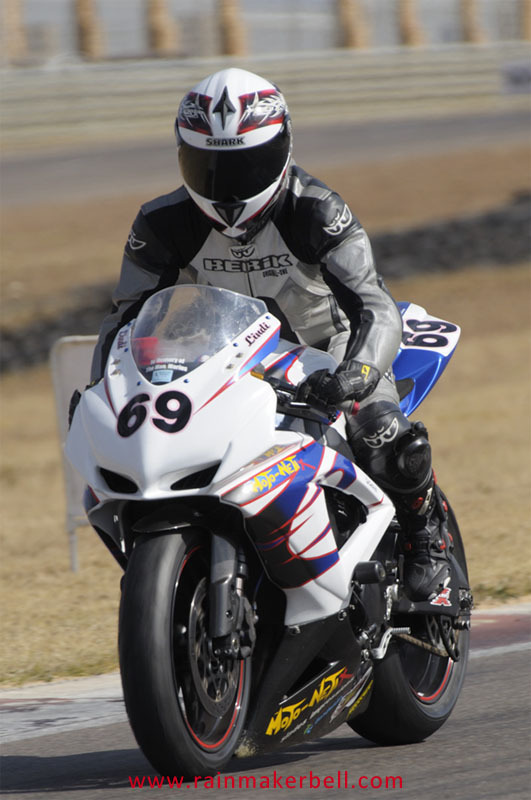 Saturday, and the ominous bass rhythm continued, the first victim, coming into turn eight, was Etienne Nelson #68 on a BMW S1000RR. 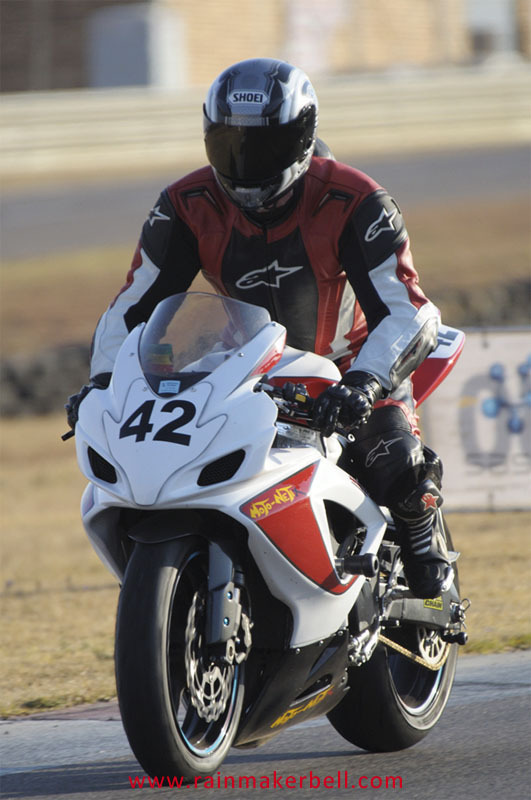 Following suite—further down the pit straight—was Kyle O'Donnell who's Honda CBR1000 hit the tyre- and inflatable barrier with the sound of a firing canon. 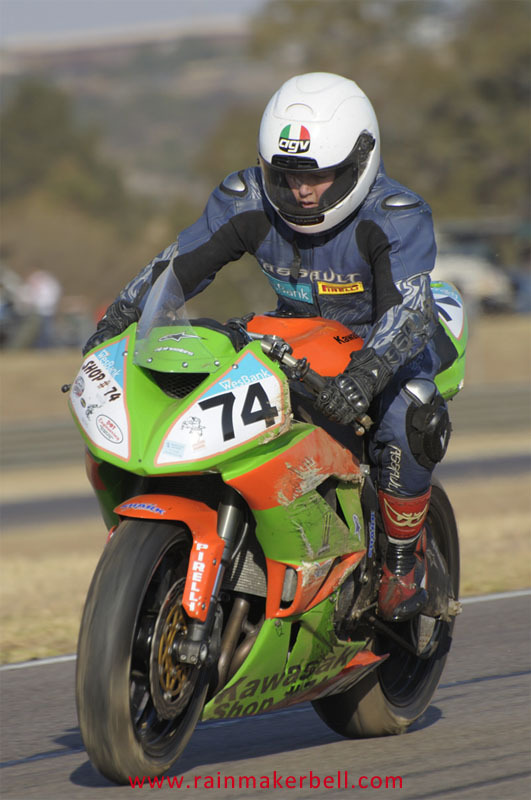 The severe impact causing the inflatable barrier to explode before the race bike came to an abrupt halt. 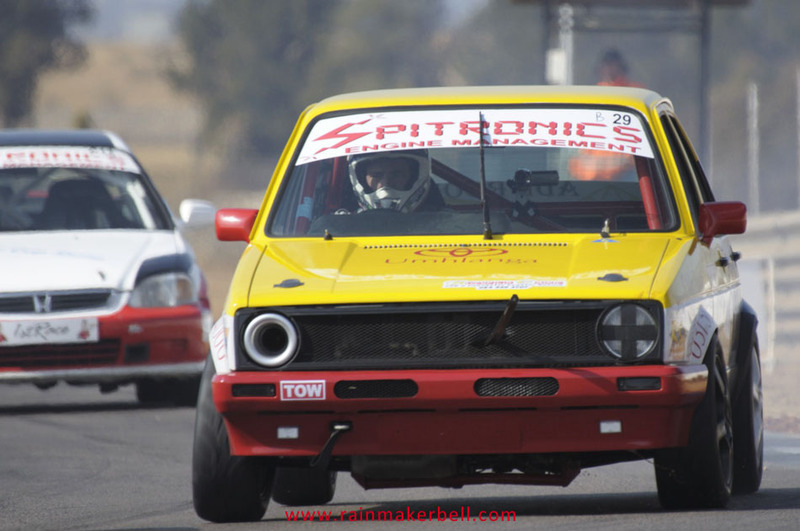 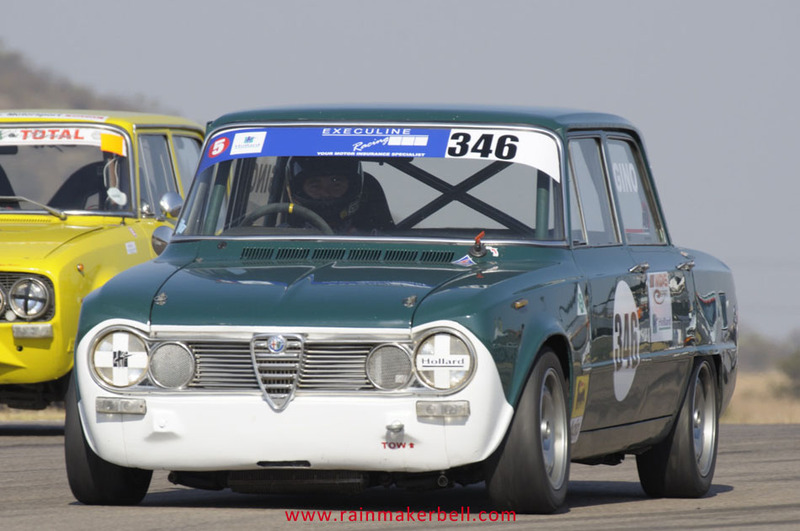 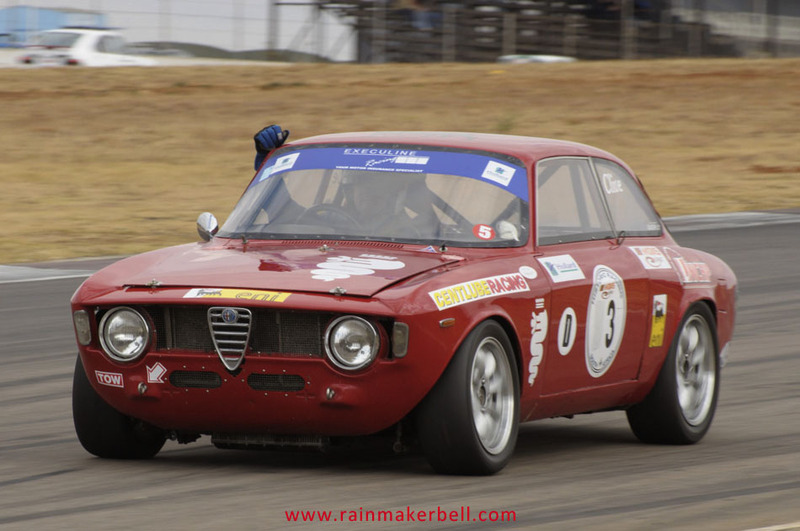 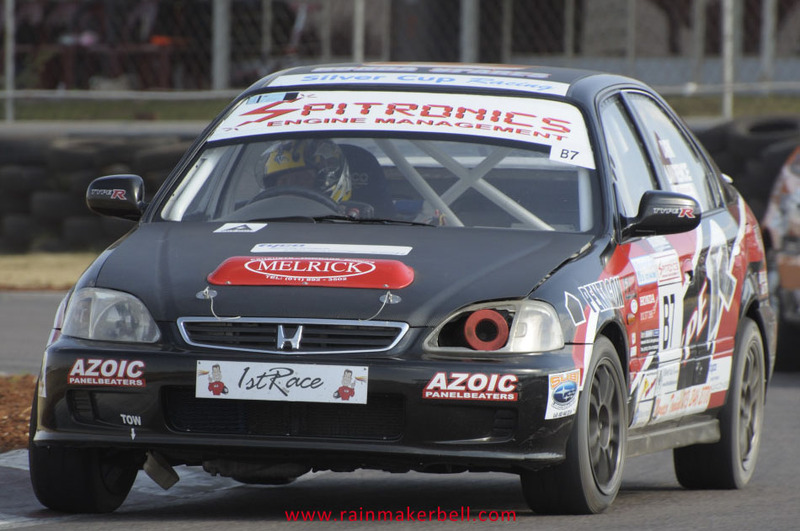 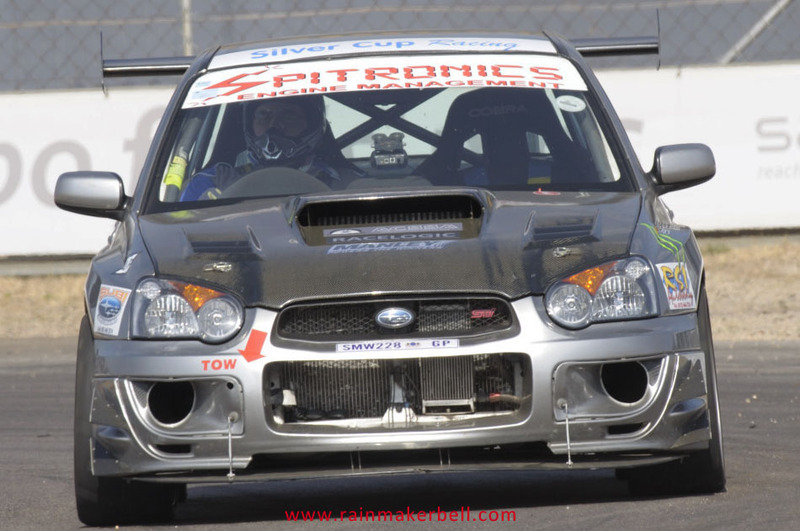 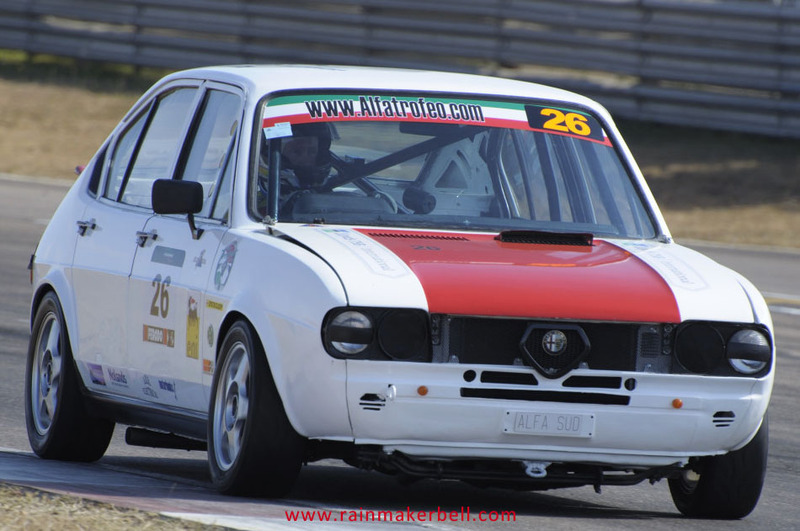 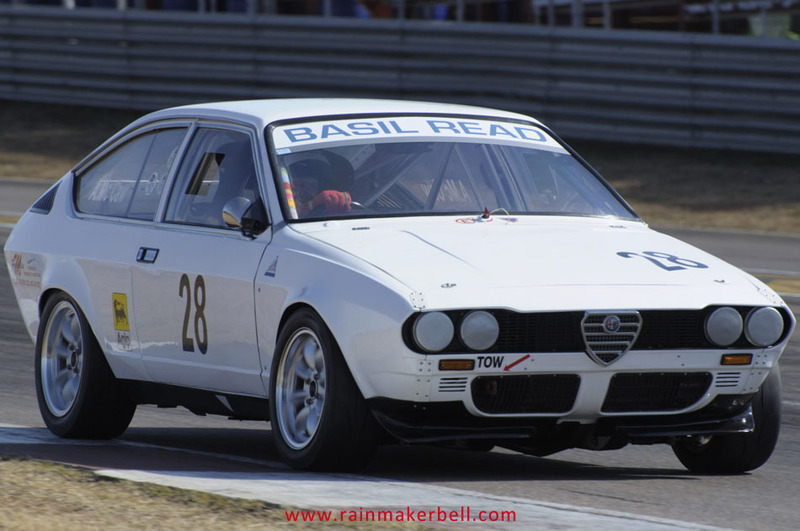 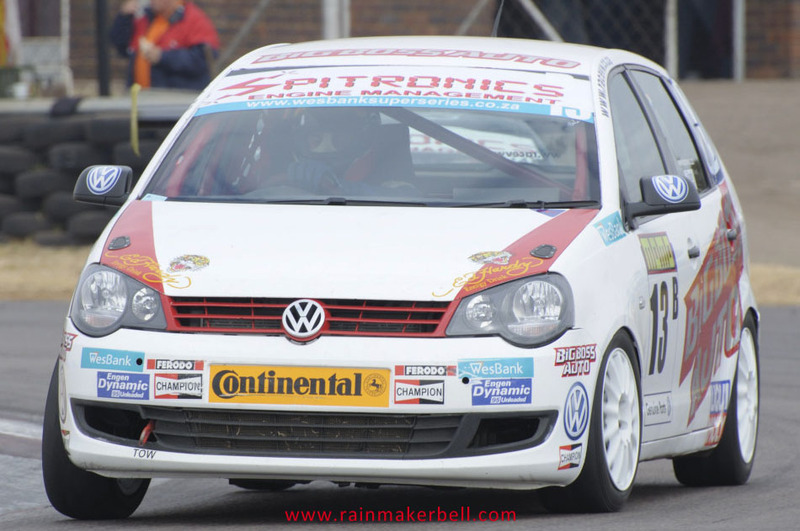 This was one of the most graphical accidents I'd seen in my short time as motorsport photographer. 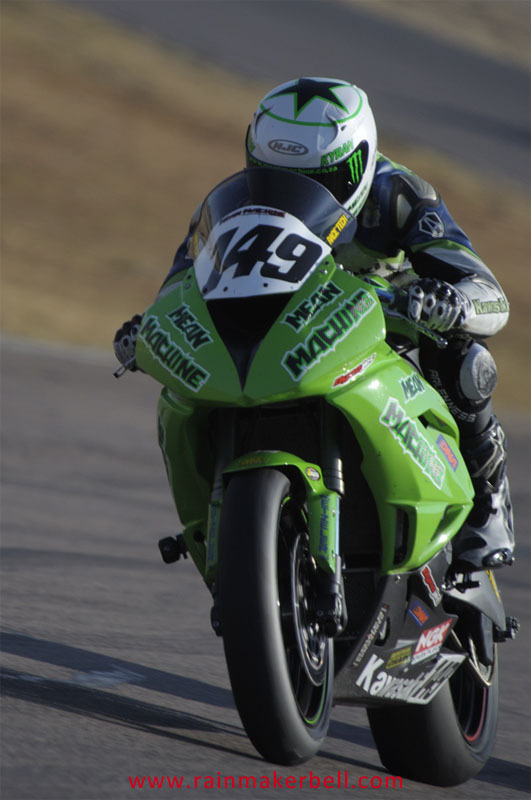 Luckily Kyle O'Donnell was able to walk away with only a limp. 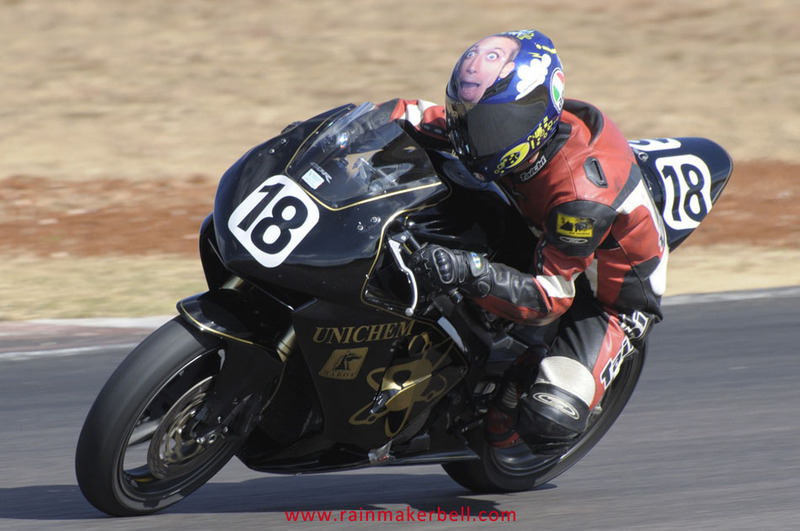 Only minutes later is was the turn of Morne Frampton #133 on a Suzuki GSXR to make his stage appearance on the tainted turn eight—rider in perfect condition; race bike barely alive... Riders don't always show their pain immediately afterwards, but their facial expressions tell a different story. 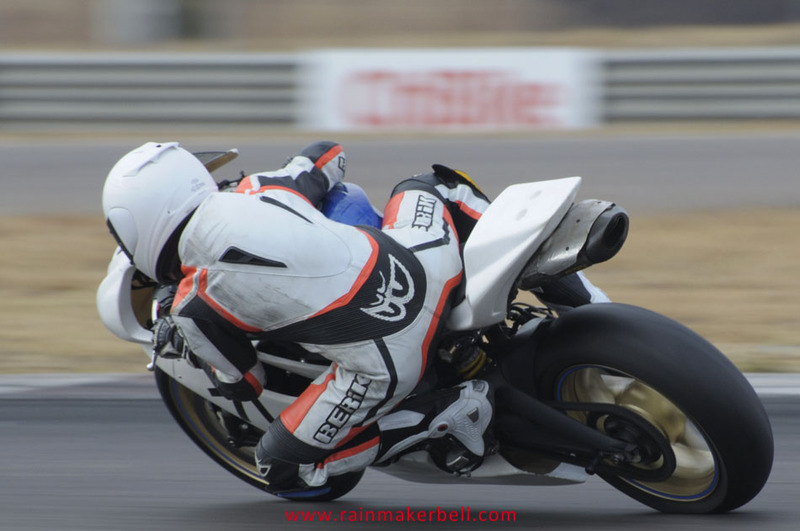 Although physical pain matters, I don’t think it hurts as much as standing witness to the destruction, speed and gravity, have left behind on your race bike. 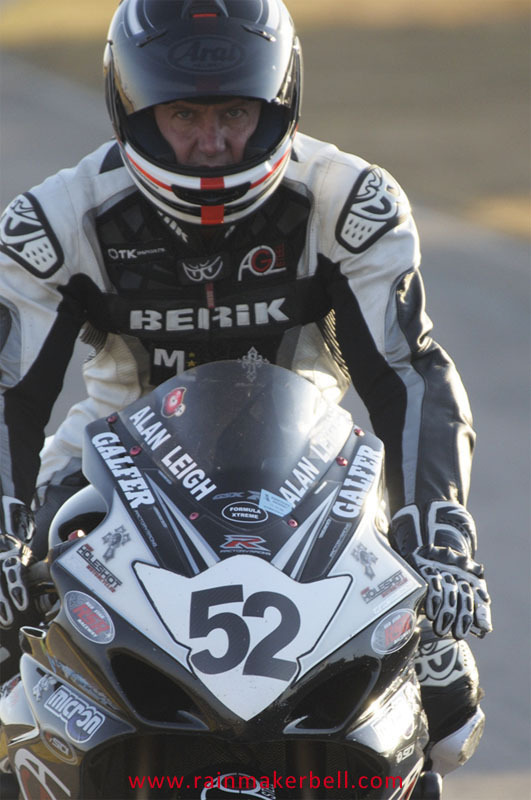 As you will recall I wrote about Anthony Shelley a while back—Big Heart in a big world. 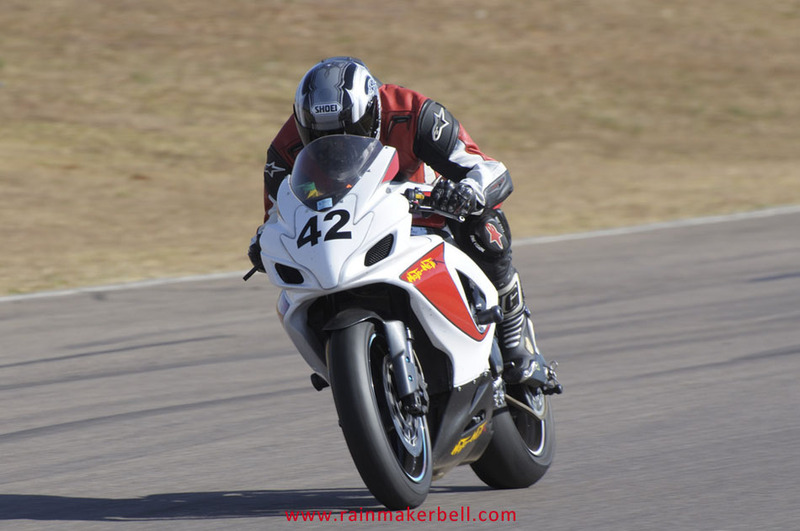 On Saturday this positive proclamation stood evident—maybe I was sending positive words into the future for him to reap, who knows? 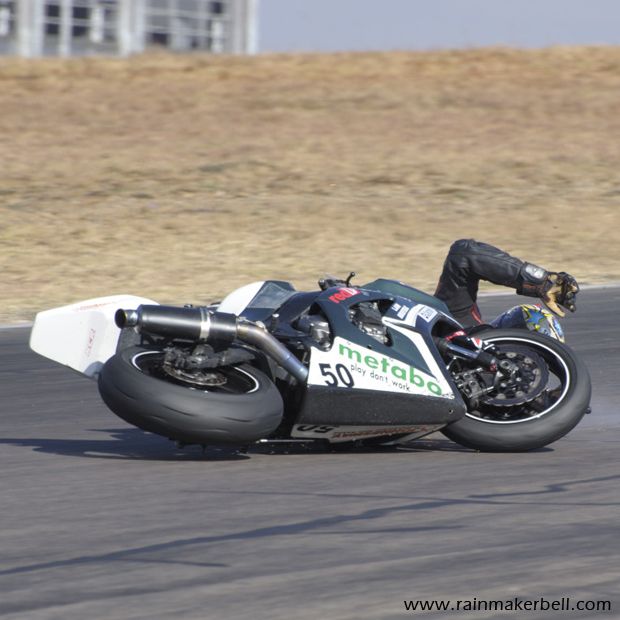 I was tracking race bikes at the start of turn one when suddenly a dust cloud in turn eight revealed the crash of Anthony Shelley. The Kawasaki ZX6R was still busy releasing negative energy through wrong directional momentum, when this tough little man was on his feet and running towards his race bike, determined to save what was still left of his race. 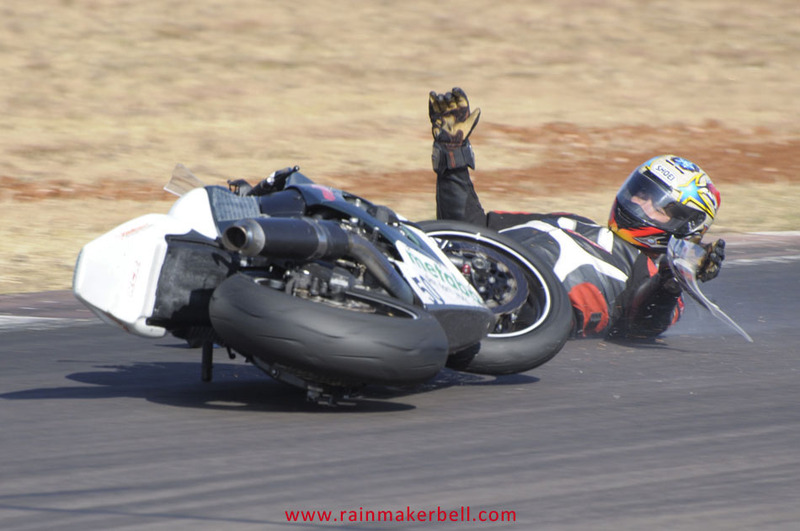 With adrenalin pumping he picked up his crashed Kawa, got it started, and came swooshing past, oblivious of the holes in his race-boot or the oil leaking onto it. 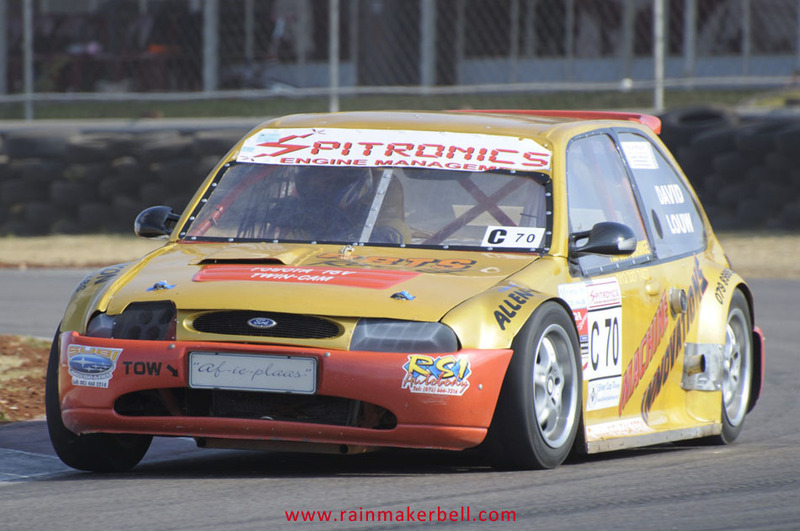 For those who don't know Anthony Shelley, he celebrated his sixteenth birthday on 15 May (if I remember correctly) and is not yet tall enough to see over the steering wheel of a car, but is mature enough to make lightning quick decisions on the racetrack. 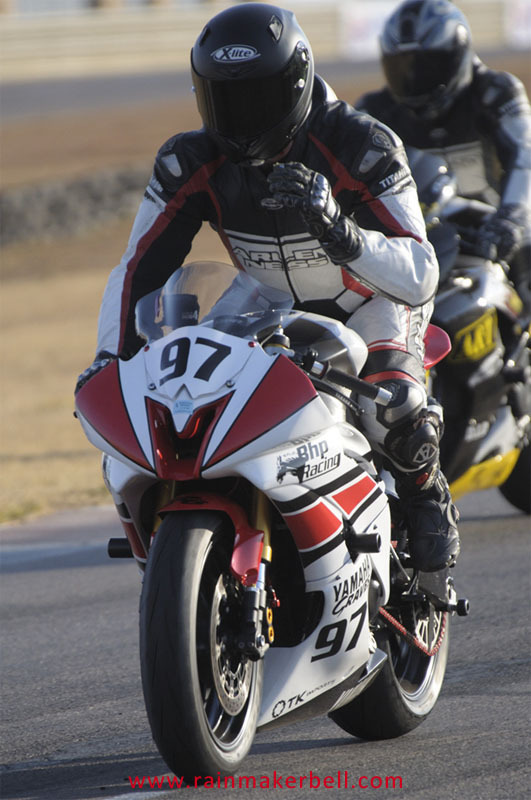 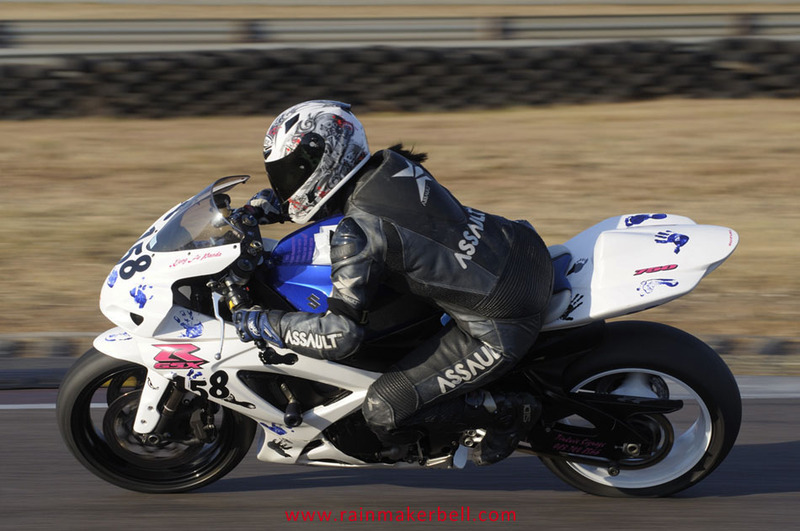 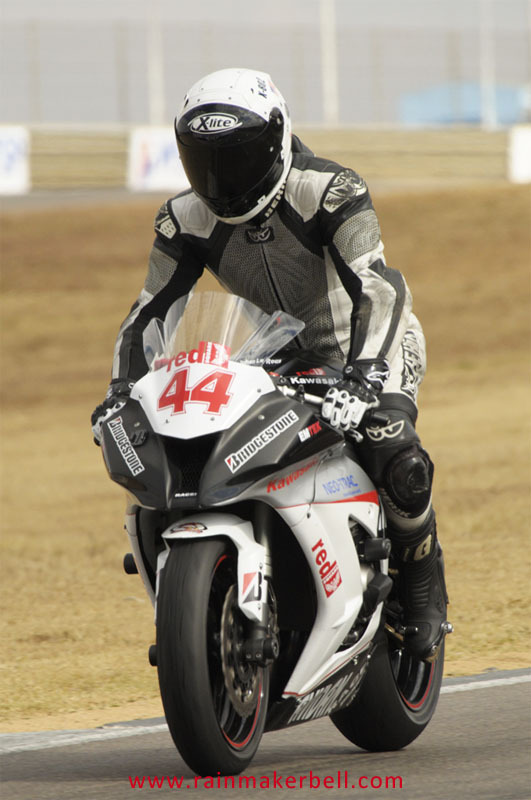 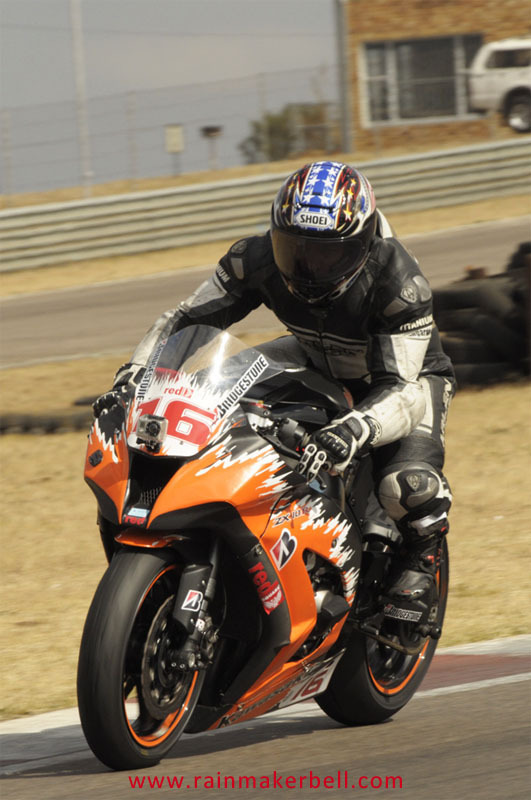 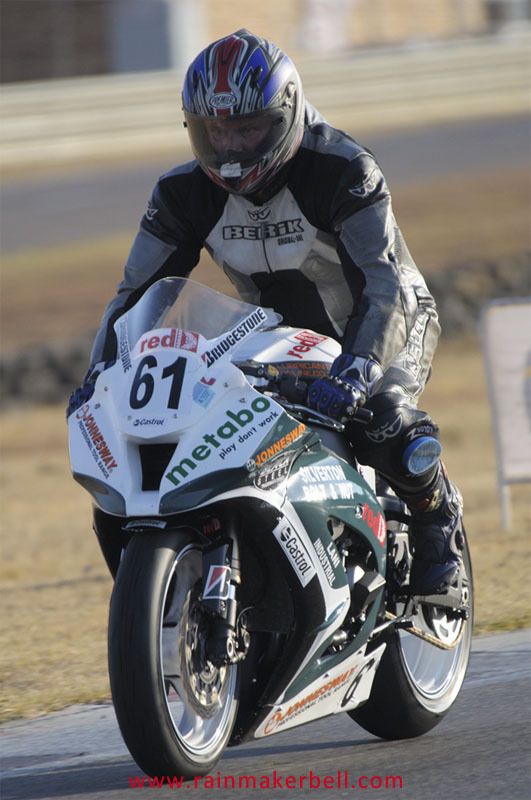 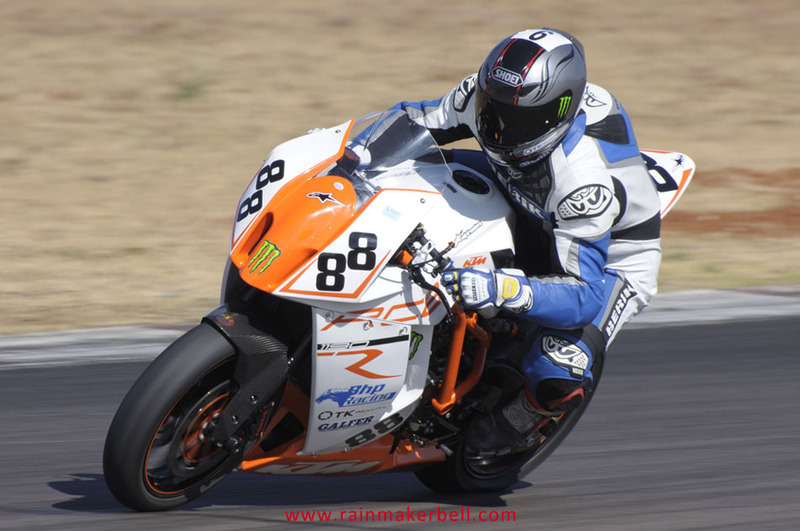 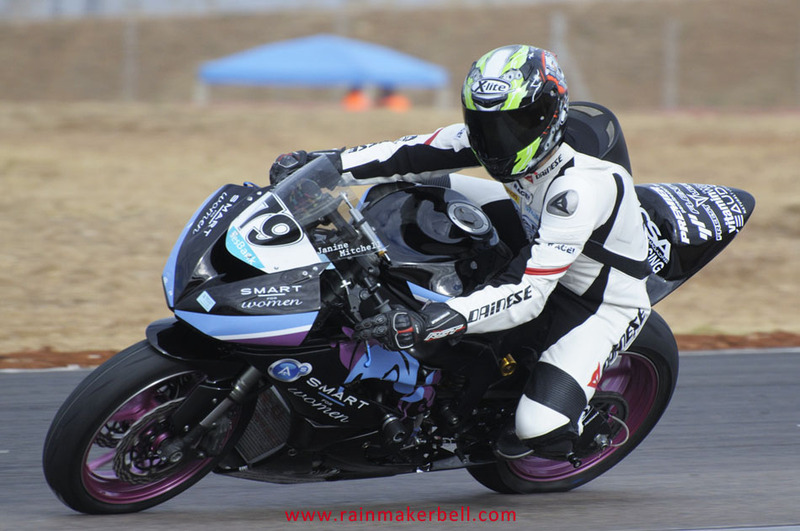 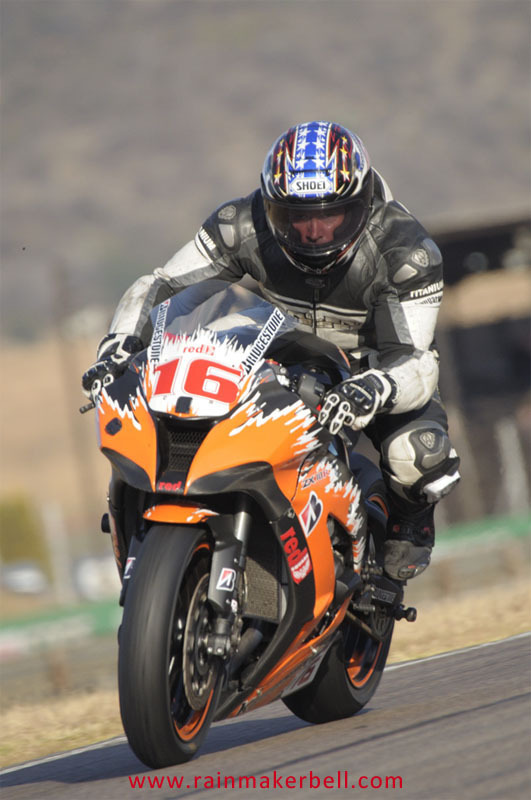 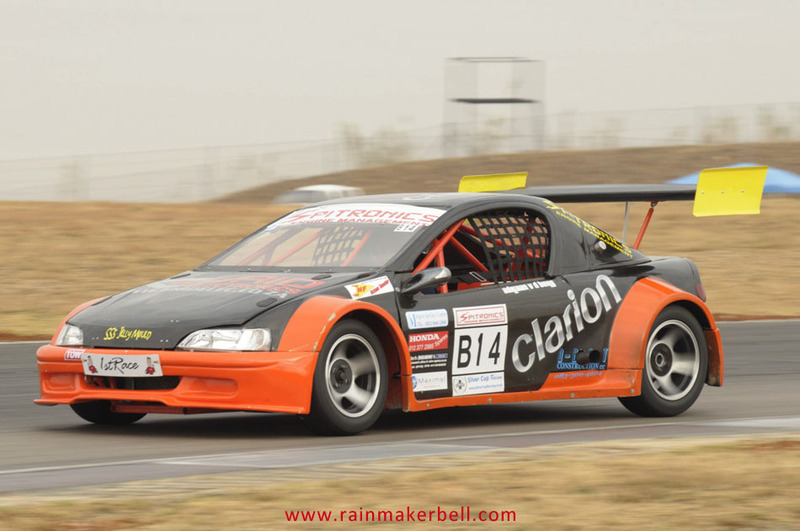 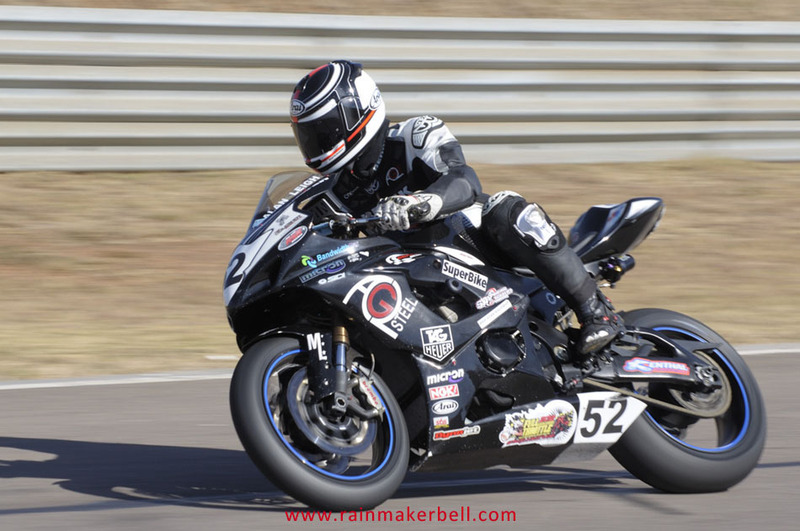 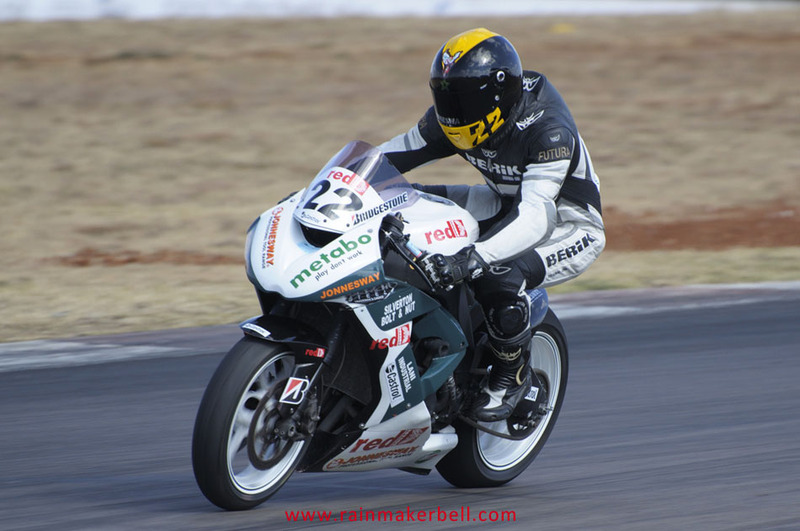 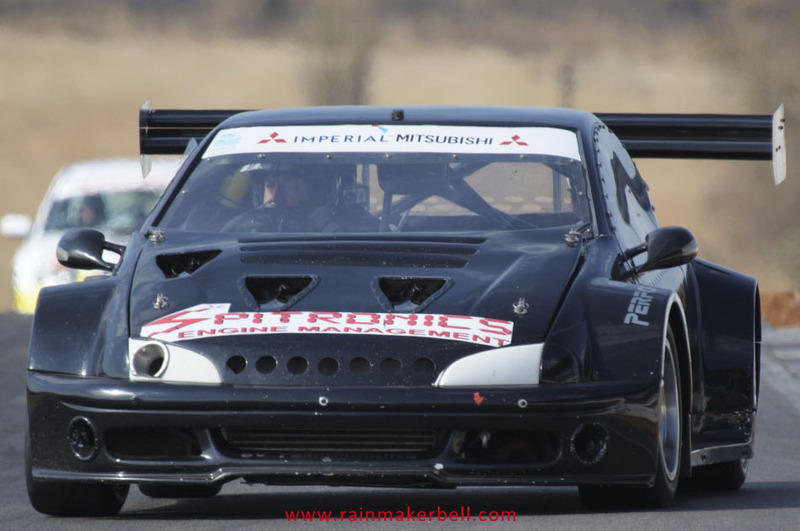 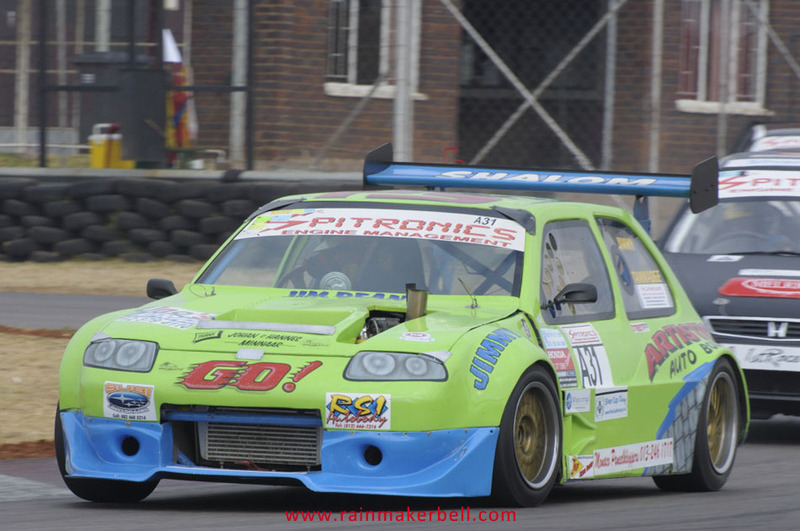 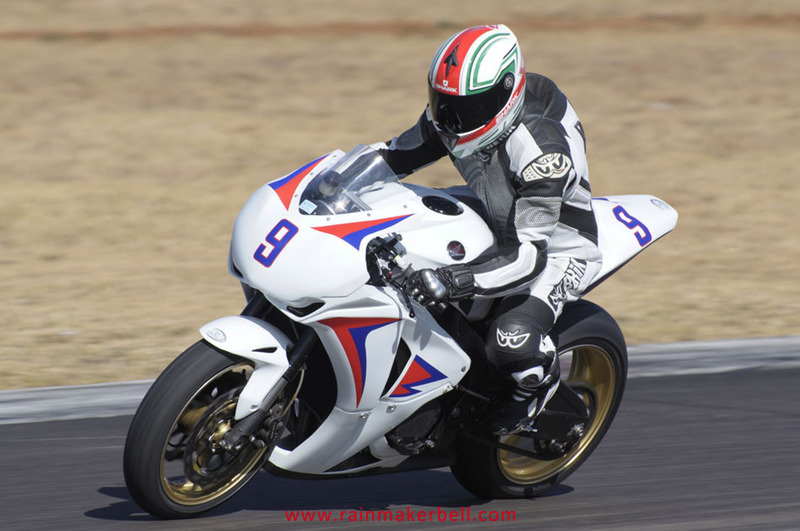 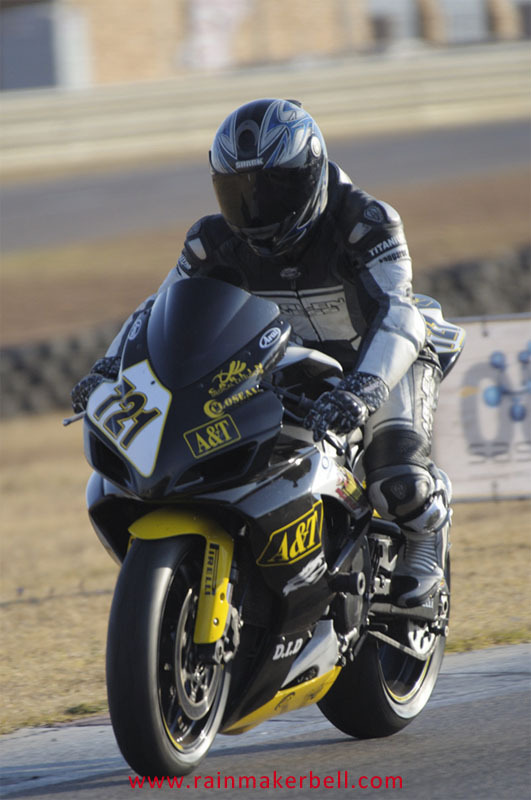 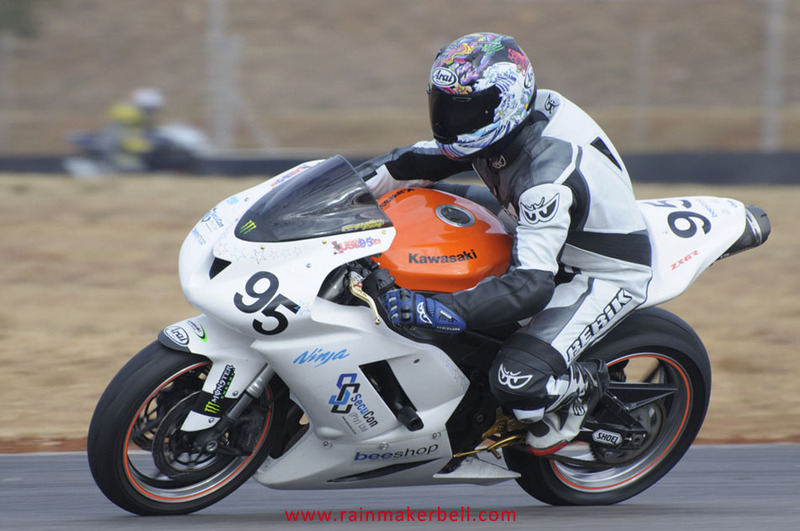 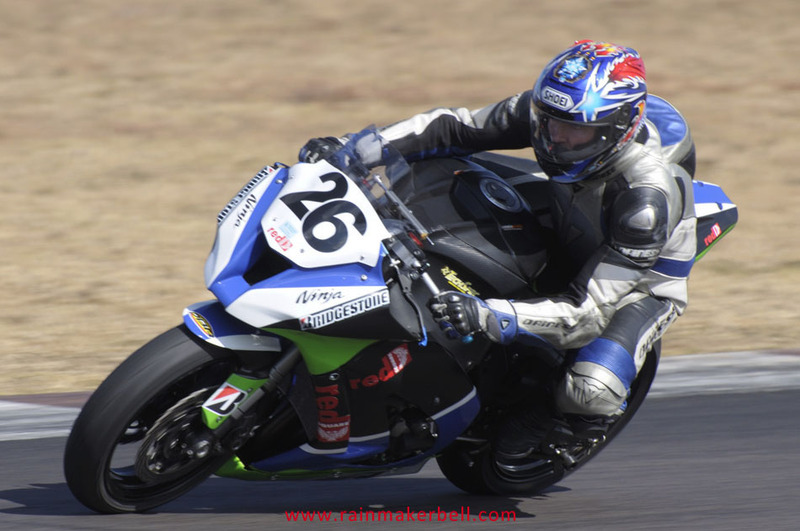 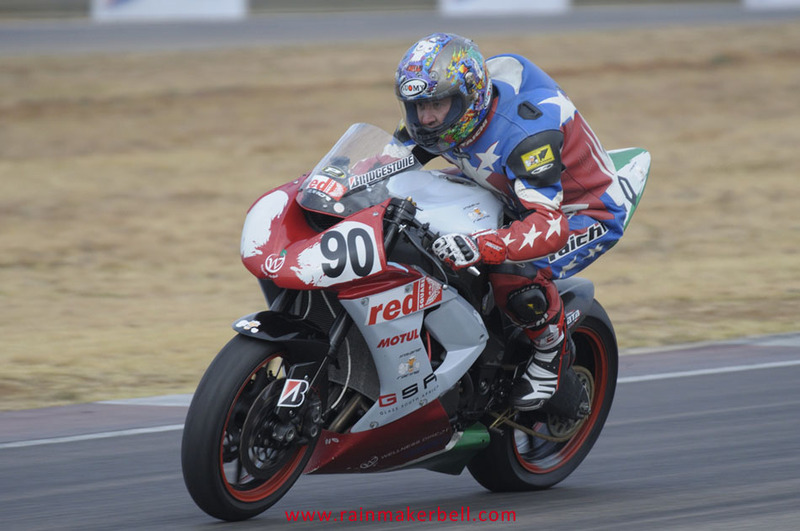 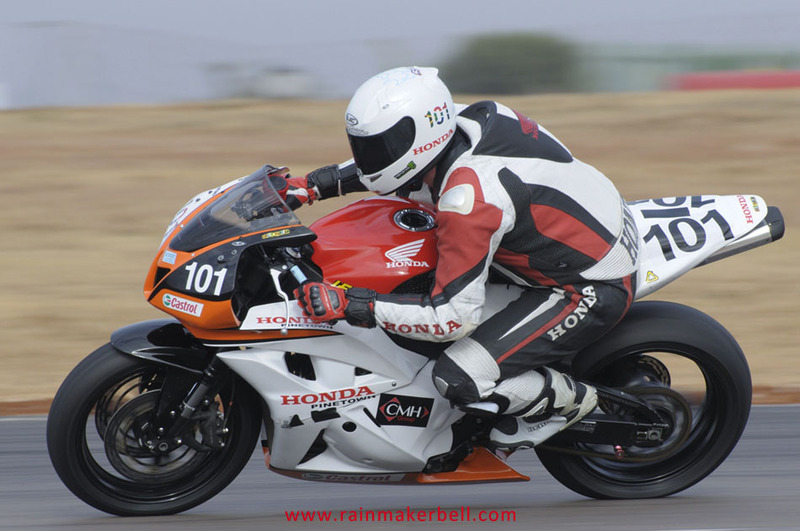 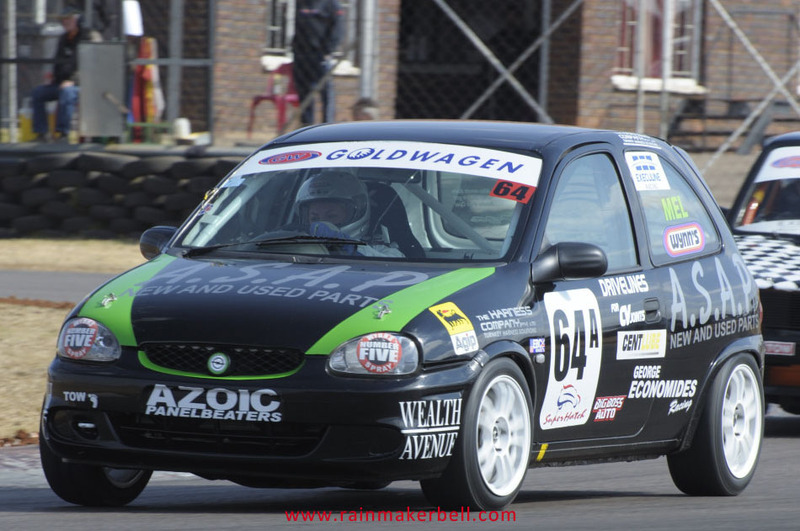 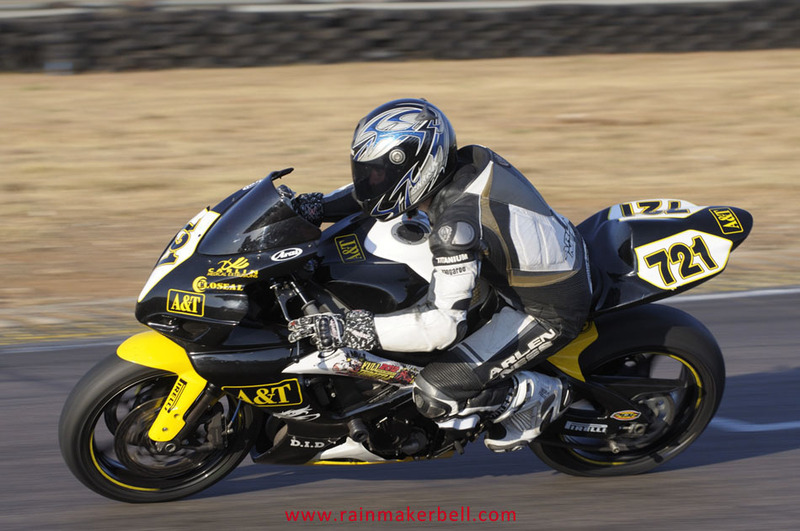 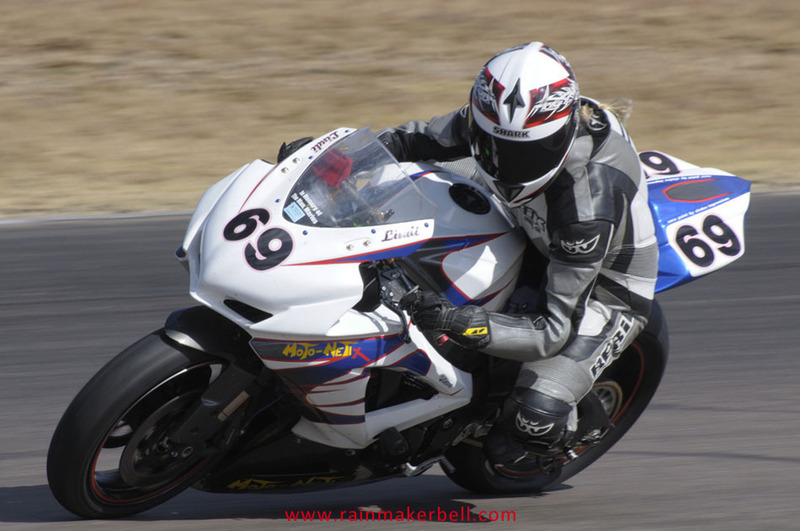 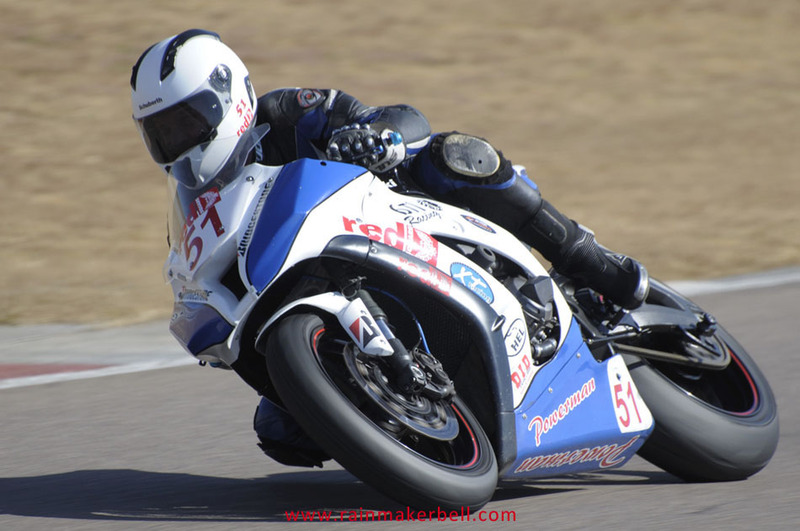 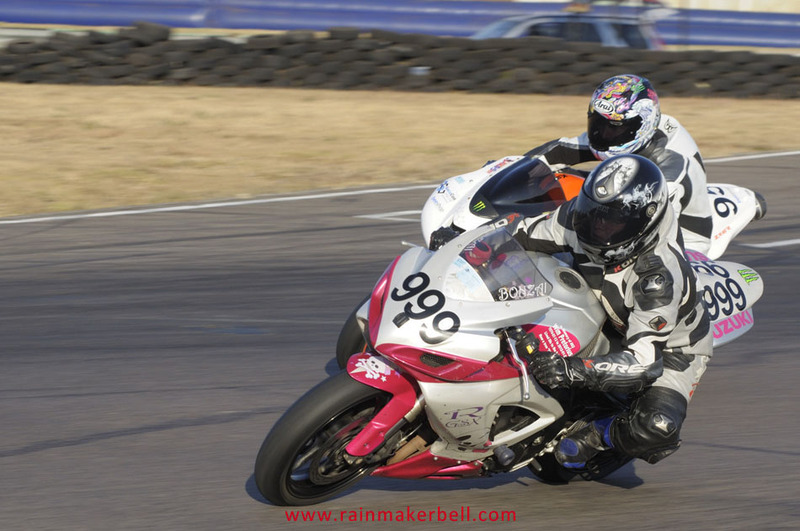 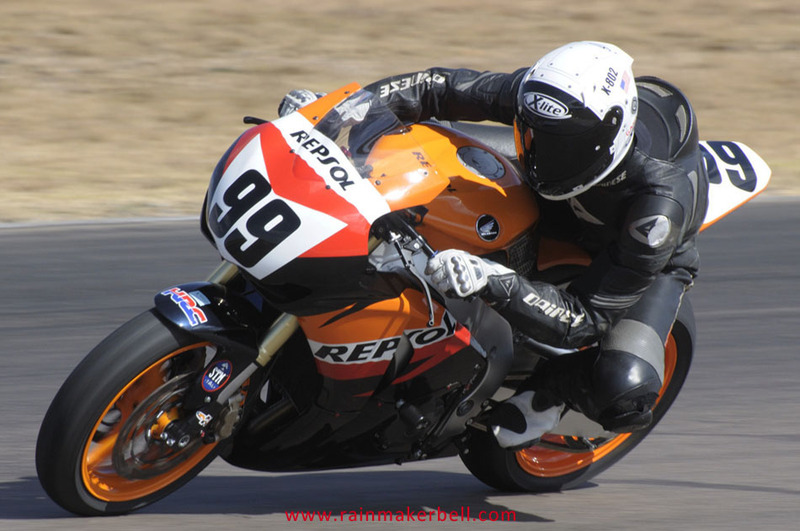 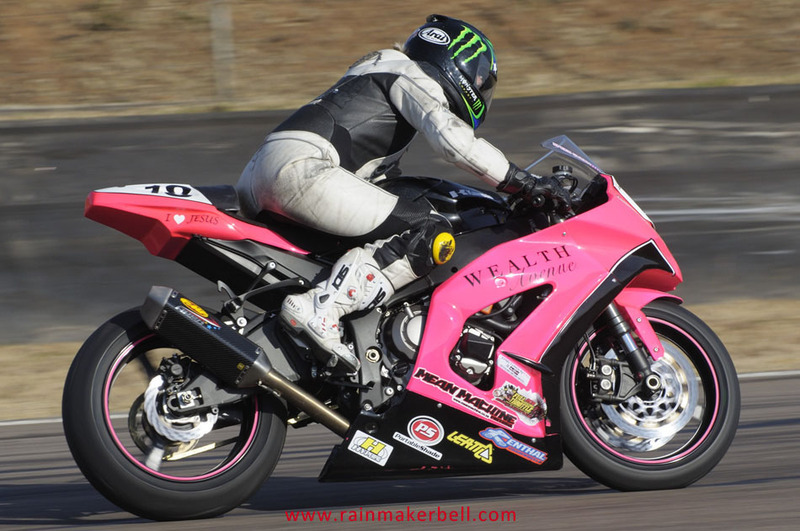 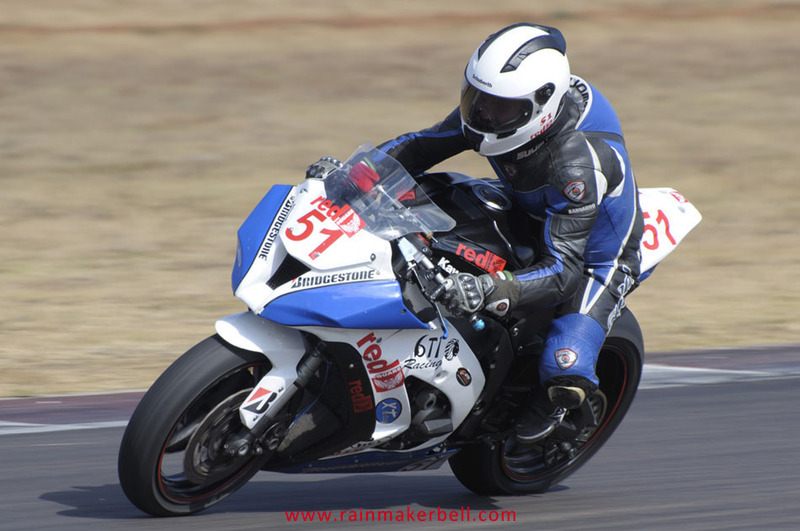 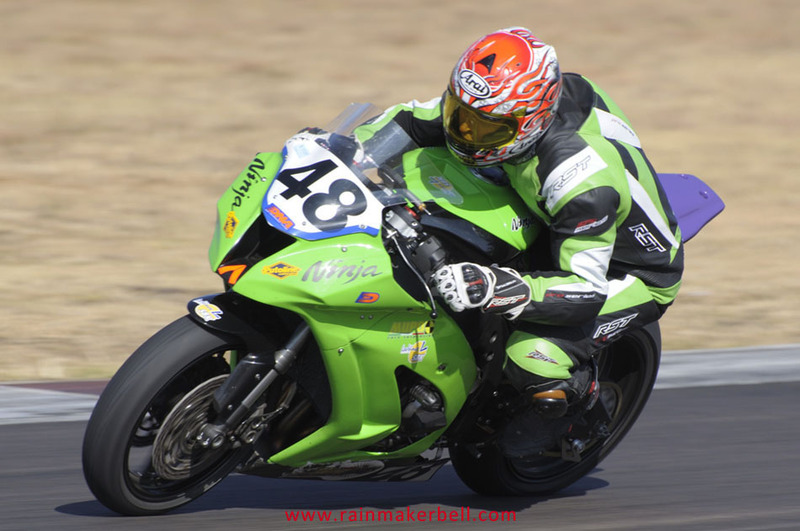 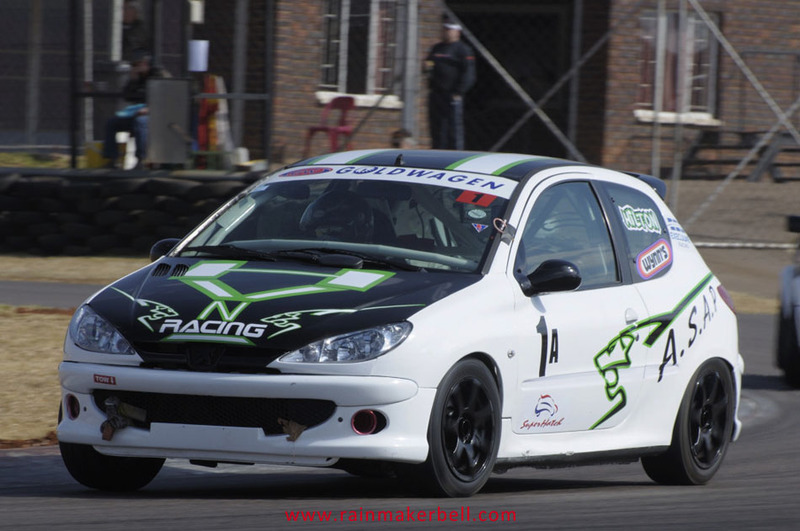 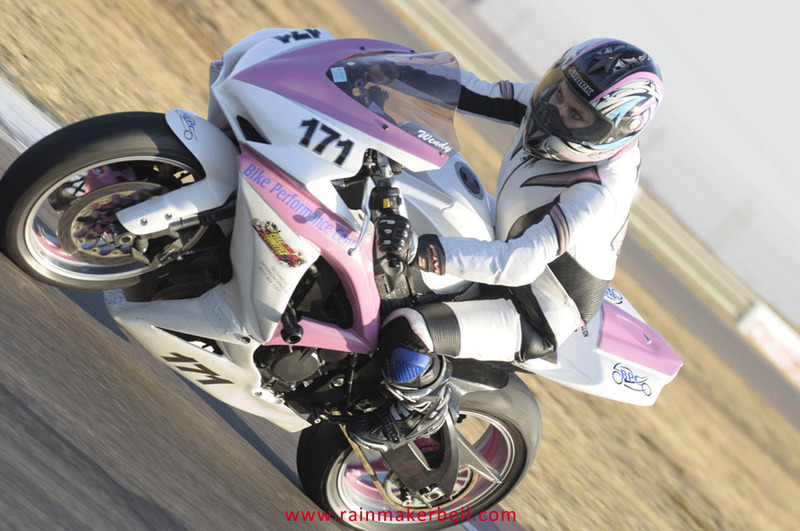 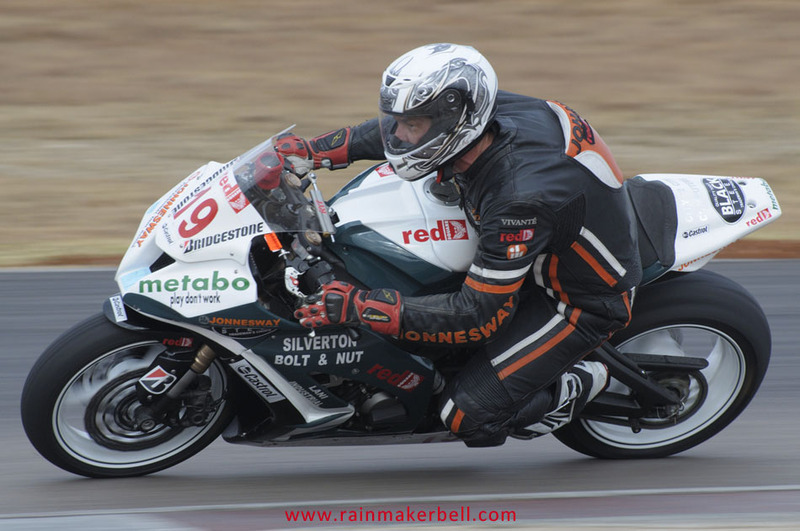 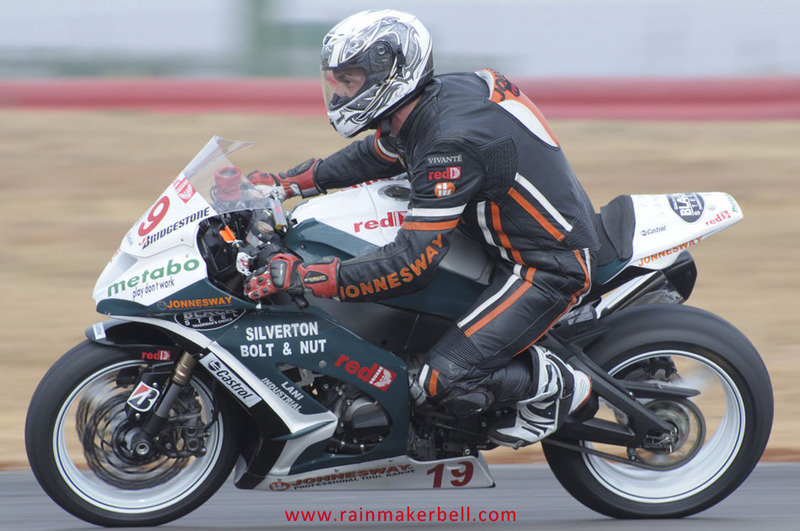 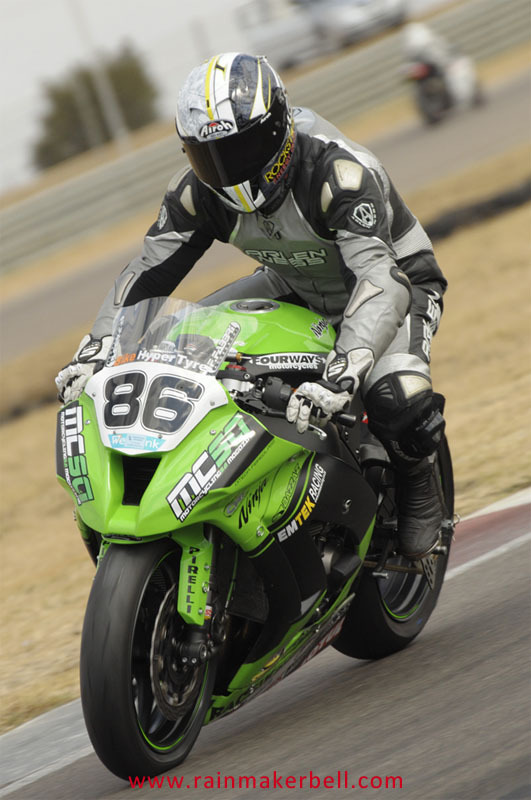 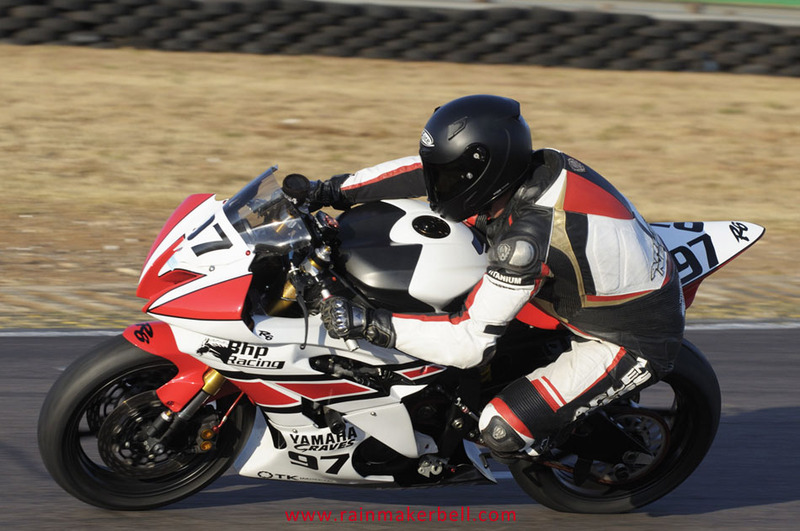 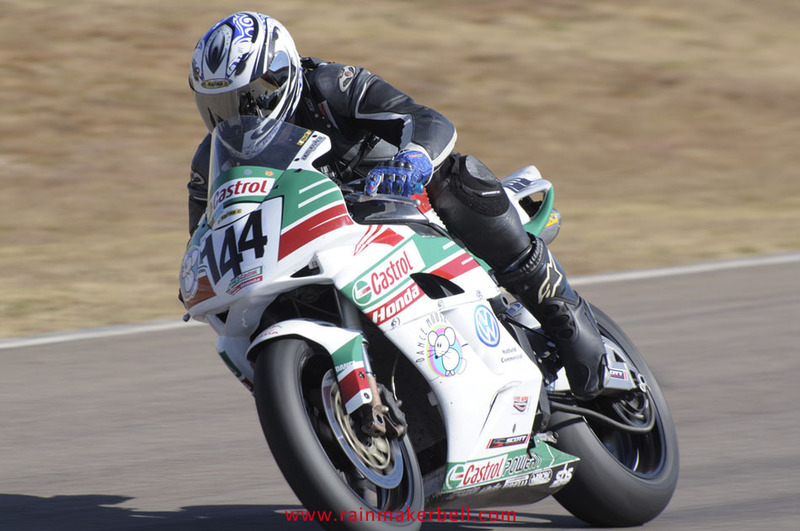 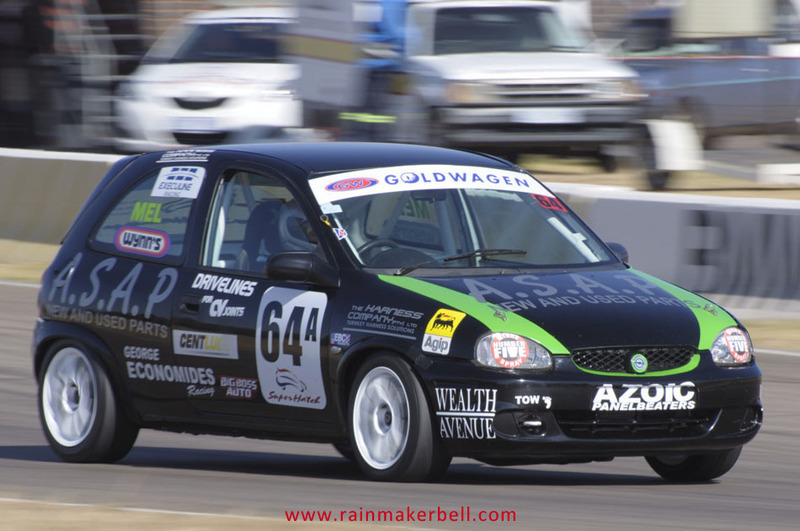 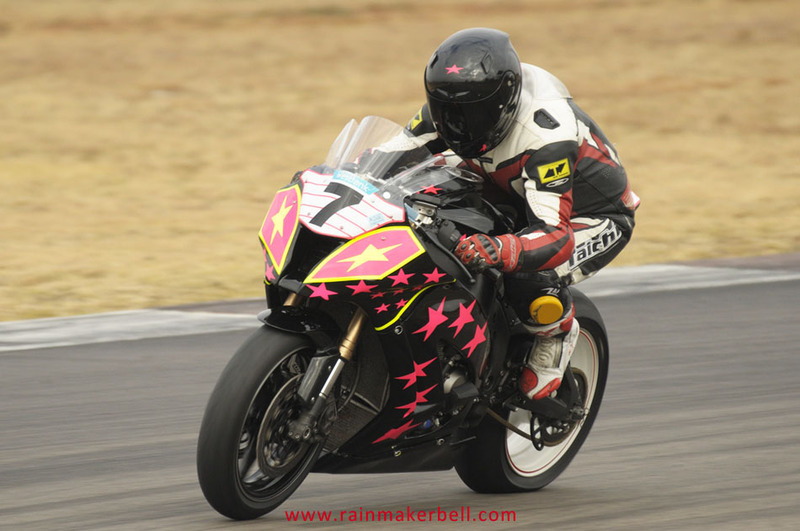 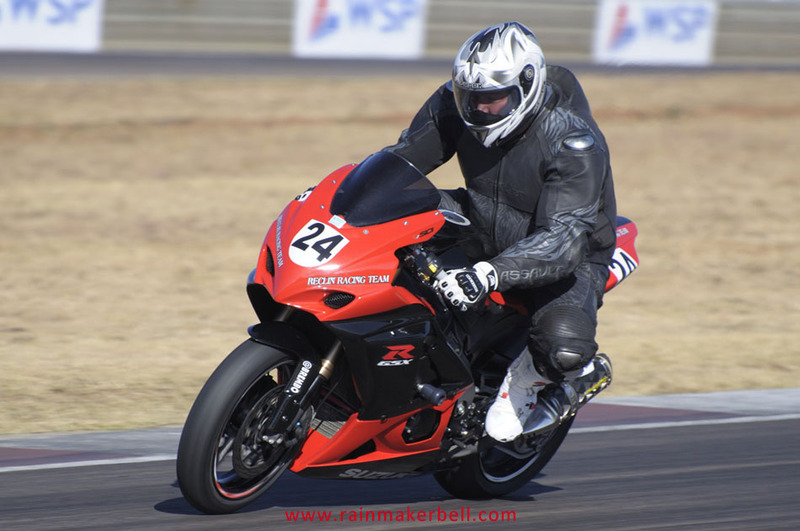 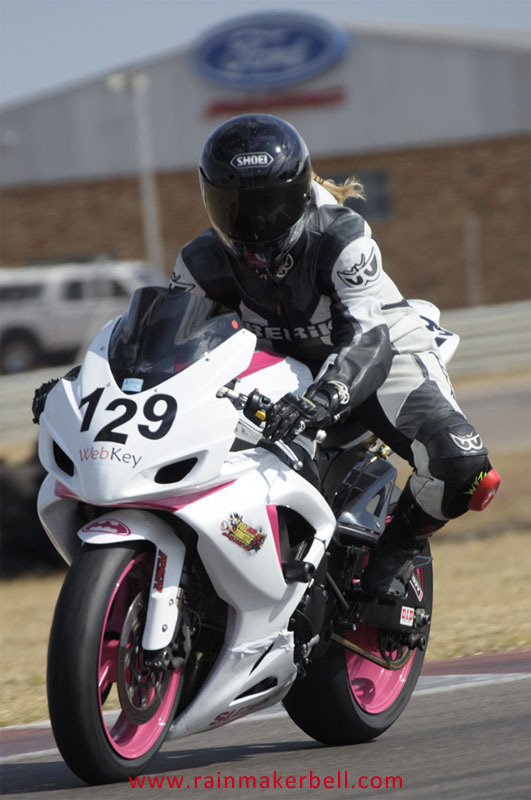 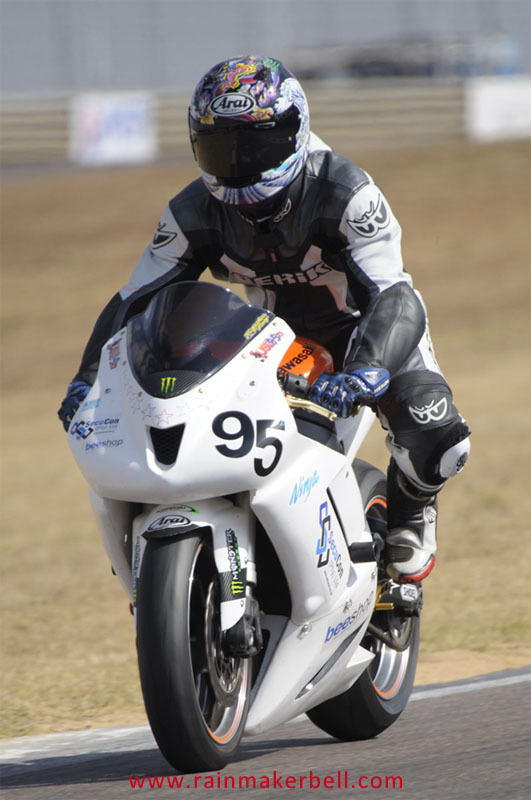 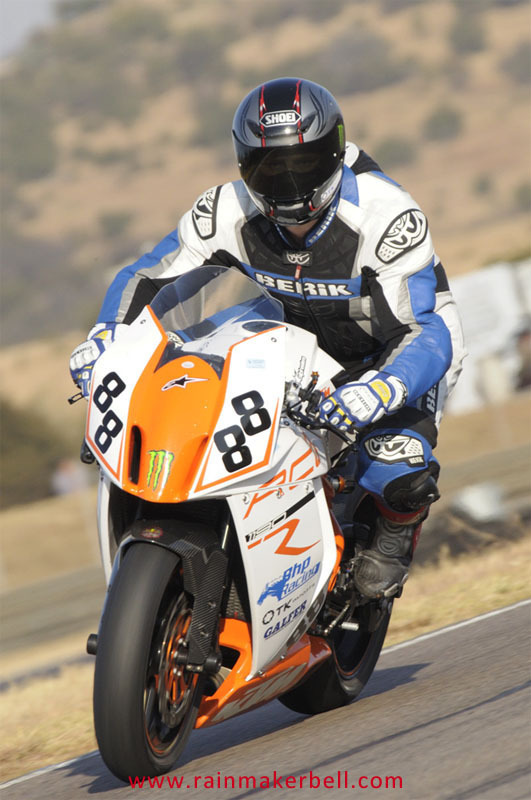 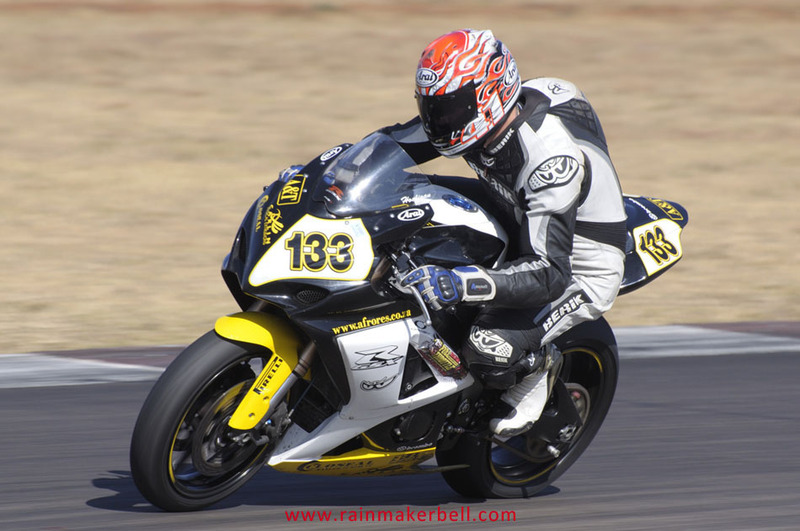 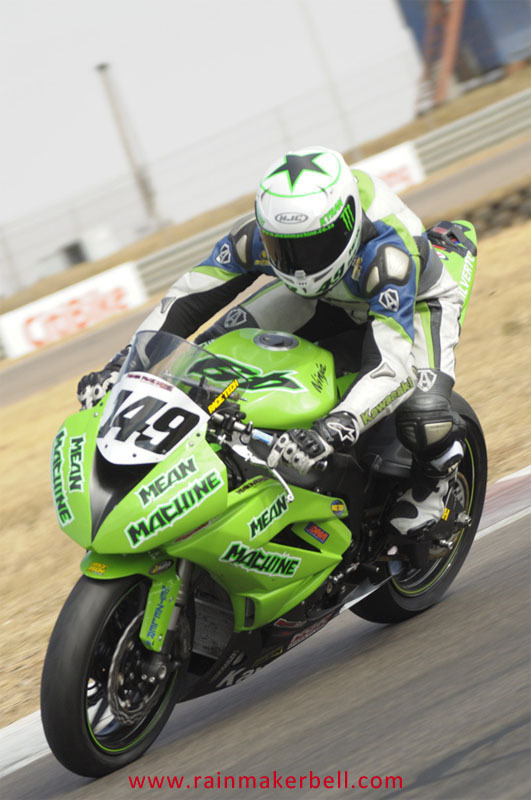 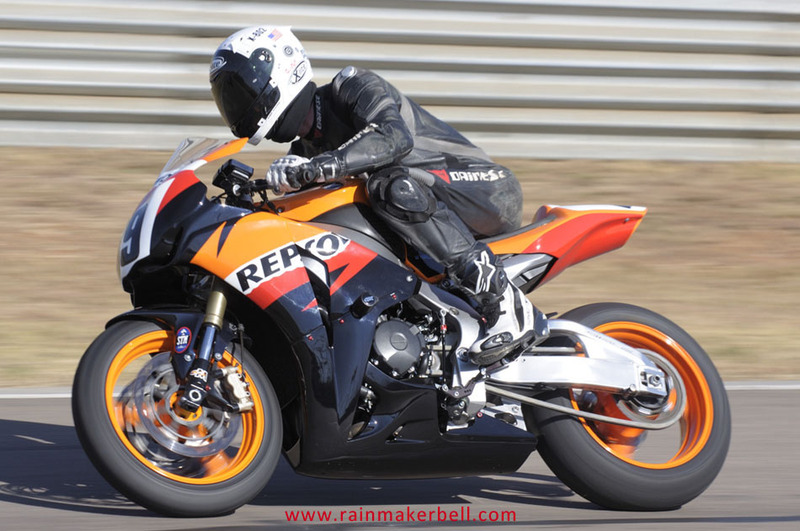 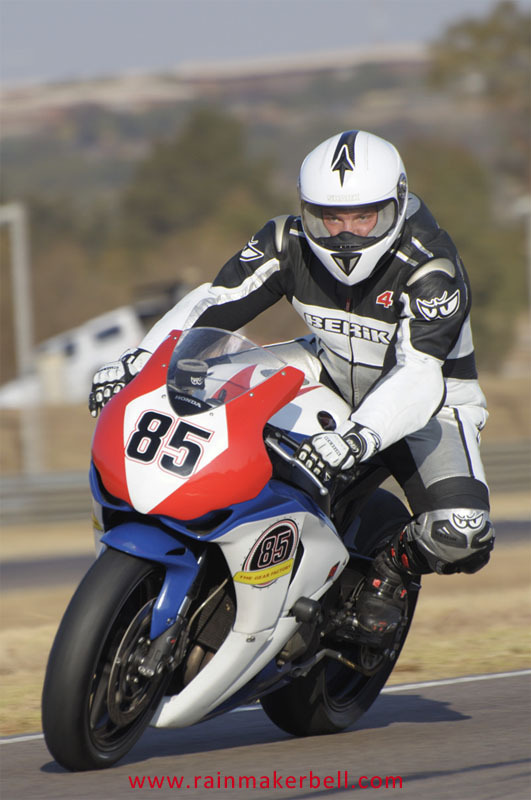 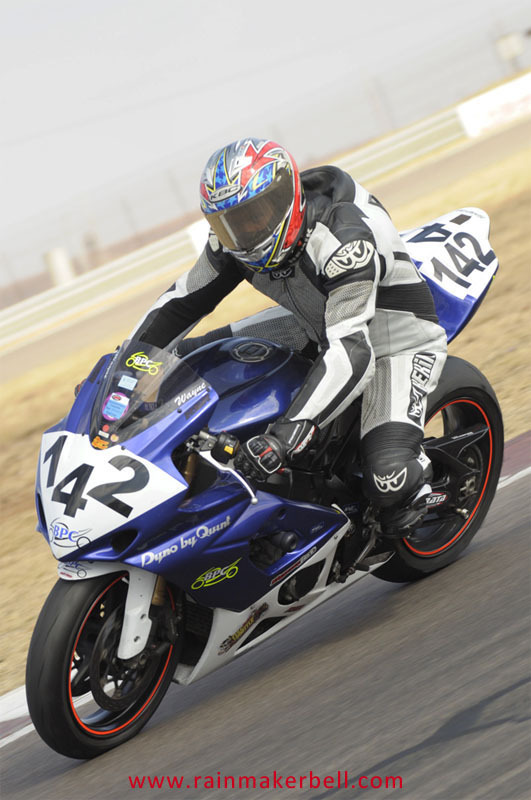 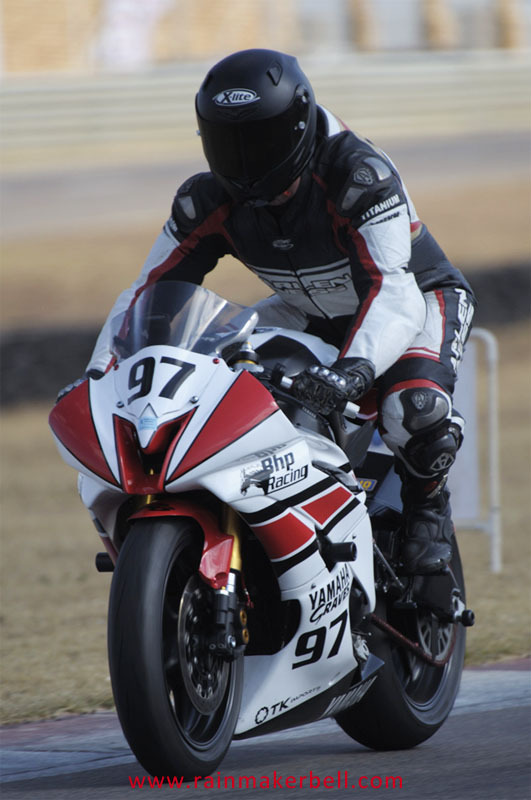 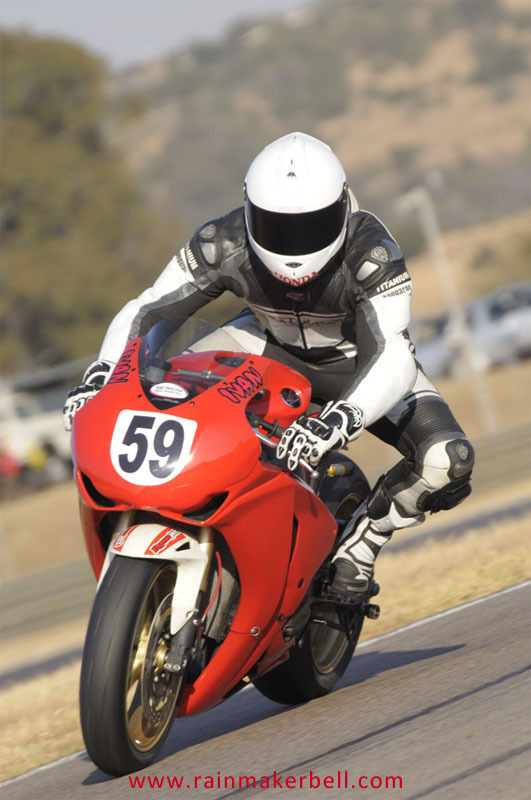 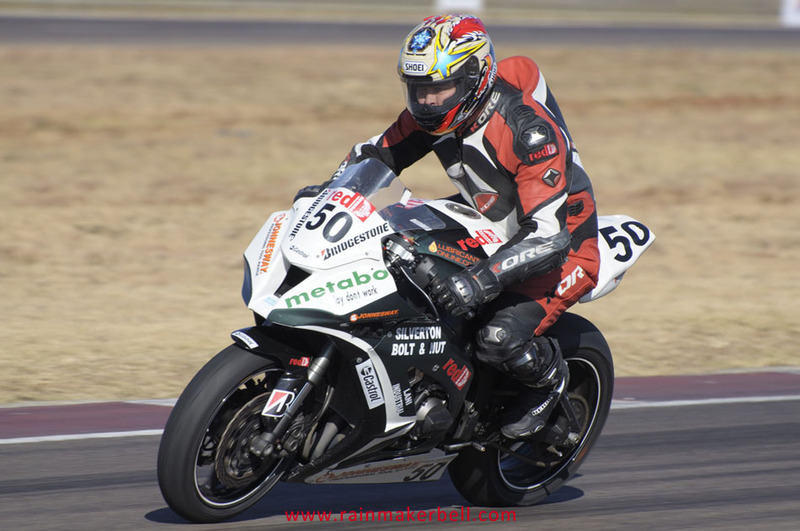 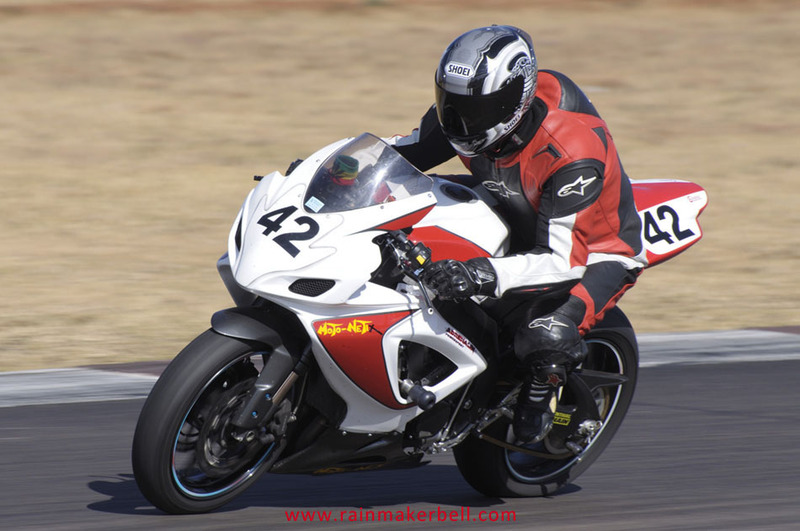 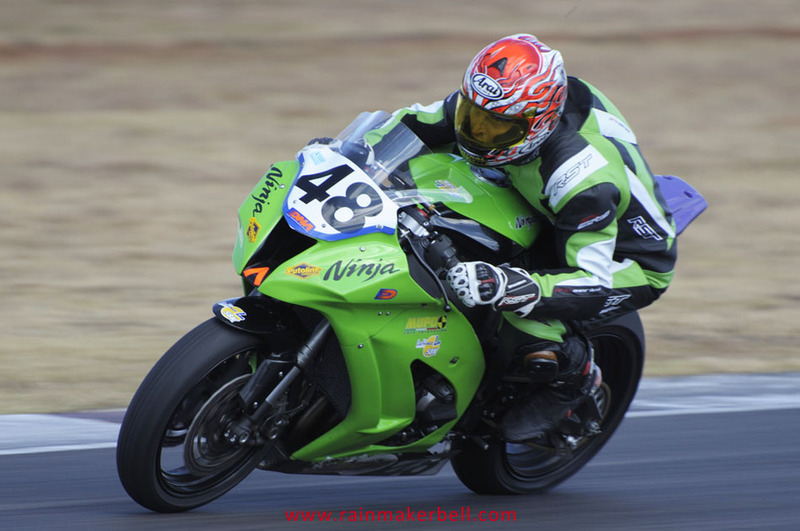 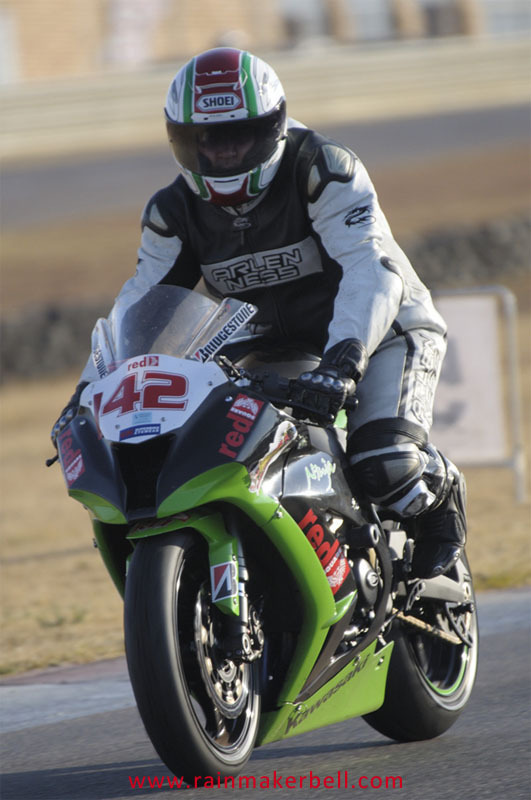 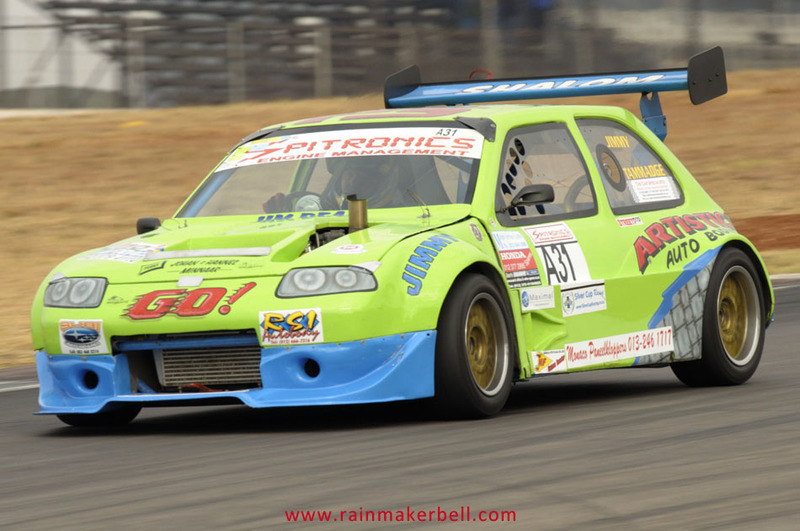 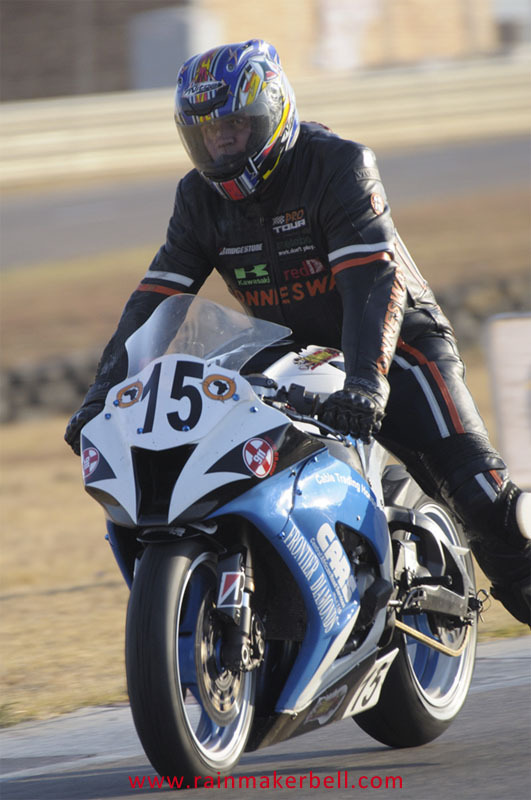 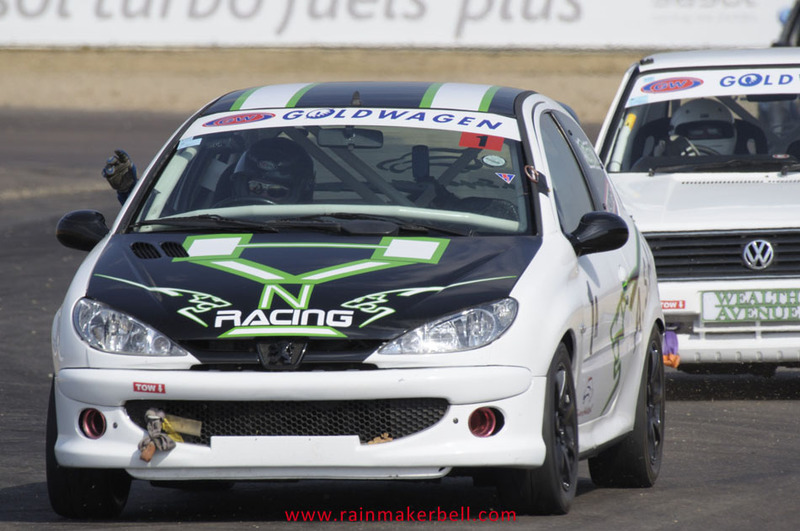 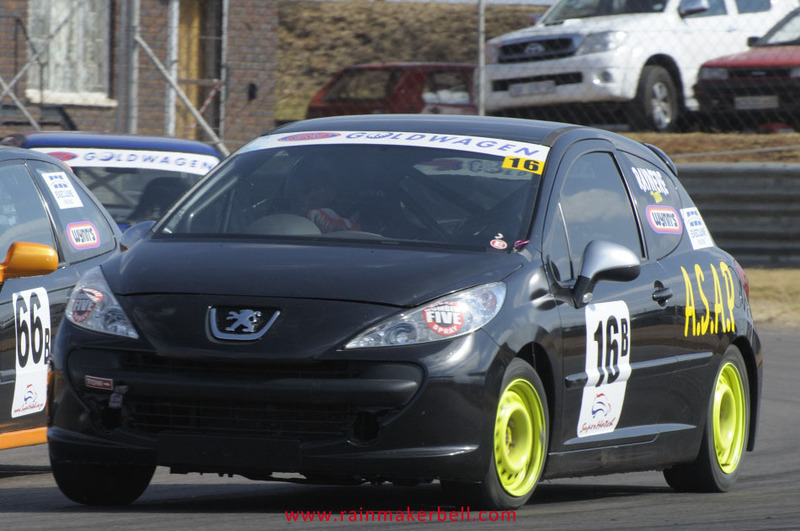 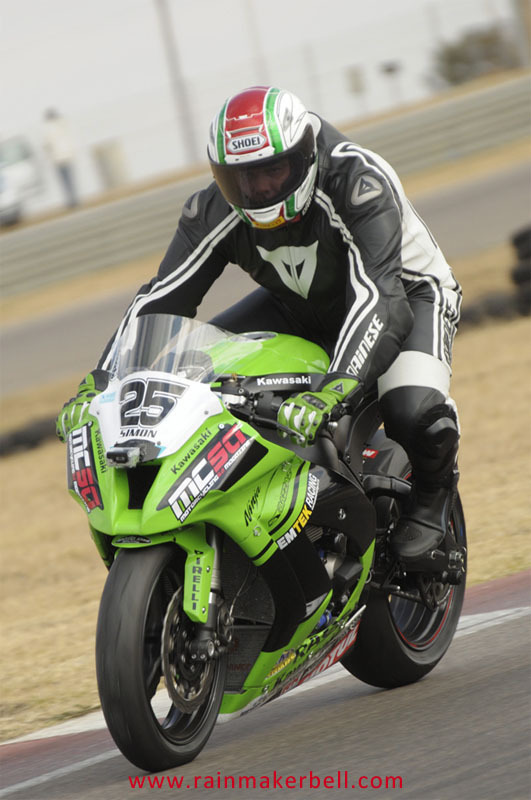 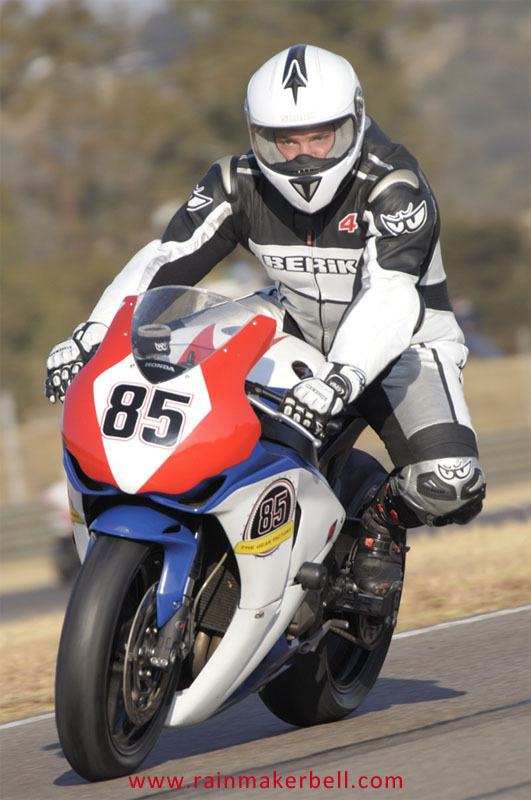 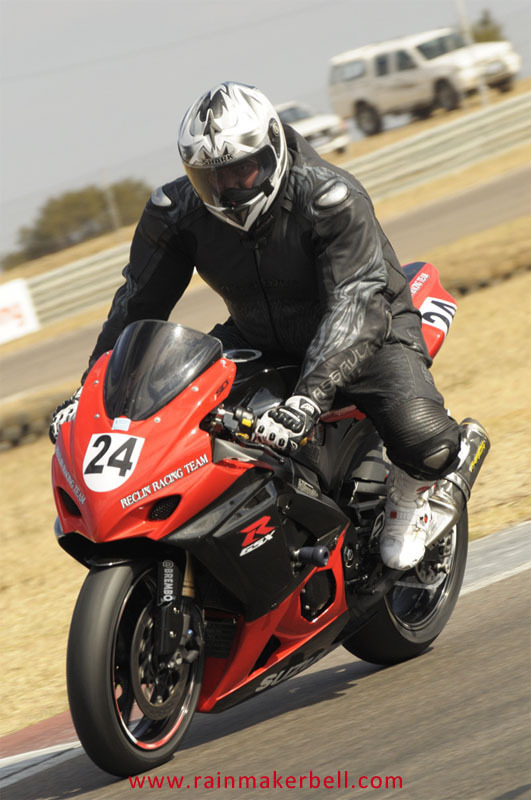 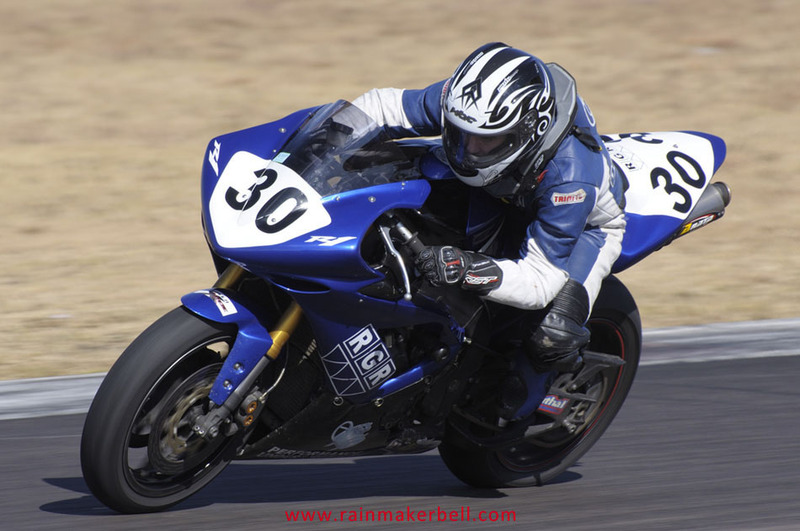 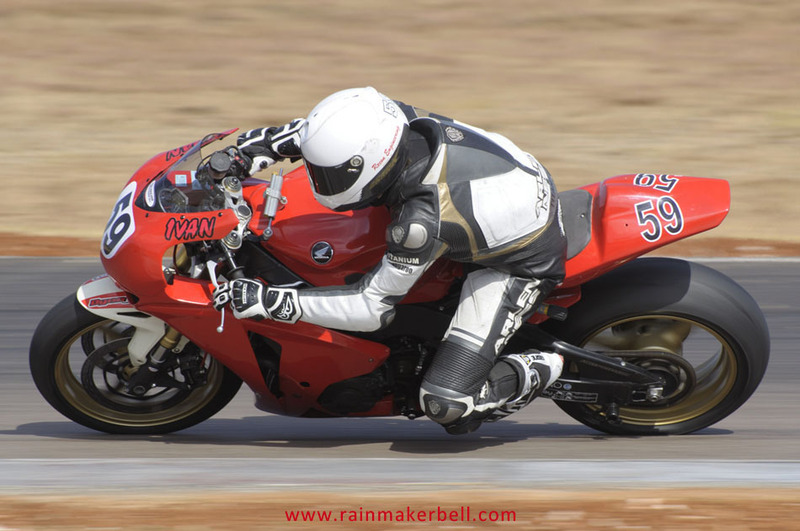 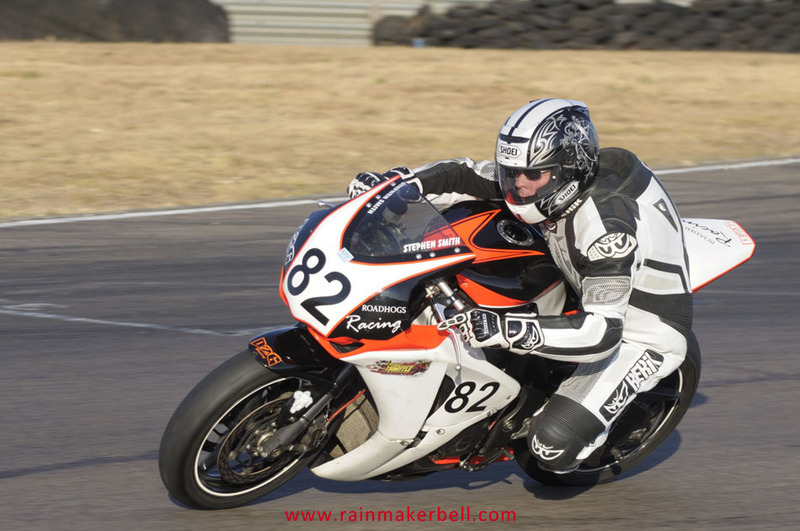 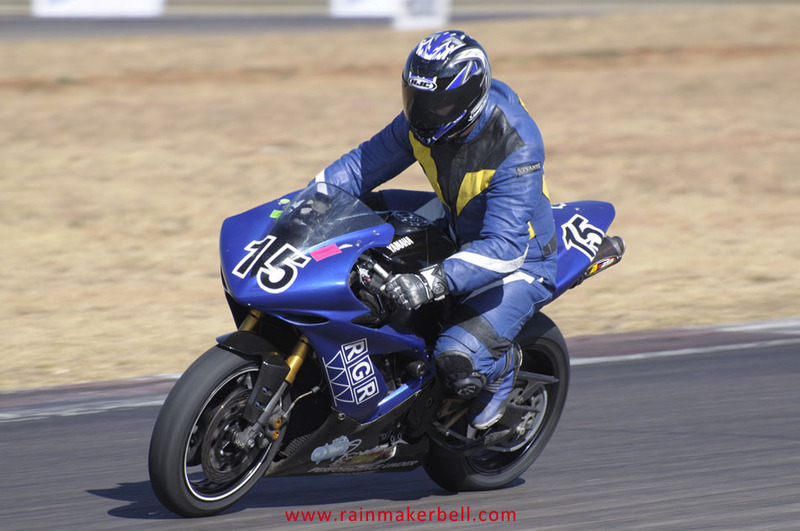 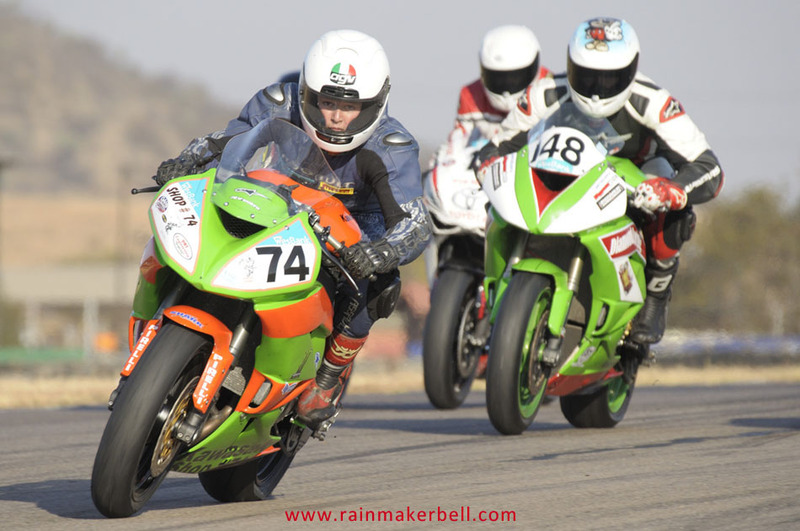 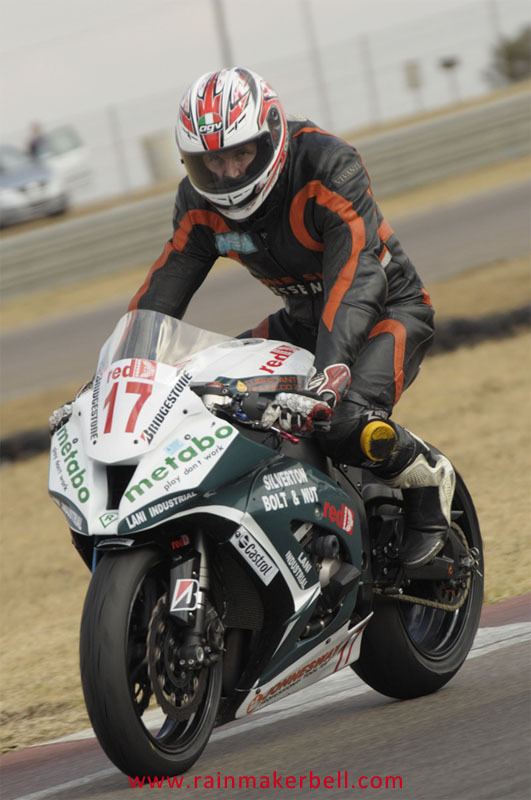 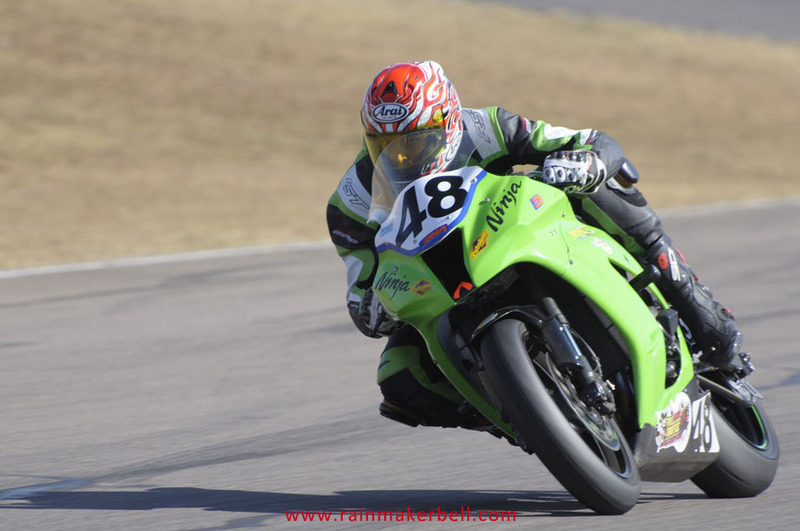 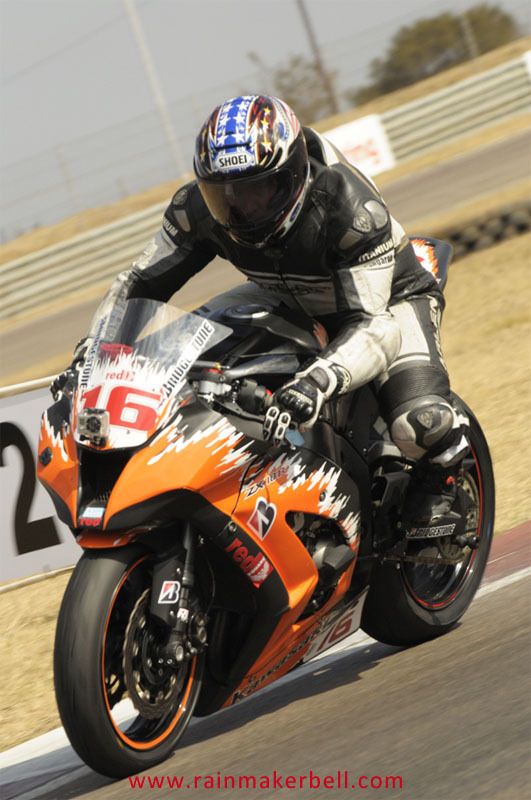 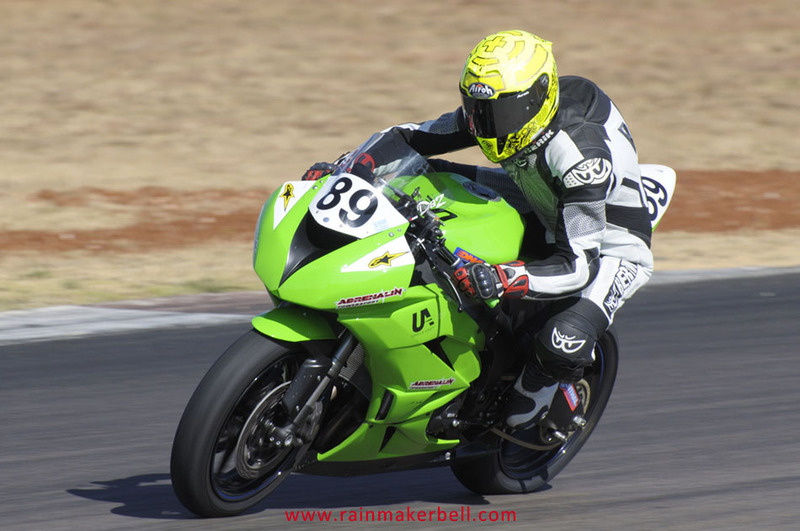 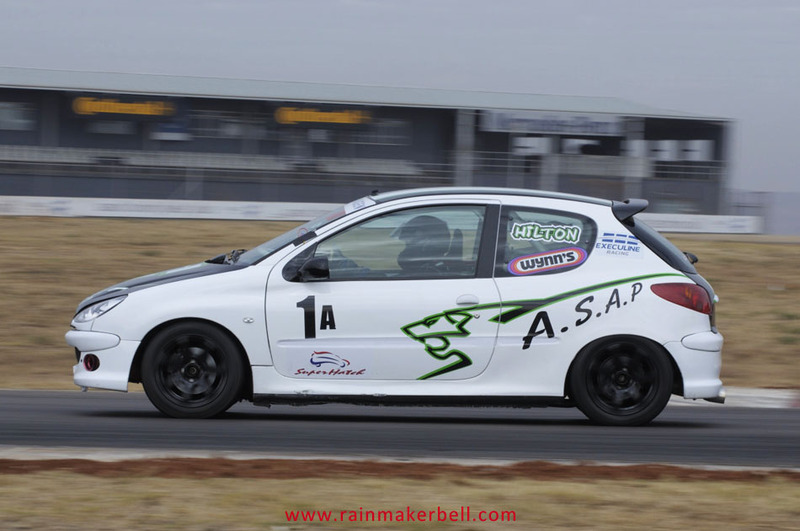 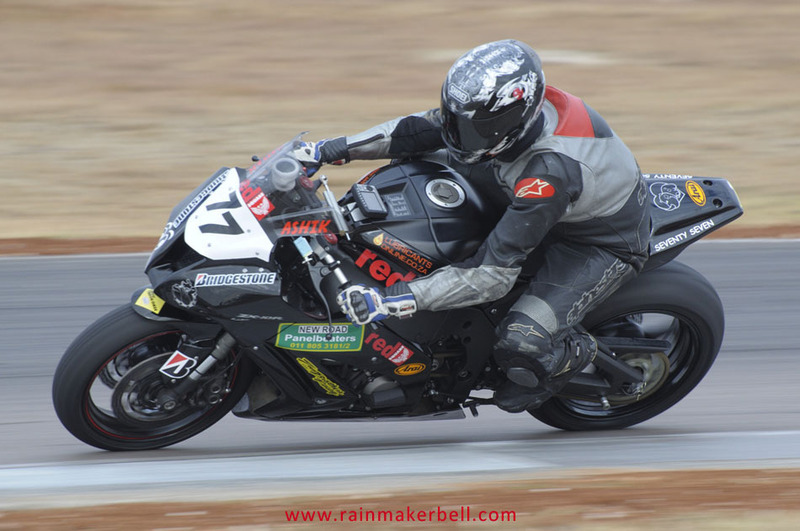 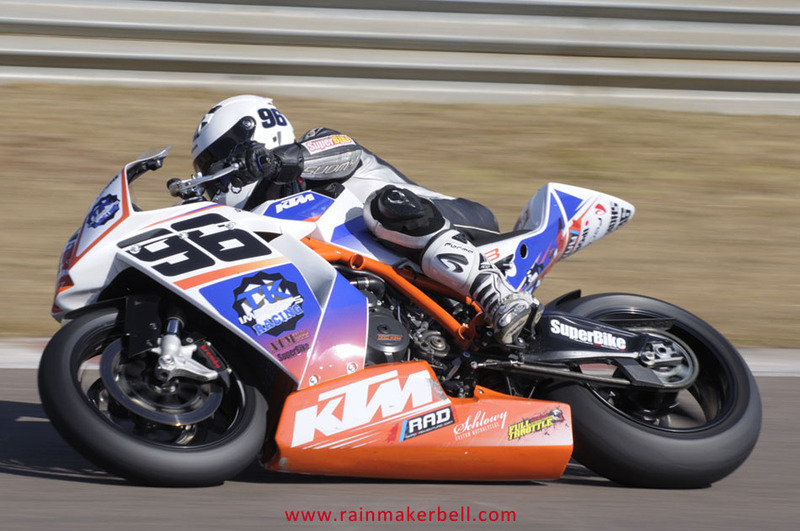 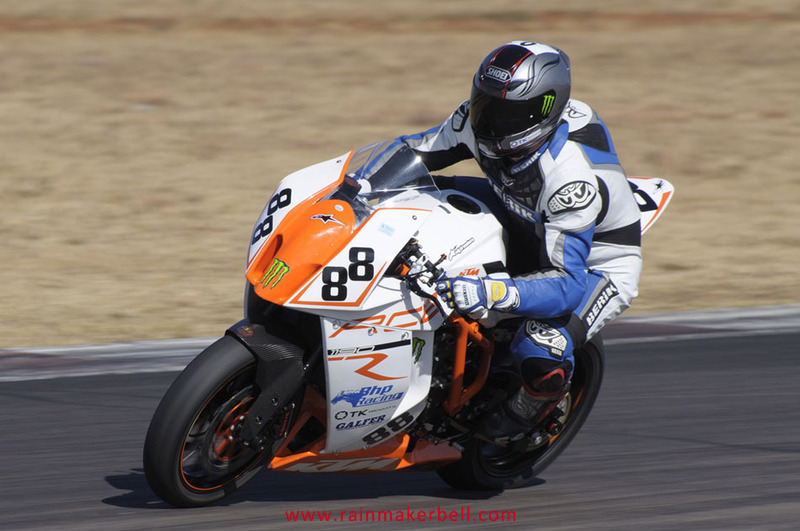 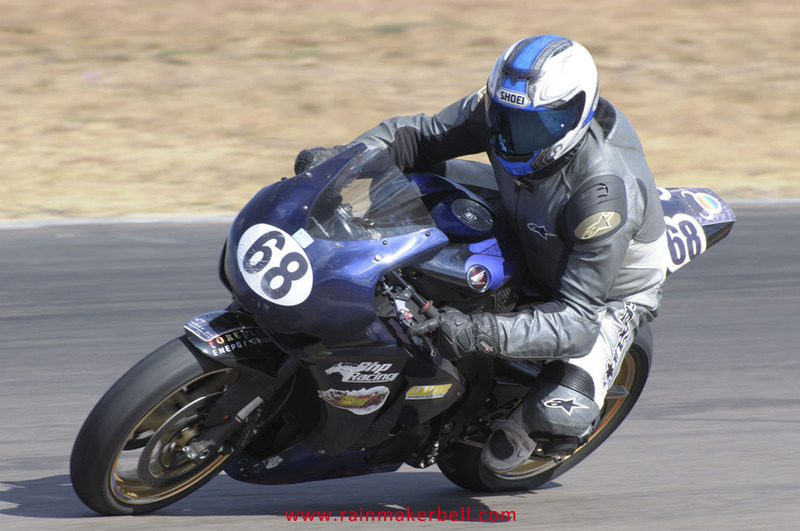 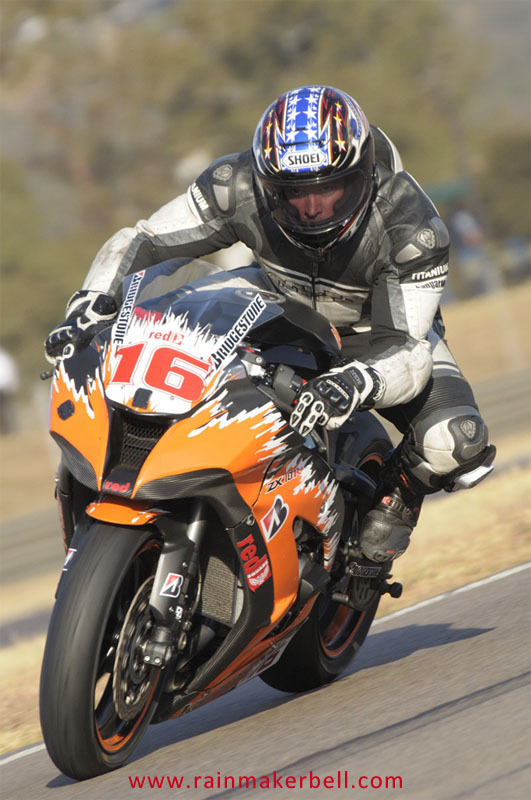 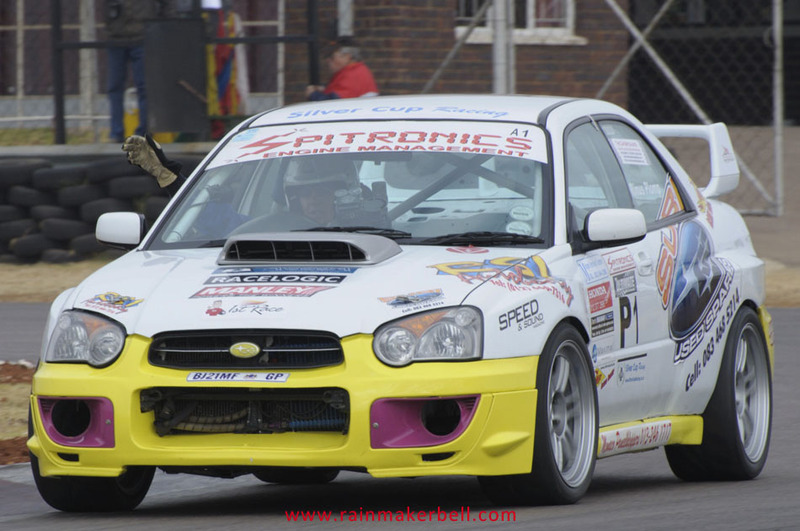 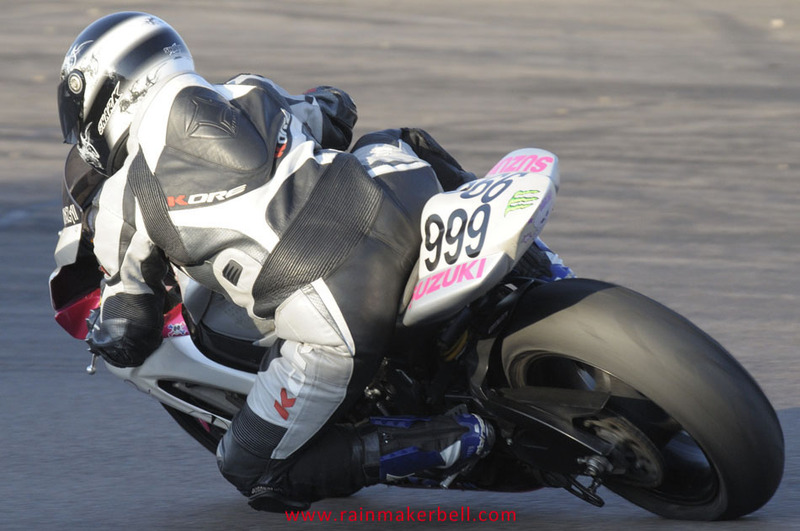 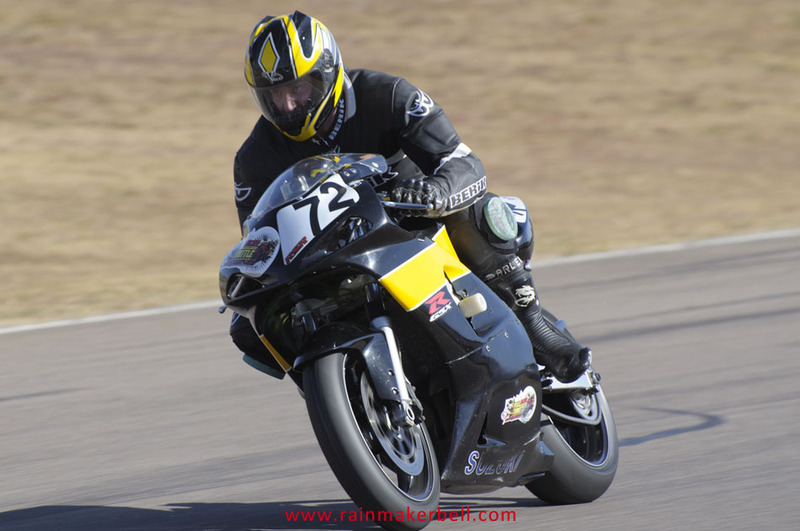 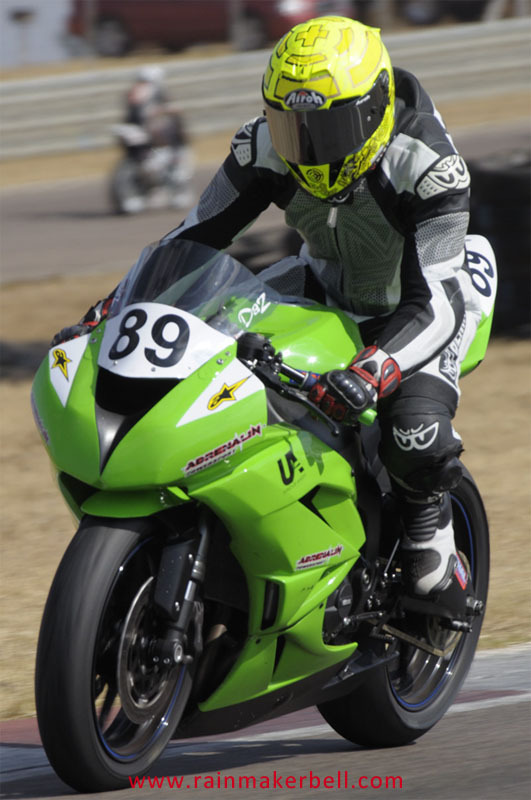 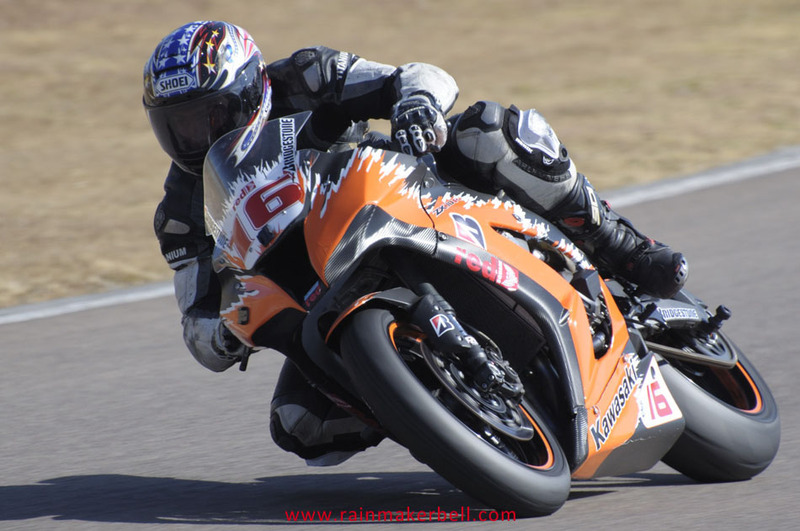 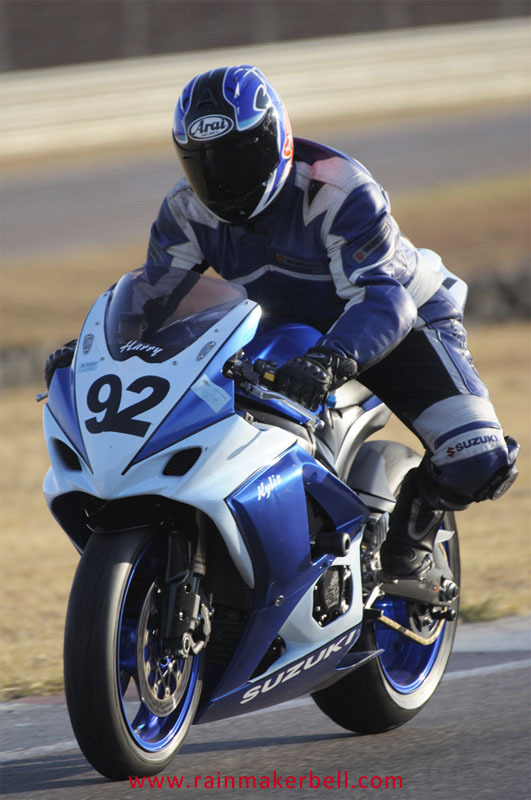 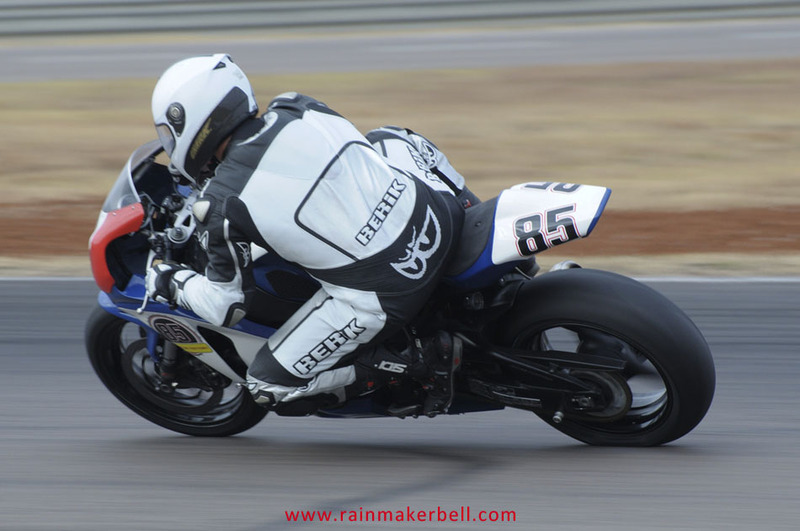 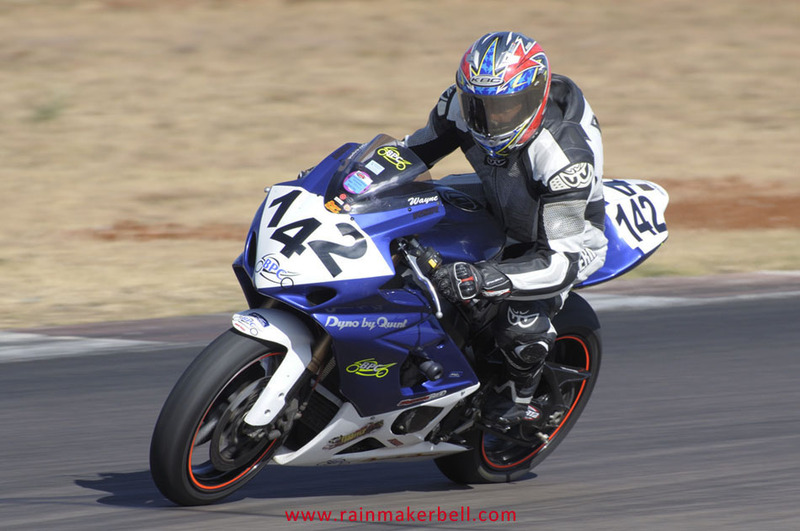 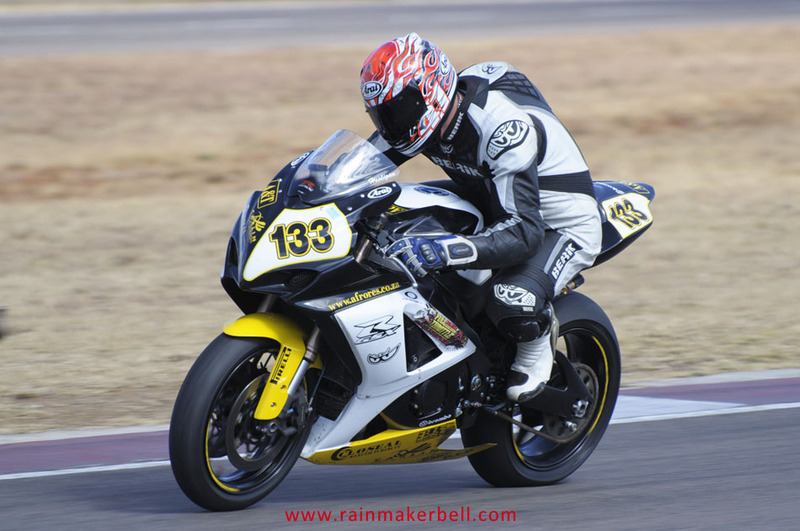 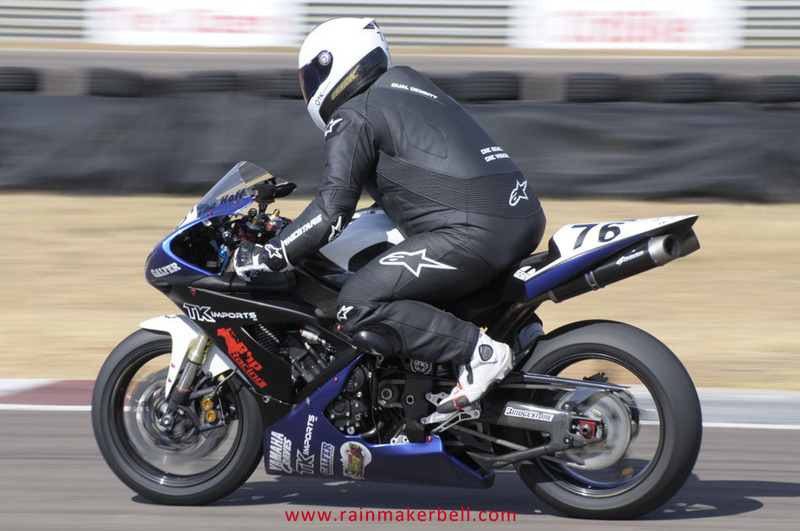 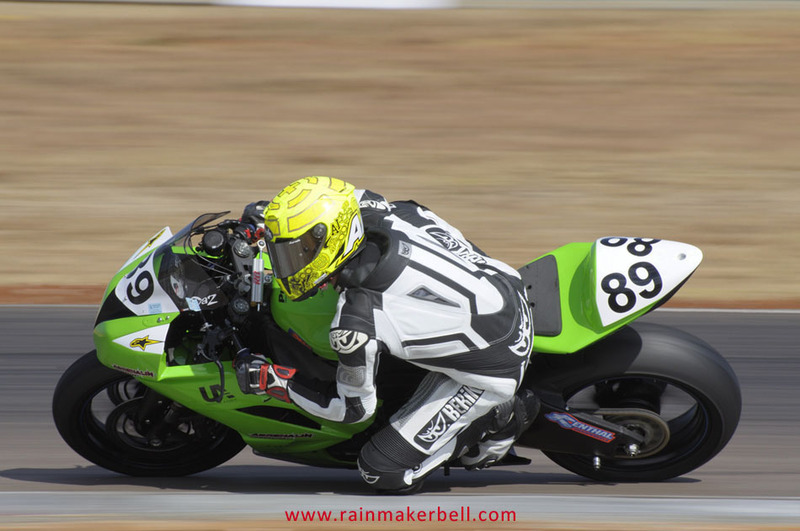 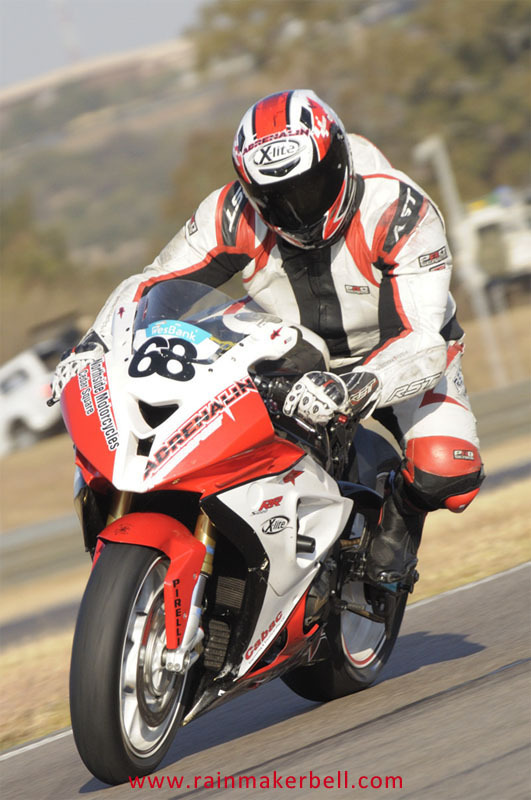 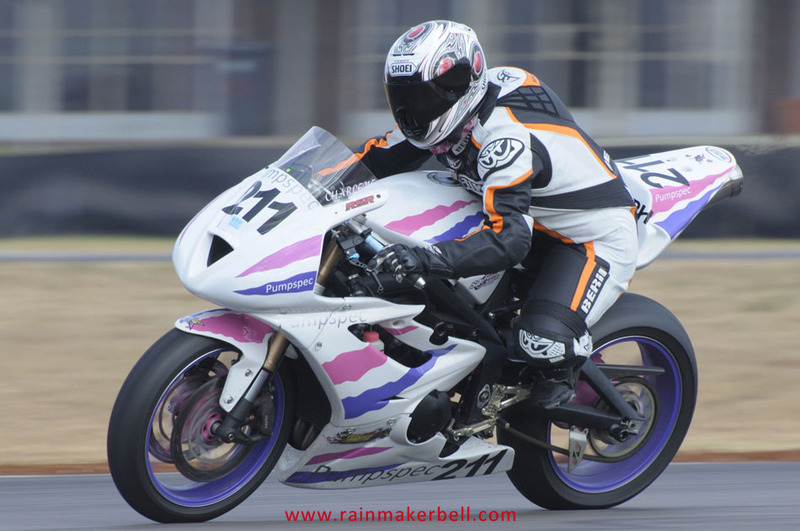 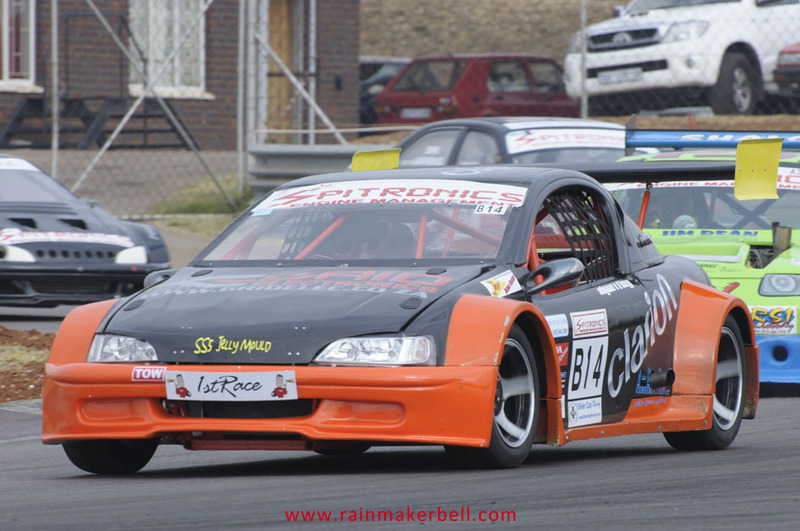 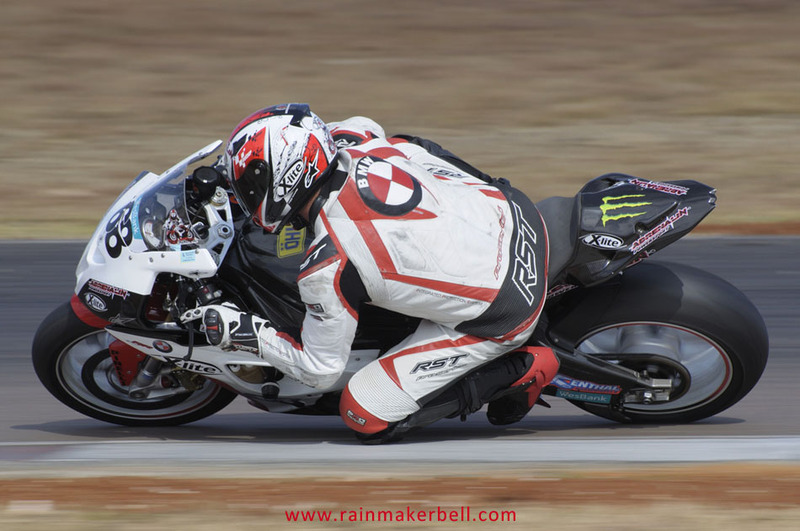 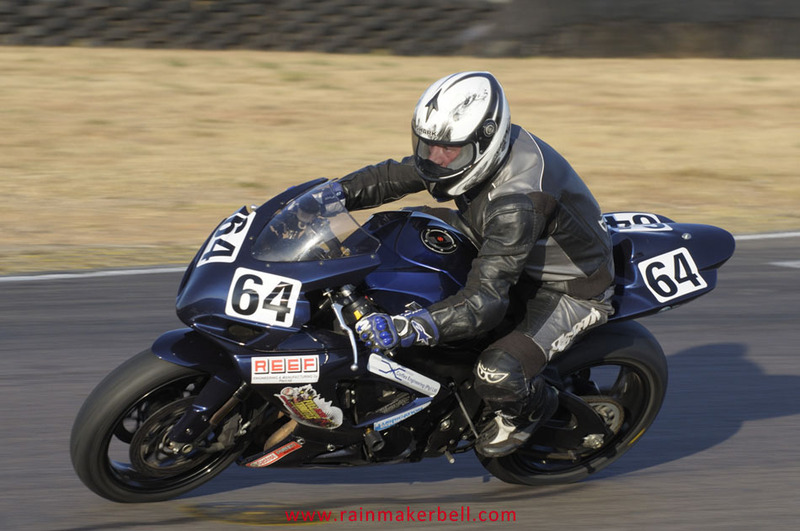 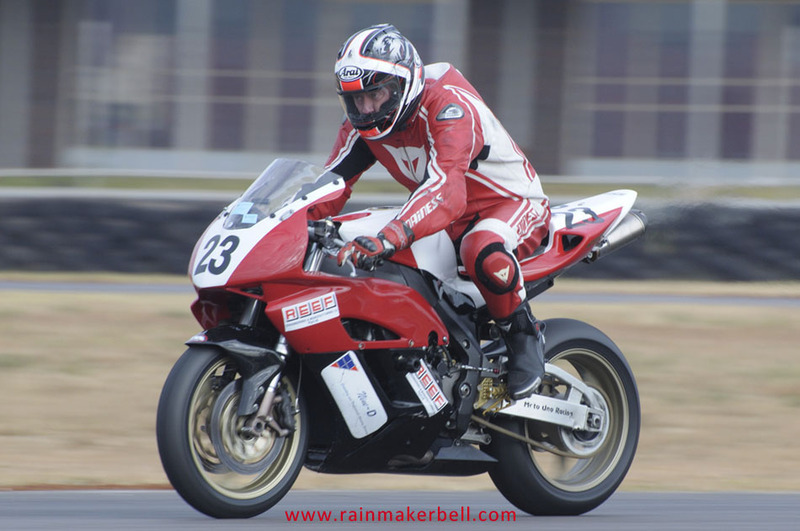 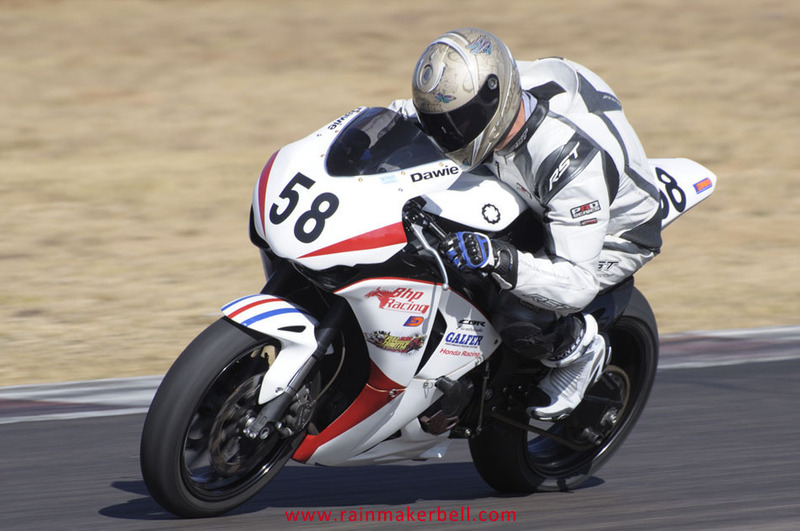 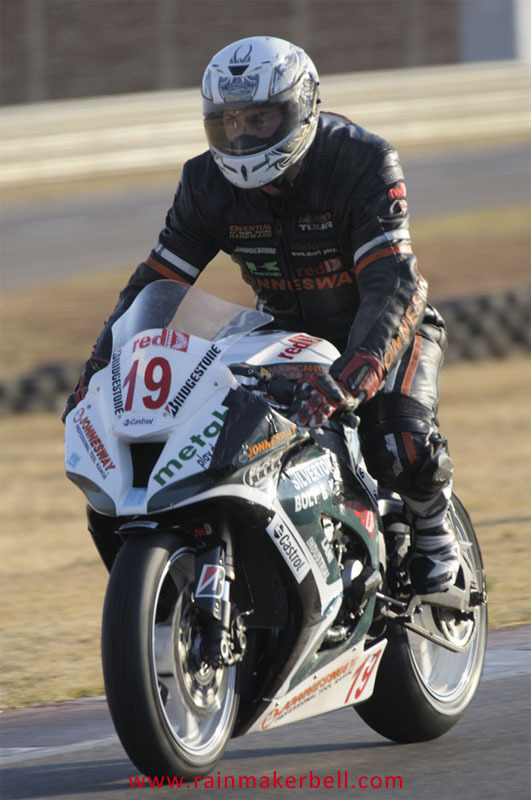 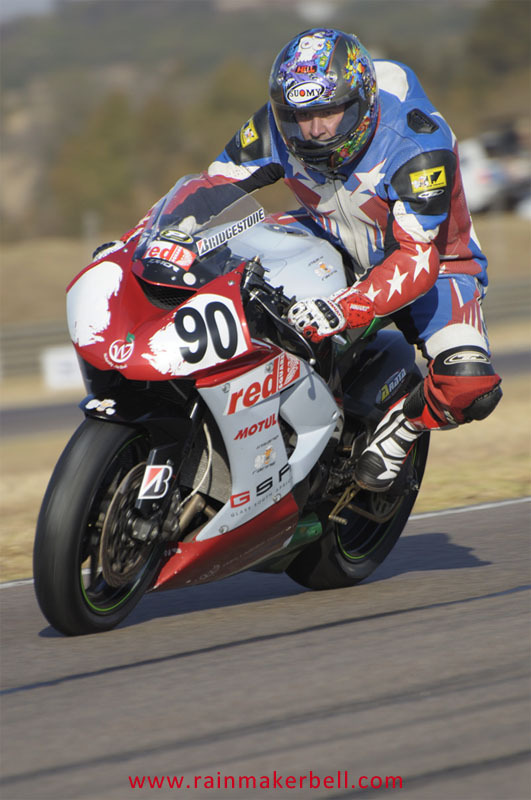 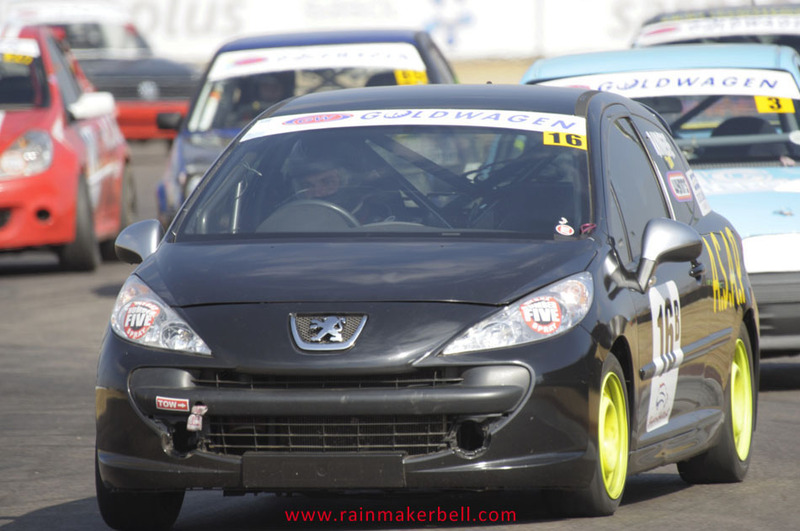 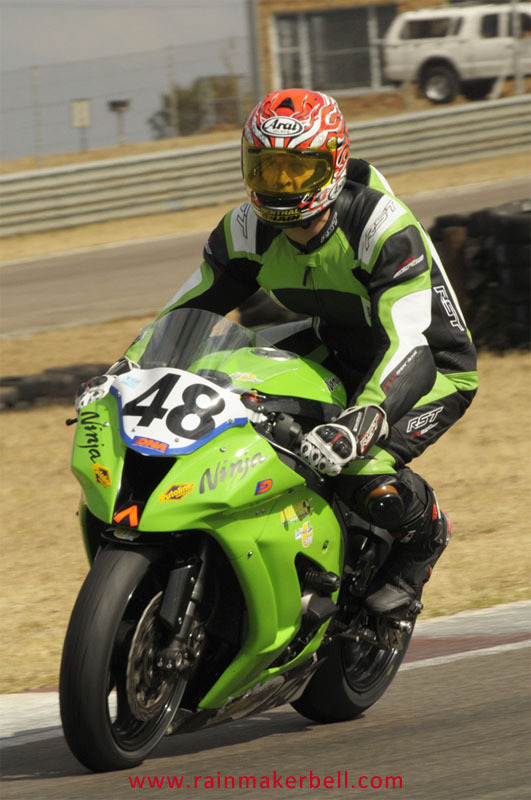 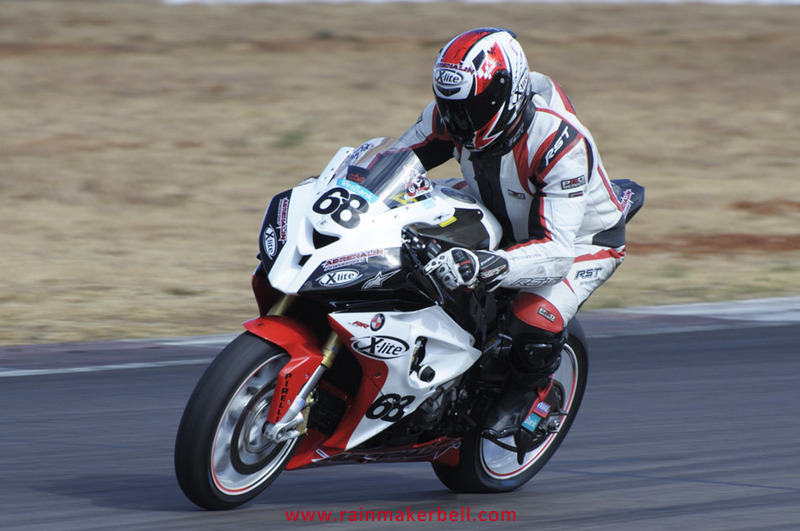 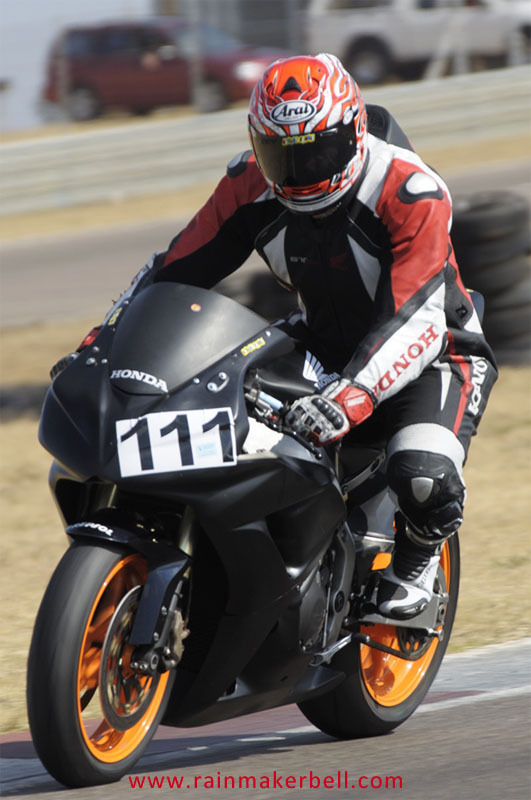 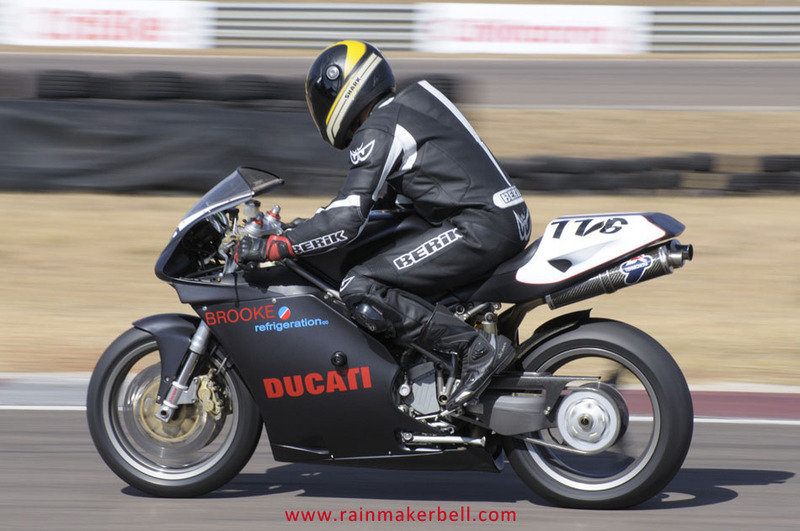 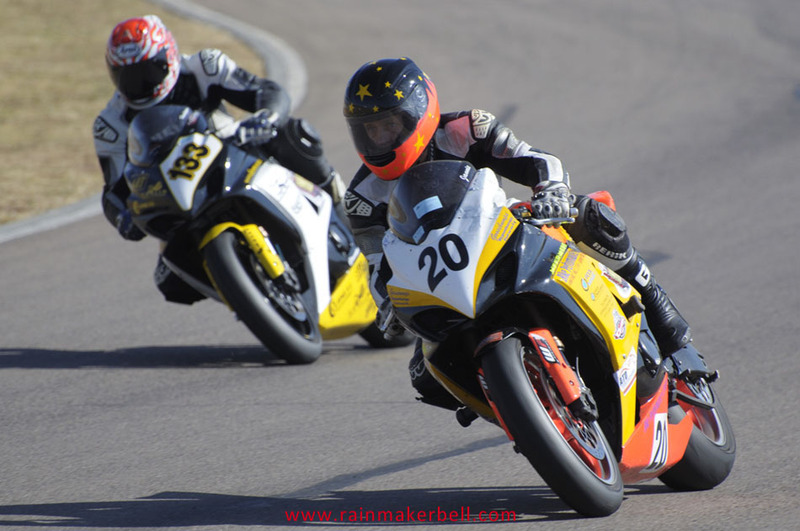 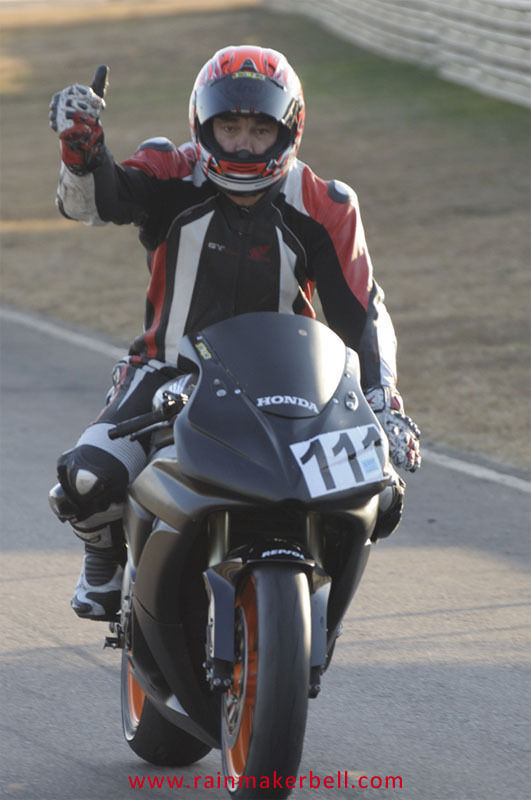 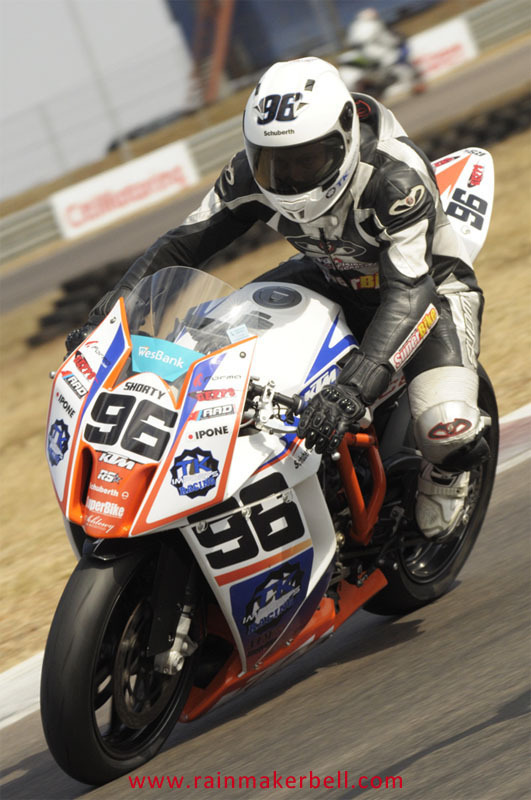 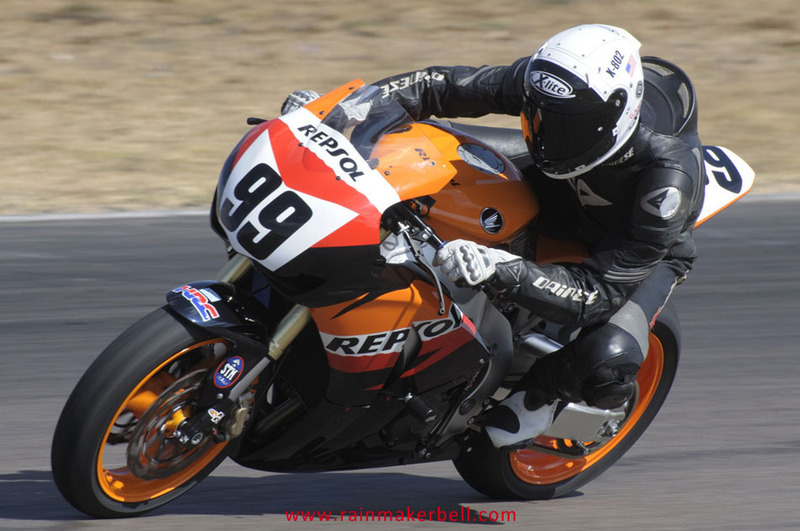 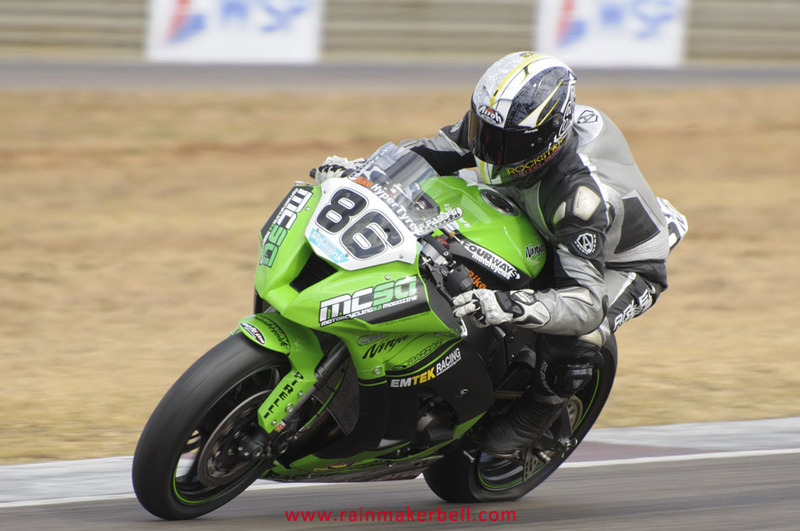 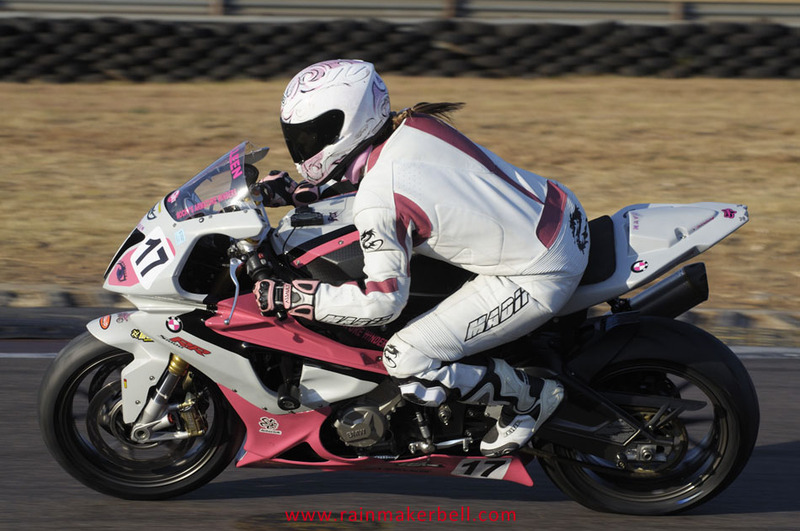 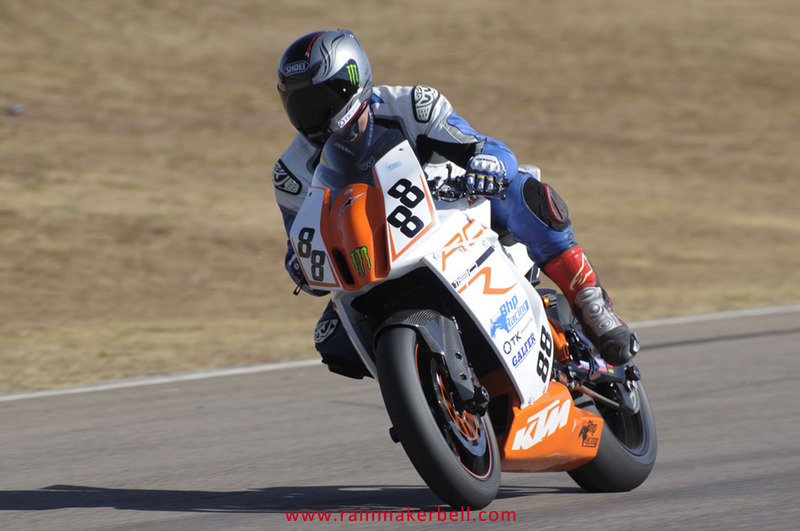 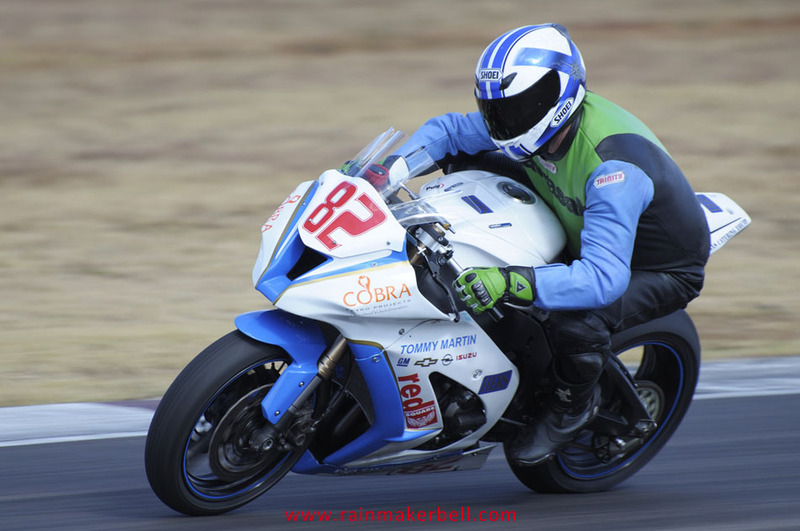 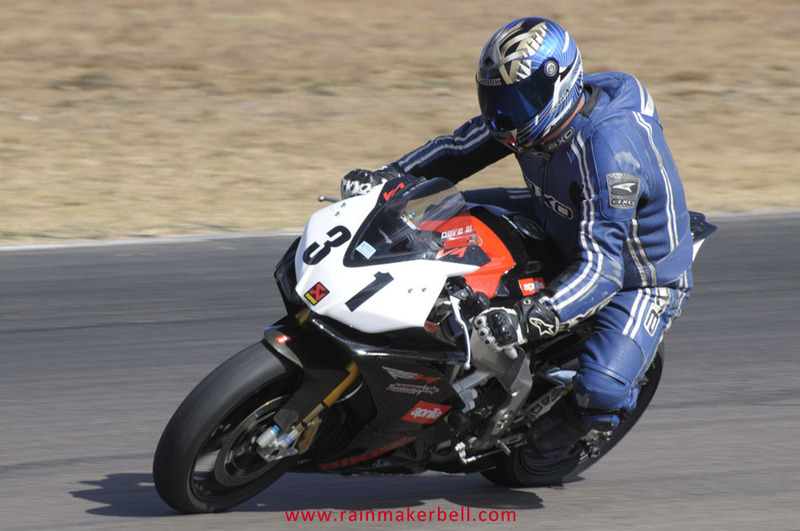 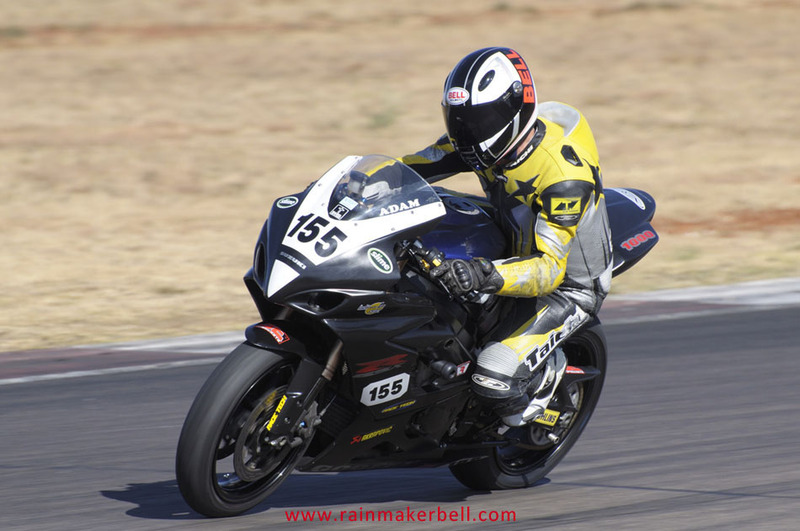 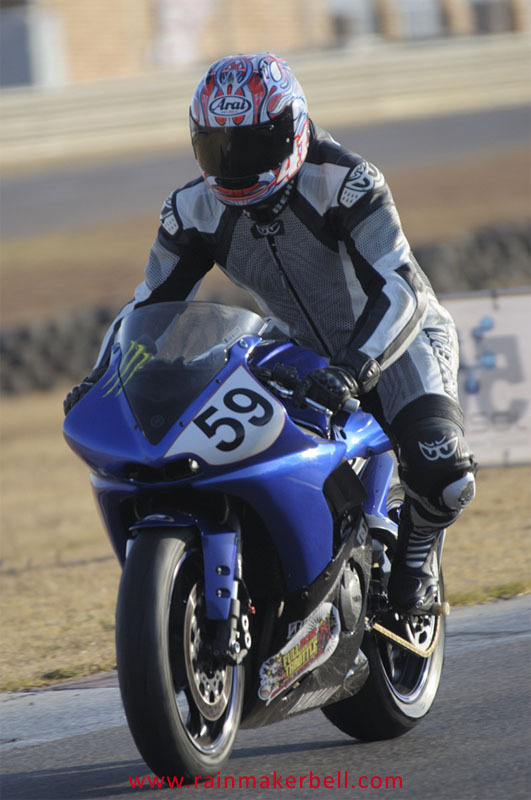 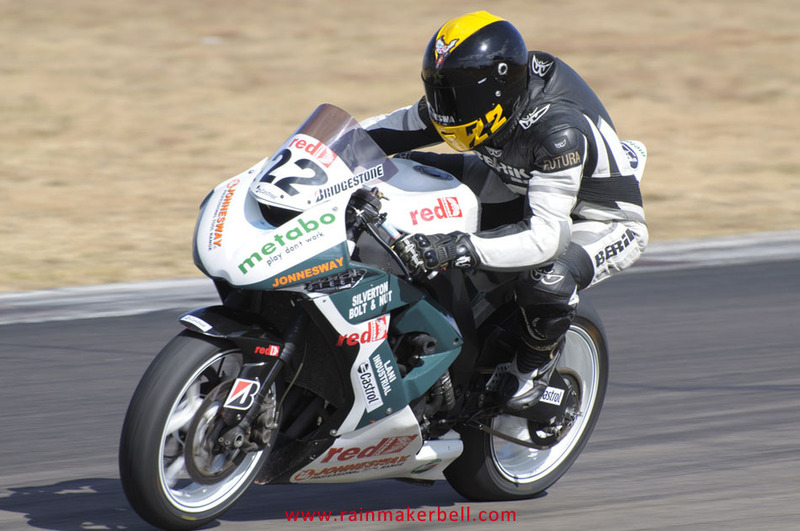 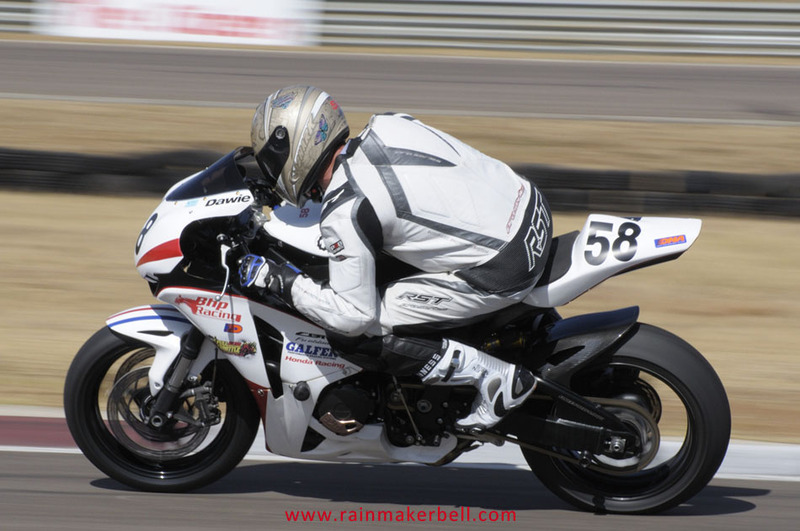 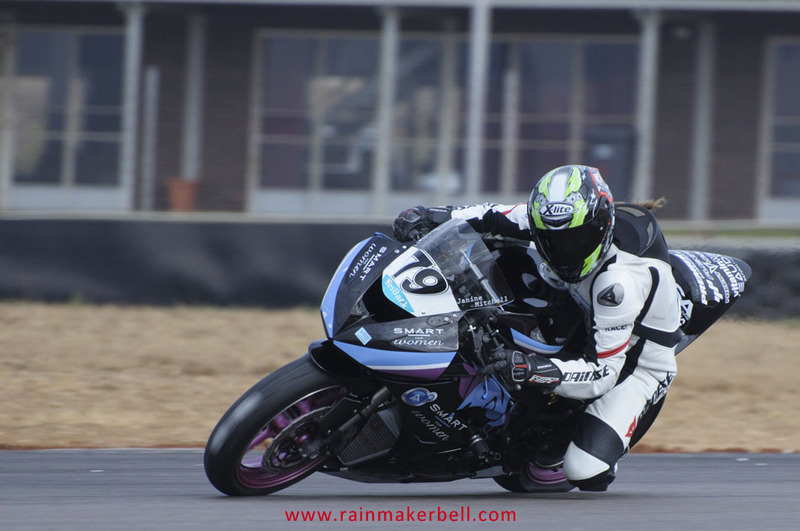 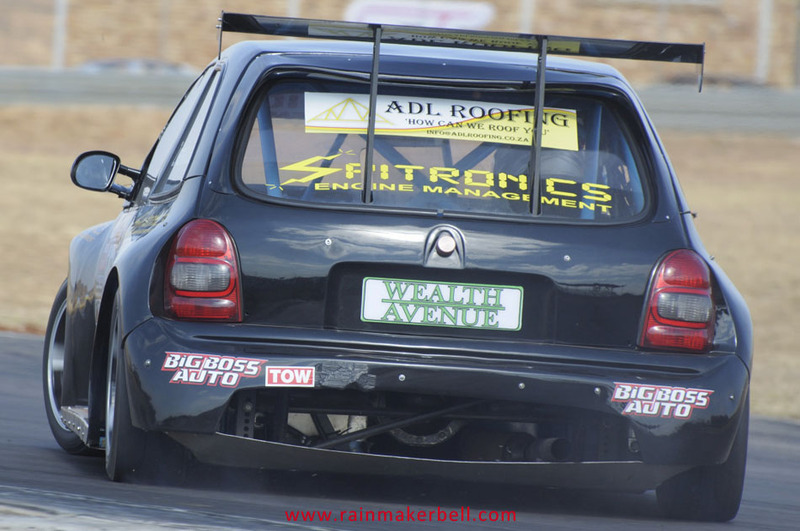 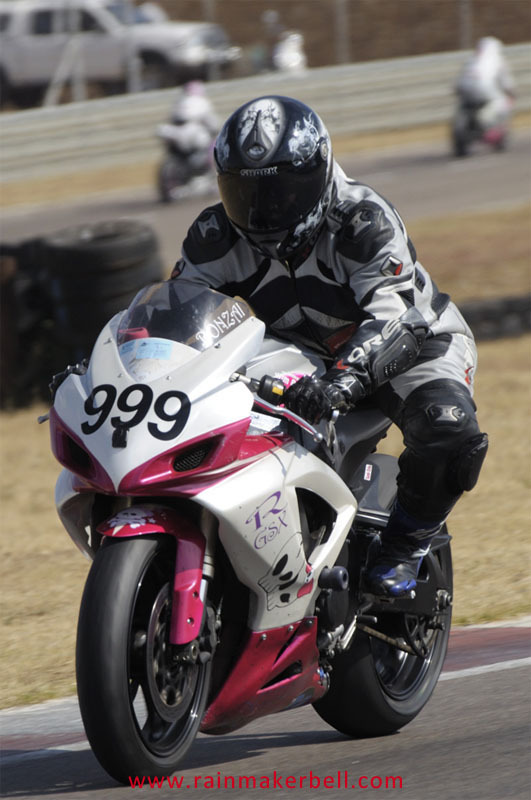 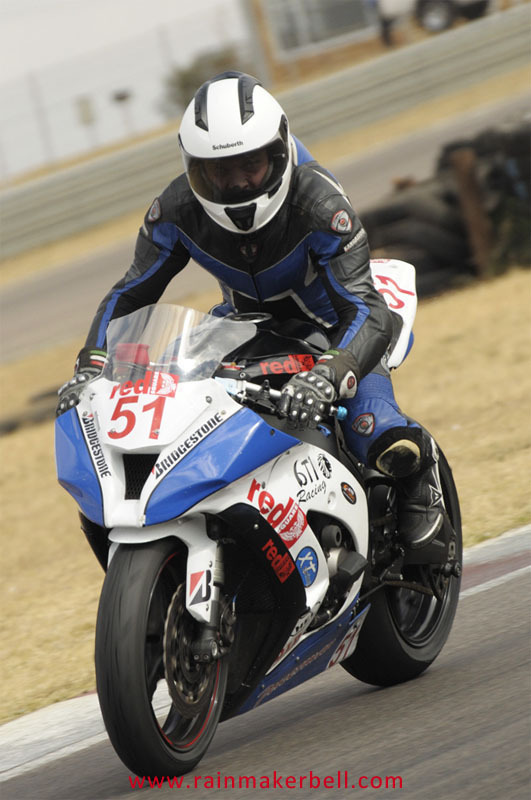 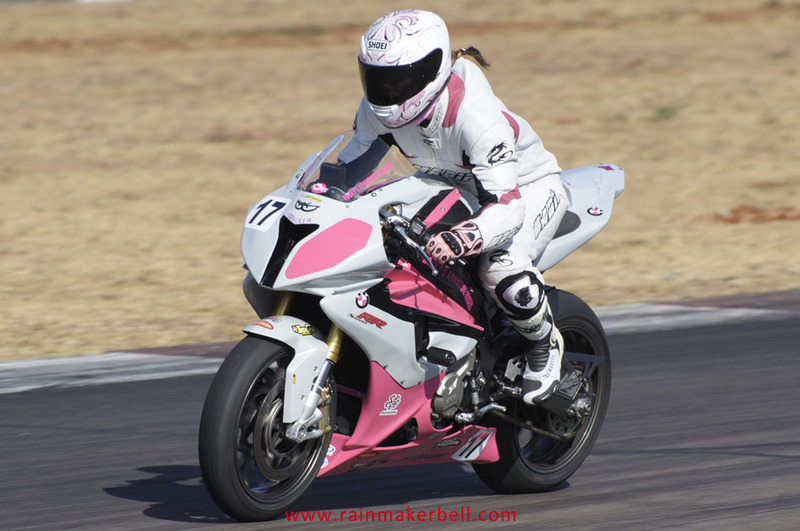 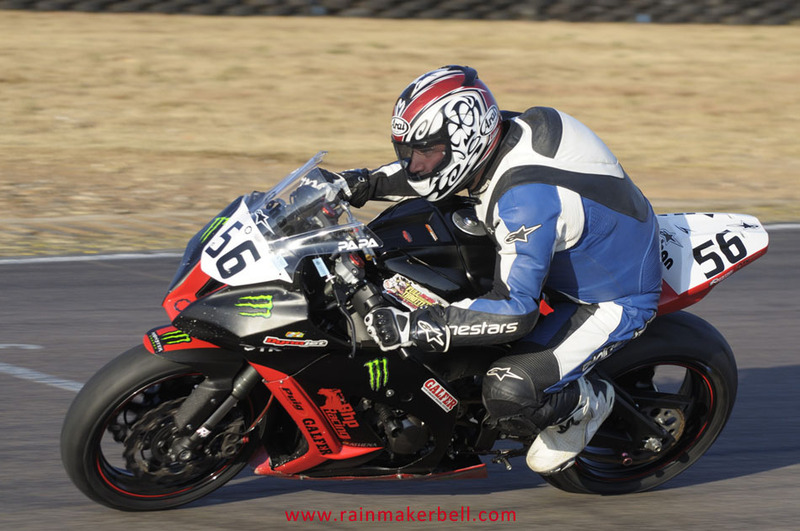 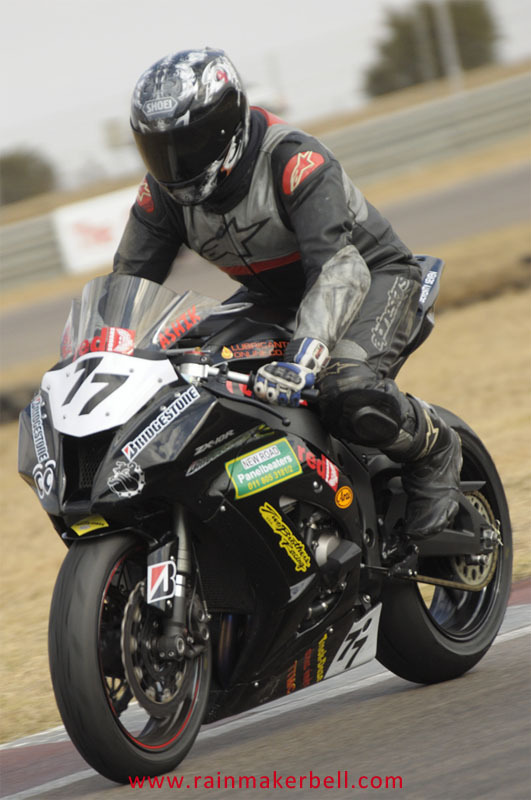 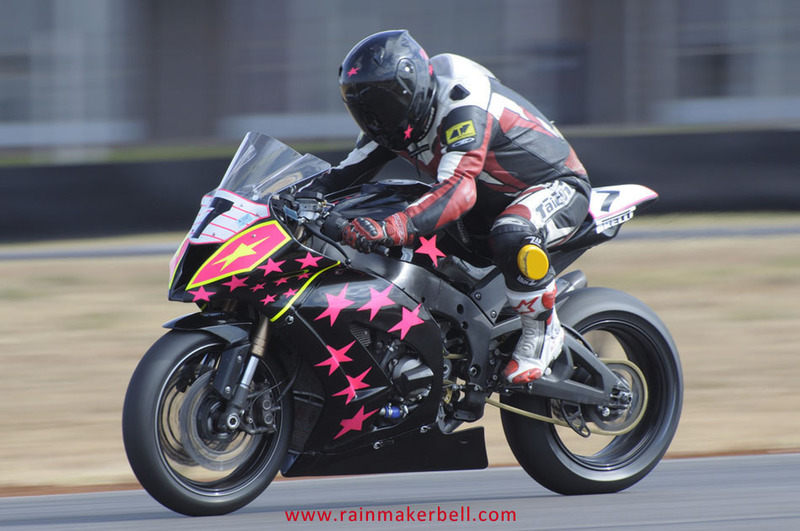 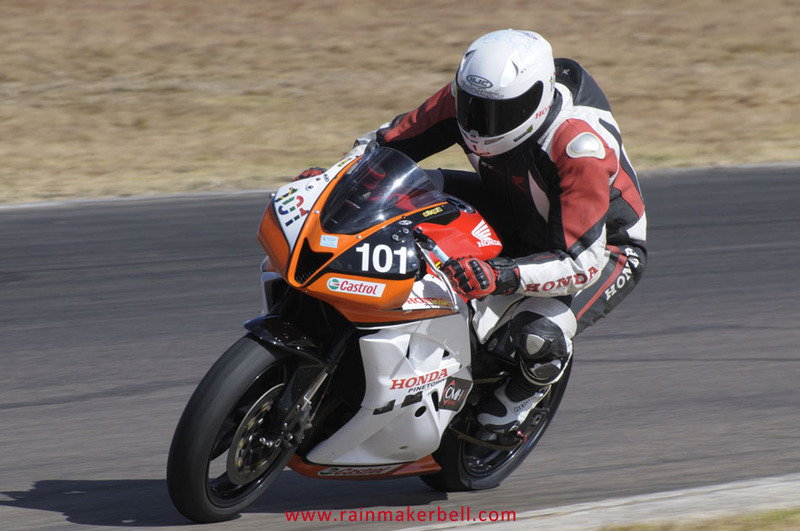 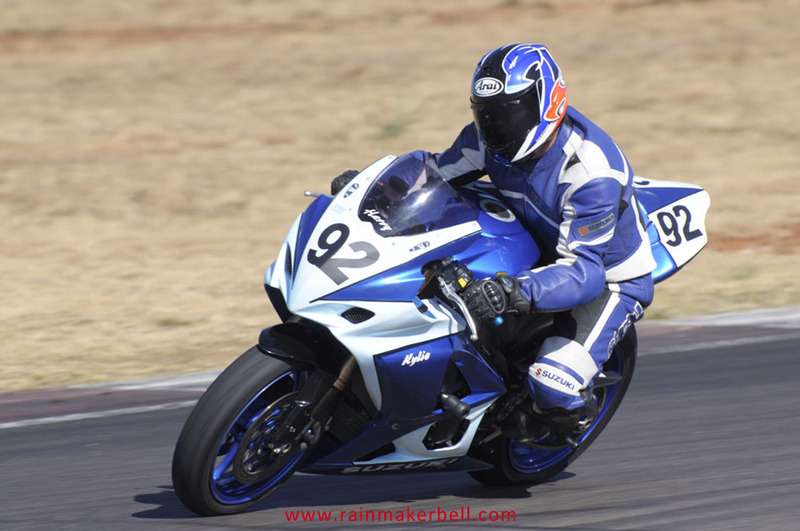 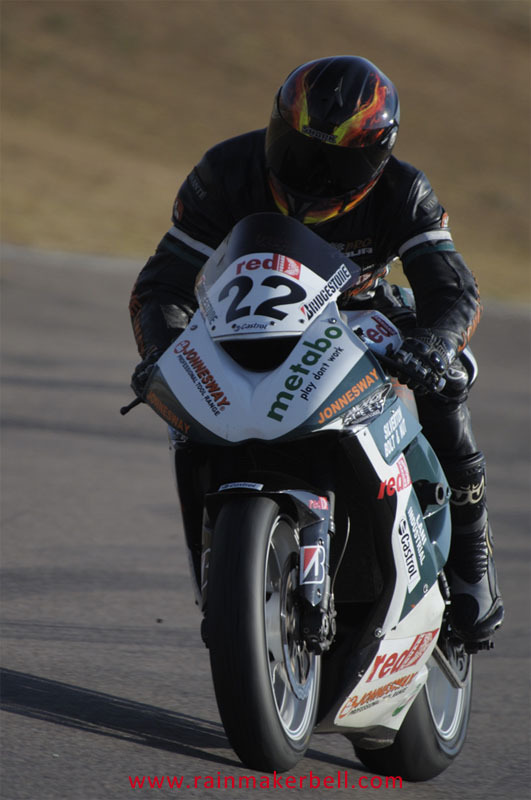 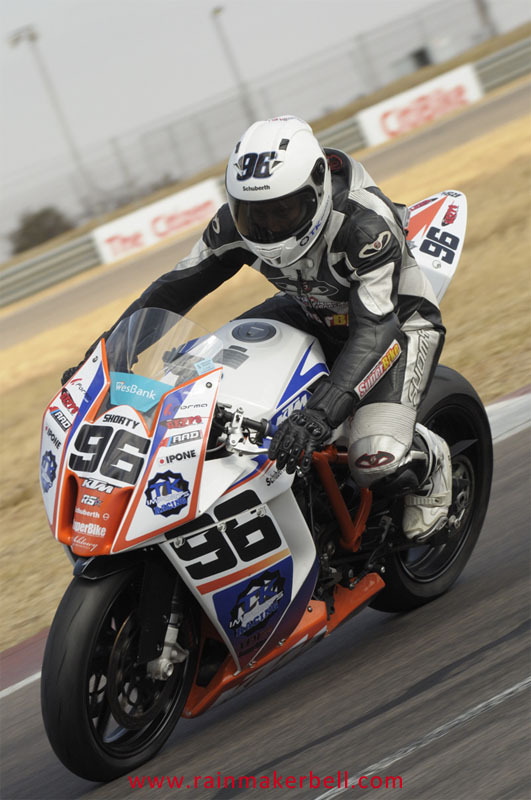 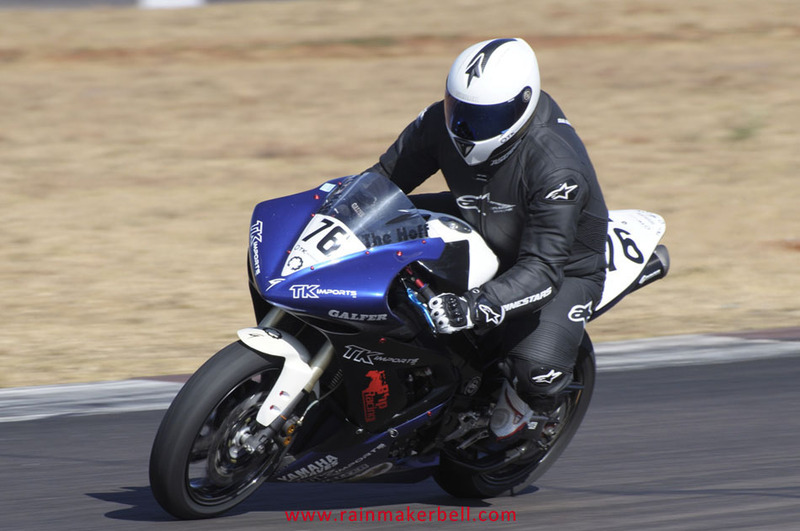 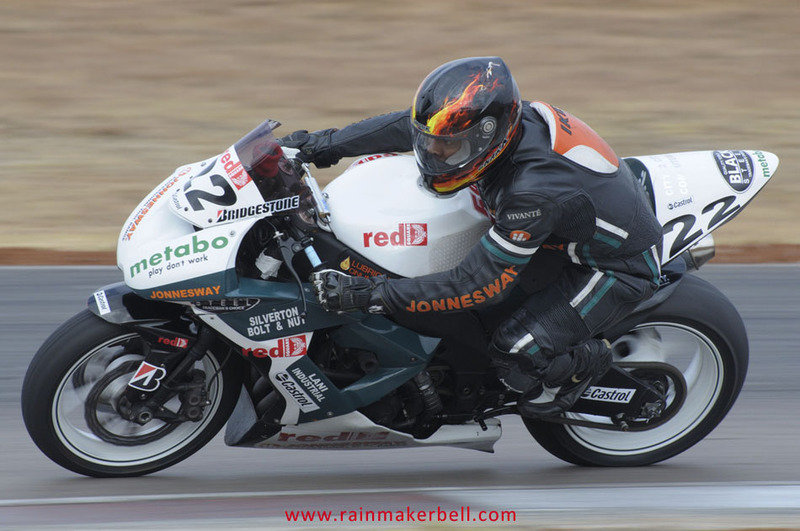 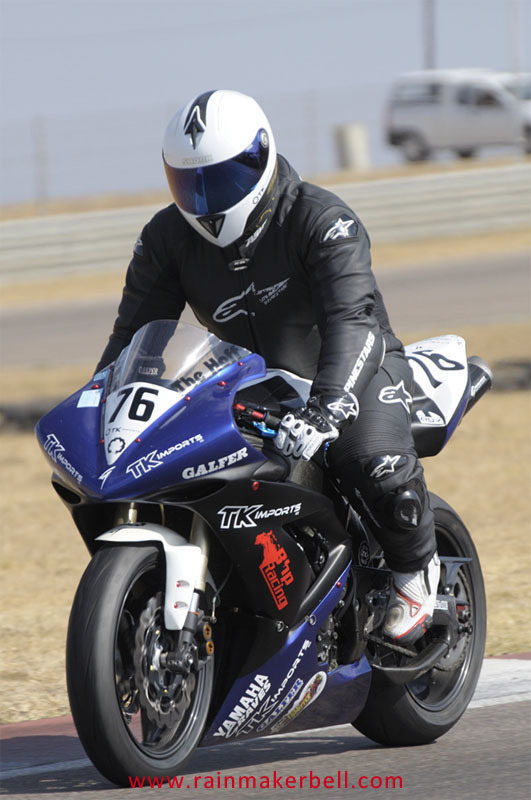 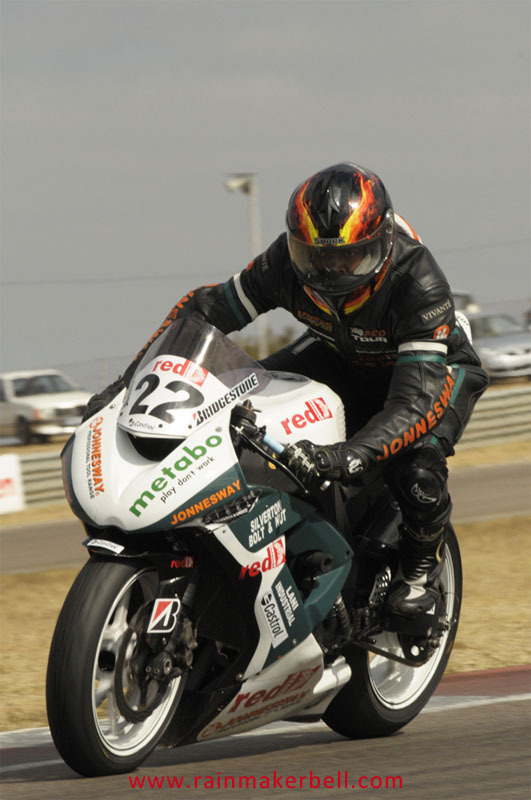 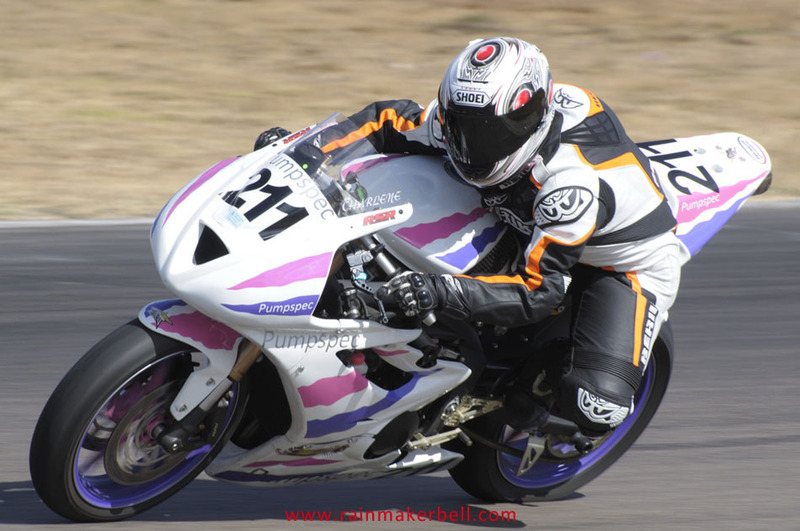 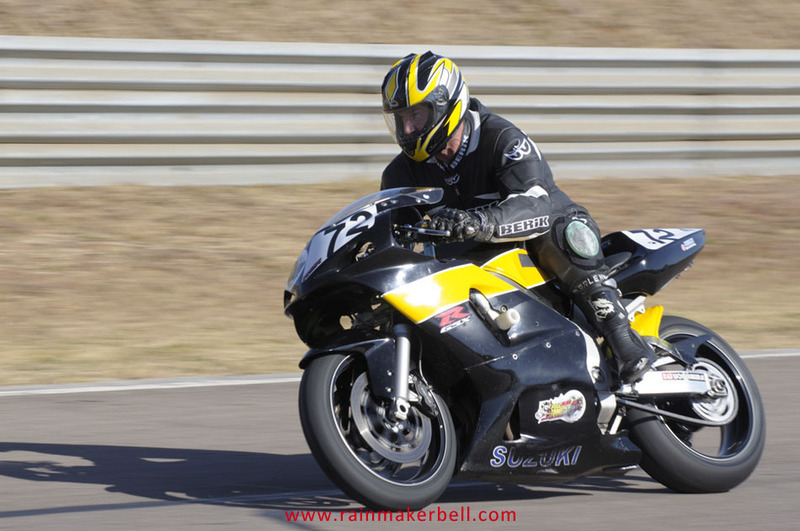 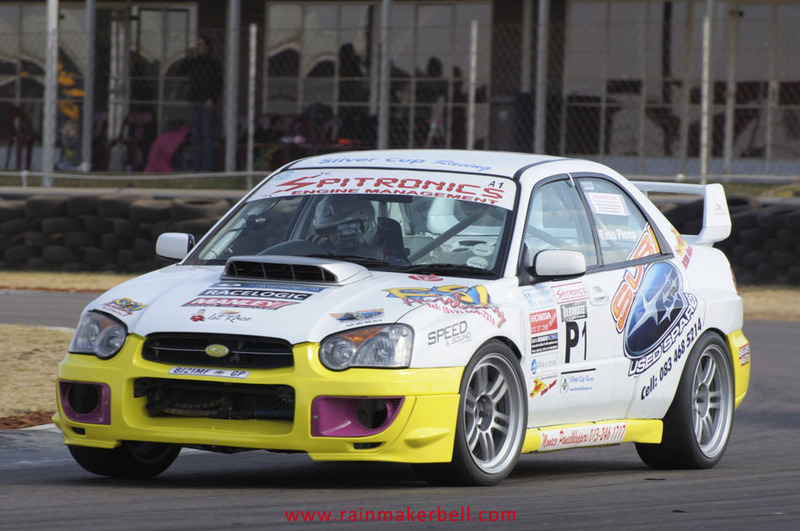 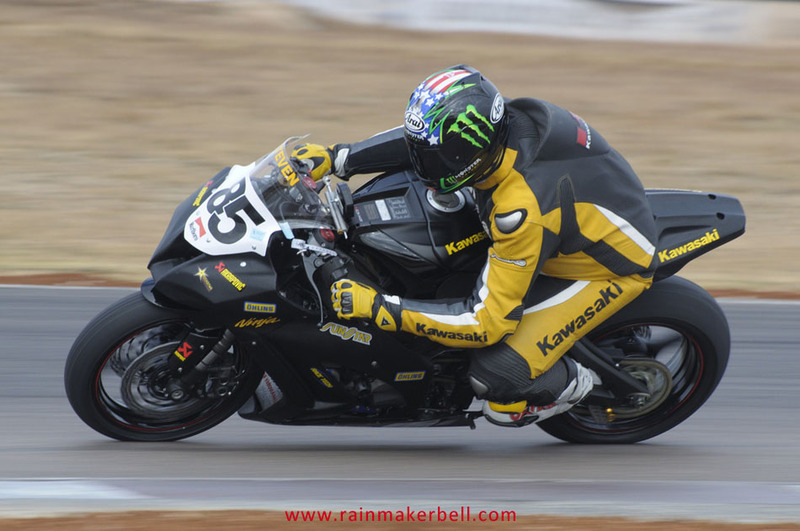 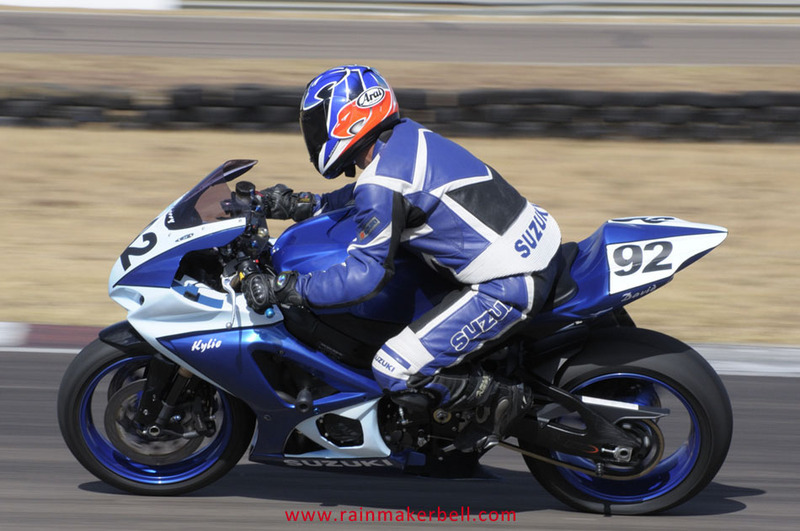 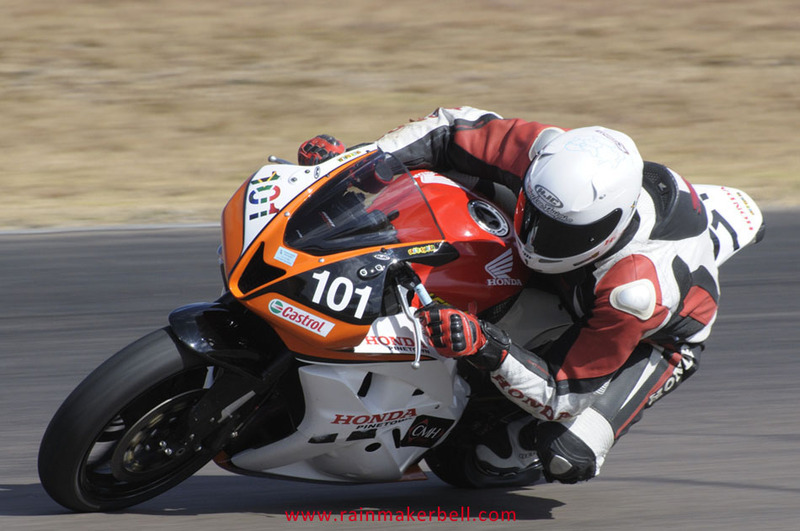 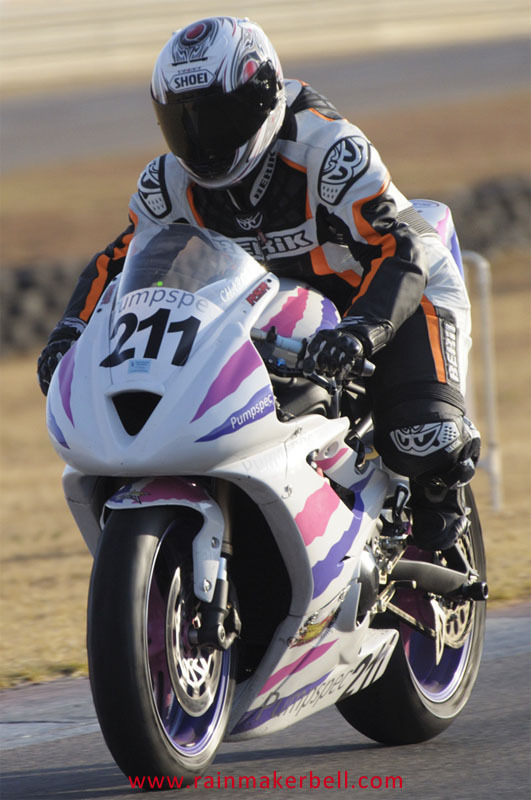 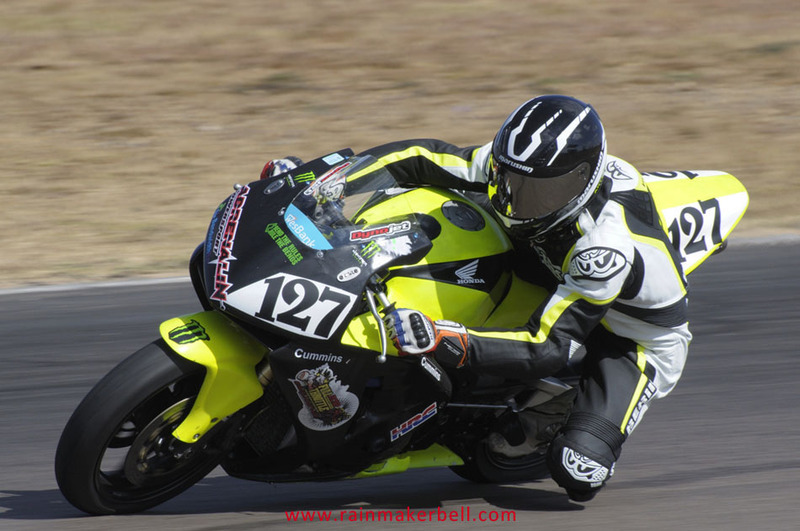 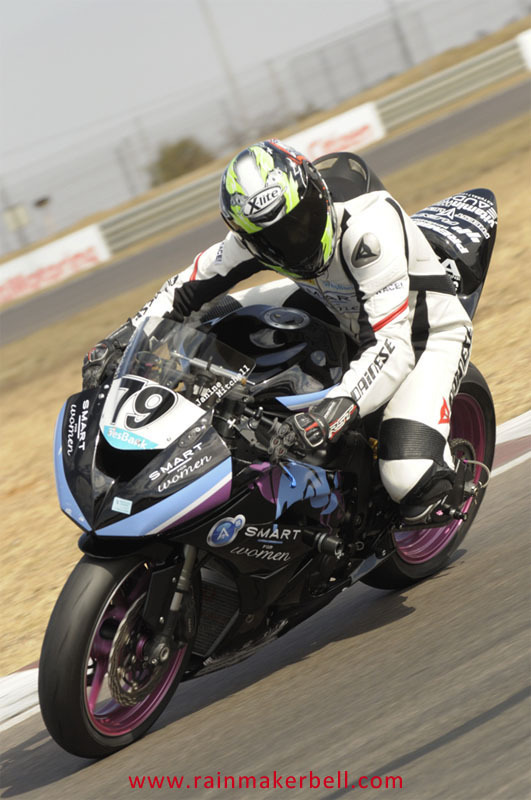 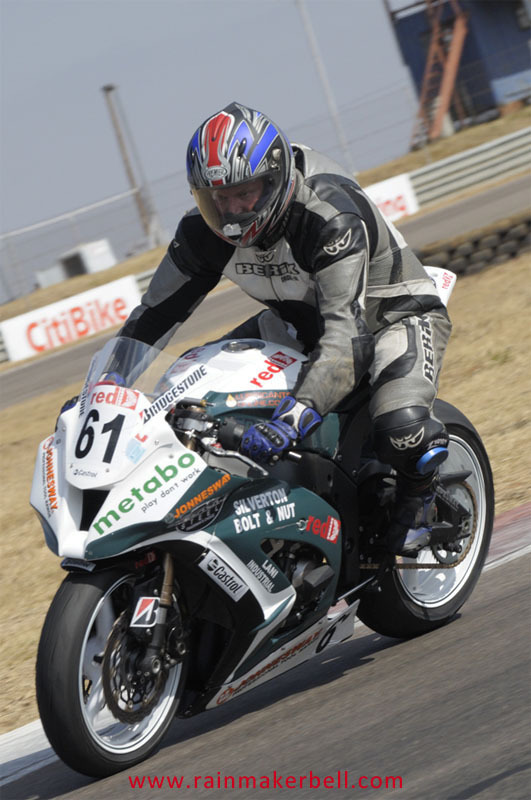 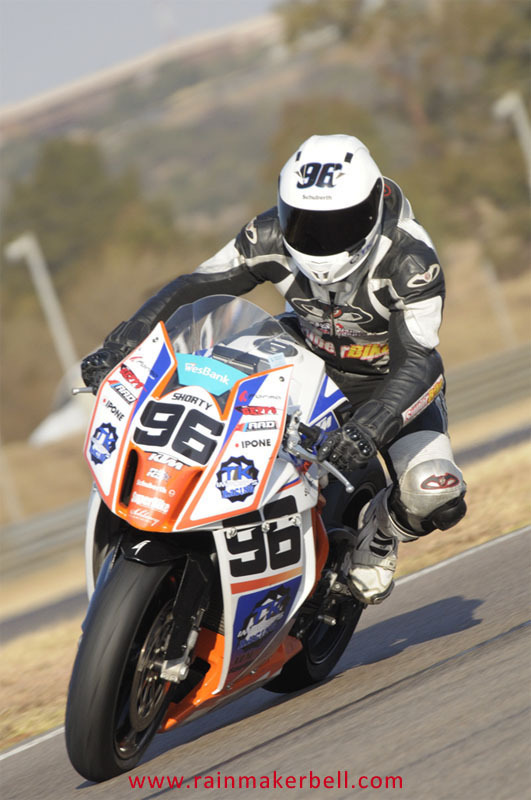 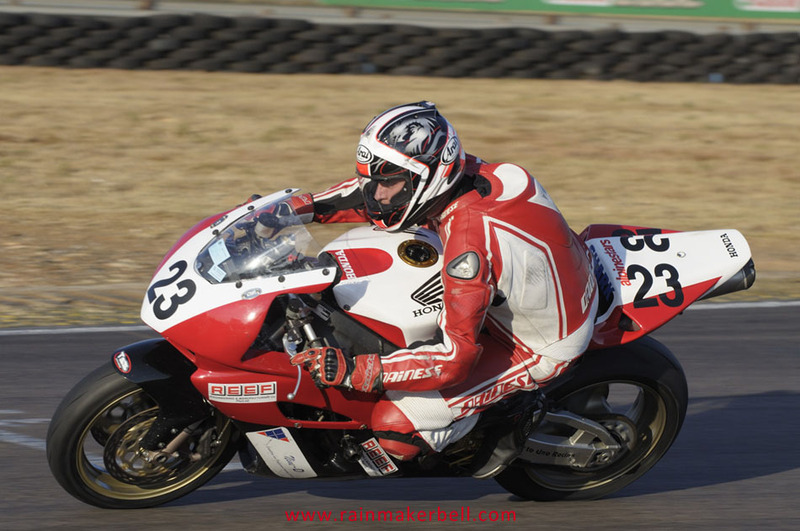 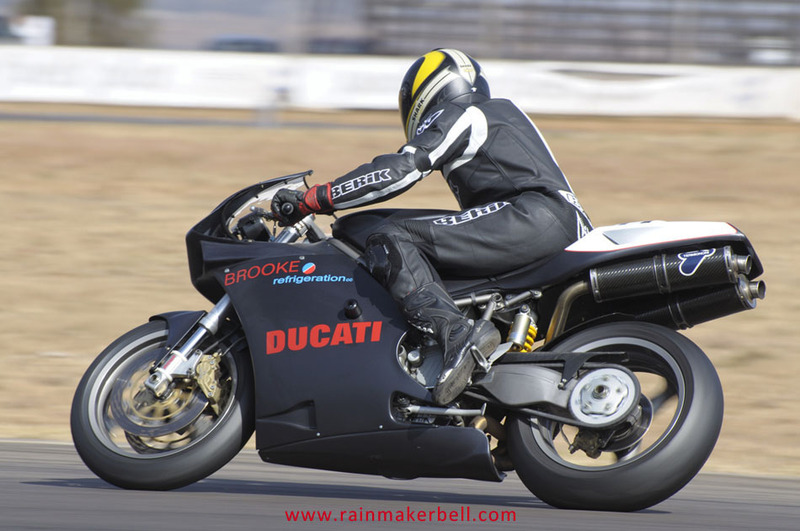 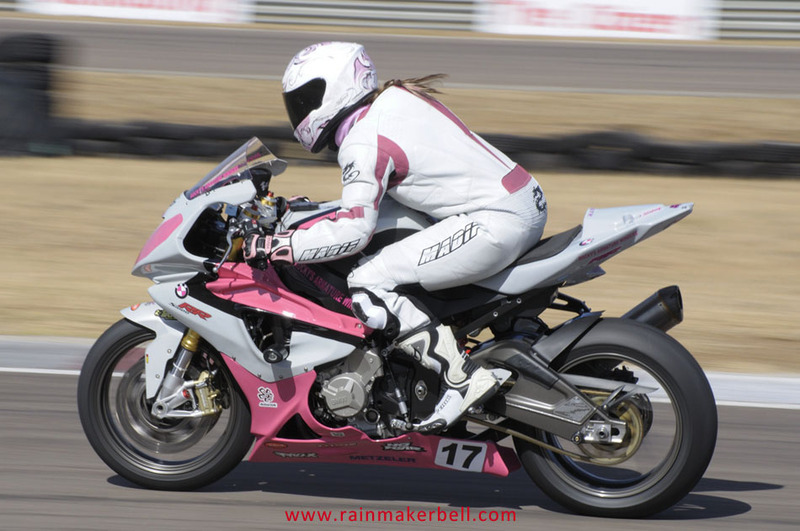 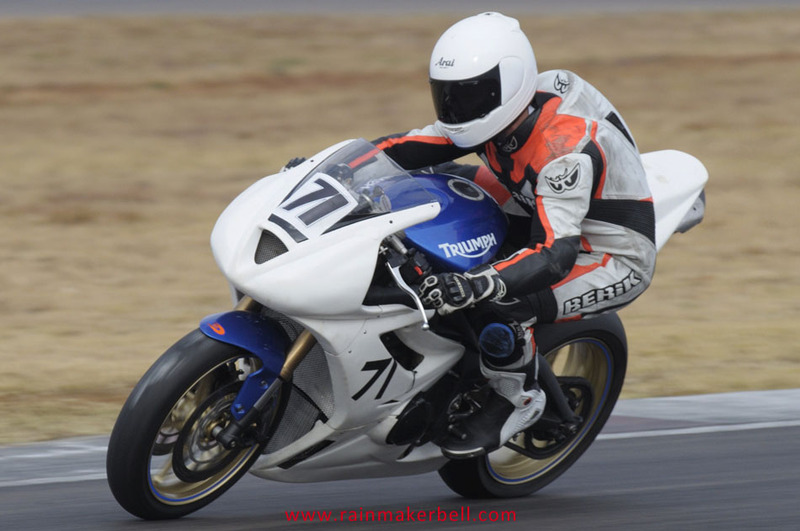 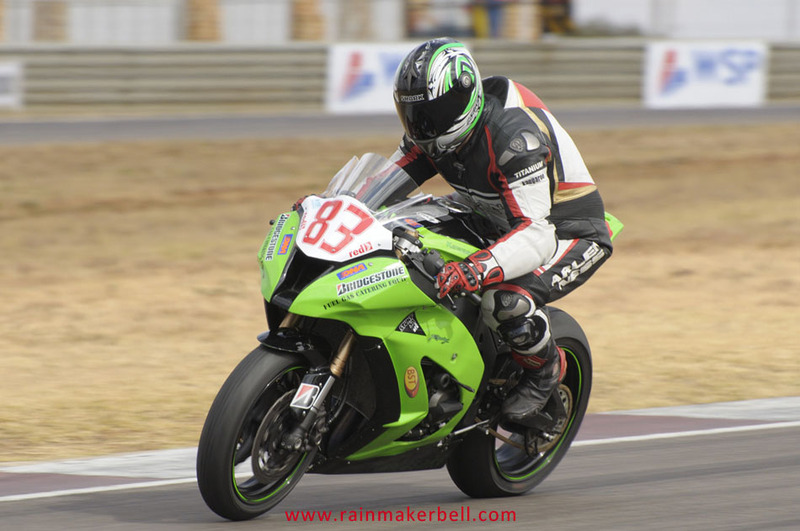 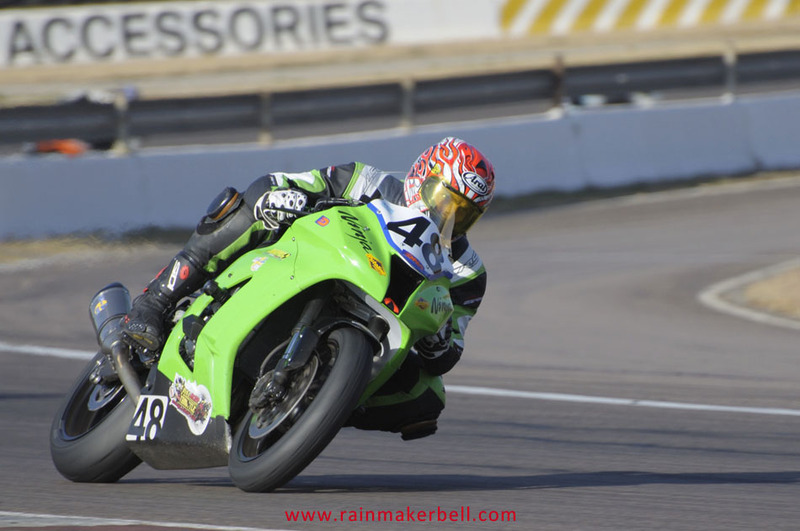 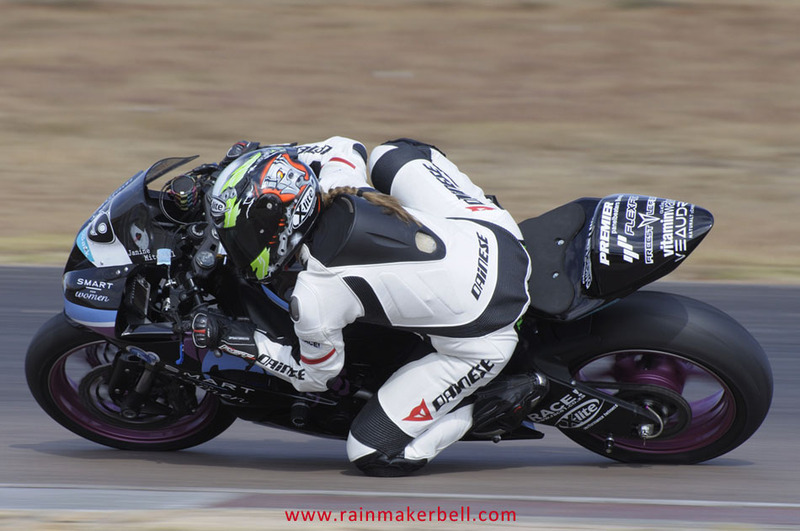 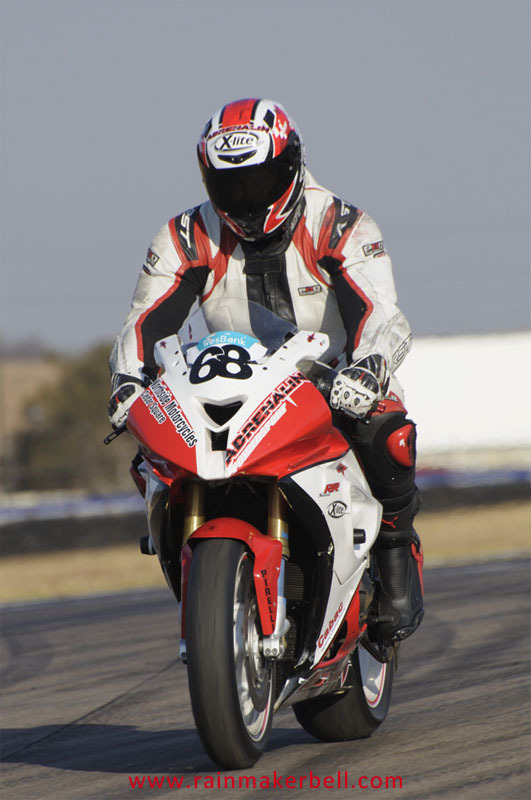 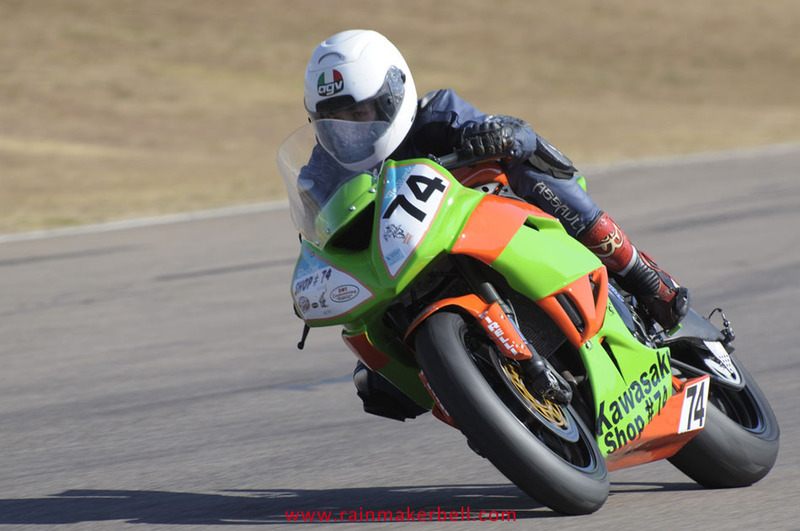 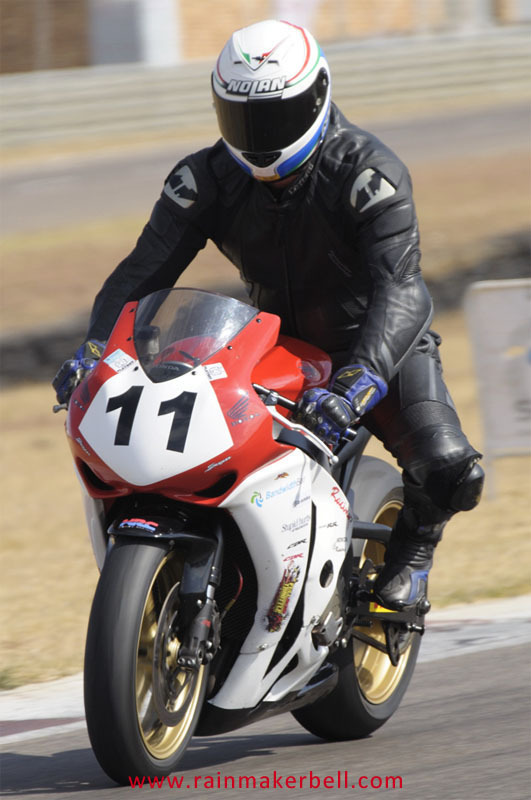 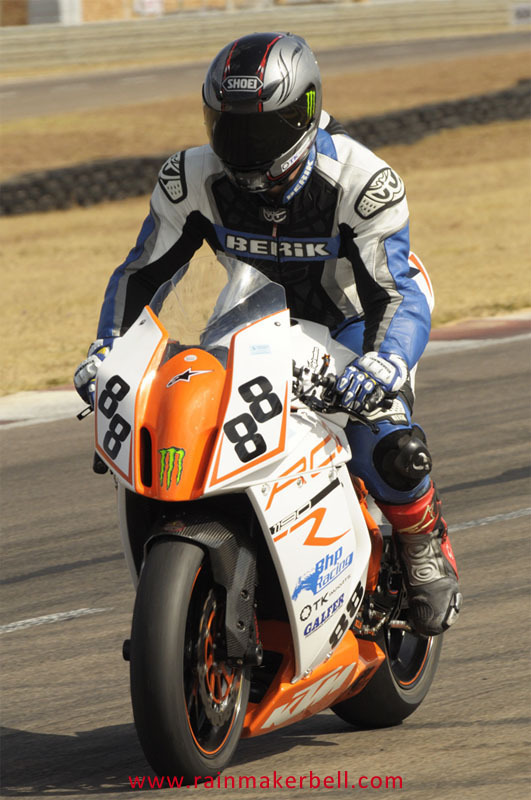 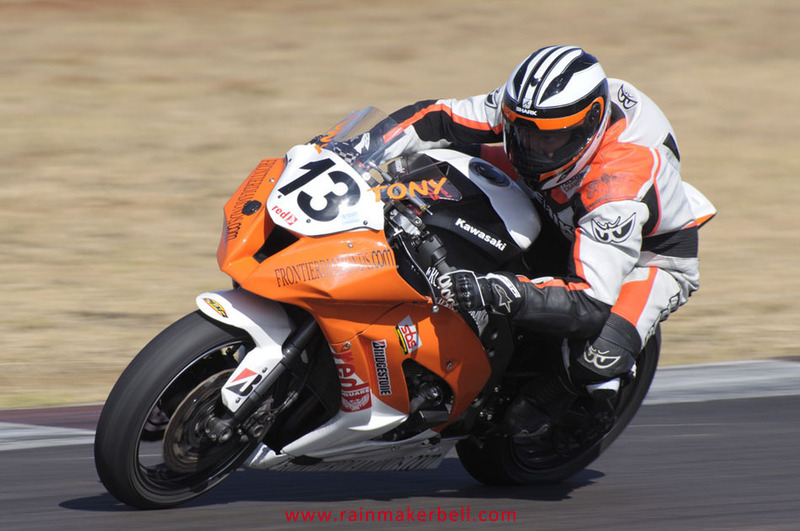 Words & Photos: Adriaan & Martine Venter (Inland Championship Cars & Bikes, Zwartkops Raceway, South African Motorsport, 2012/06/15/16, 247 images) Main Image: Bertus Meyburgh #50, Kawasaki ZX10R.